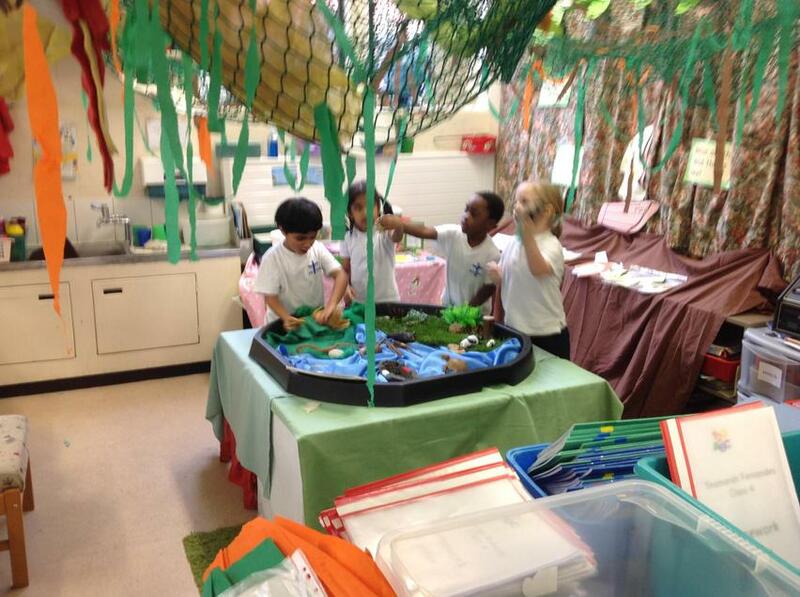 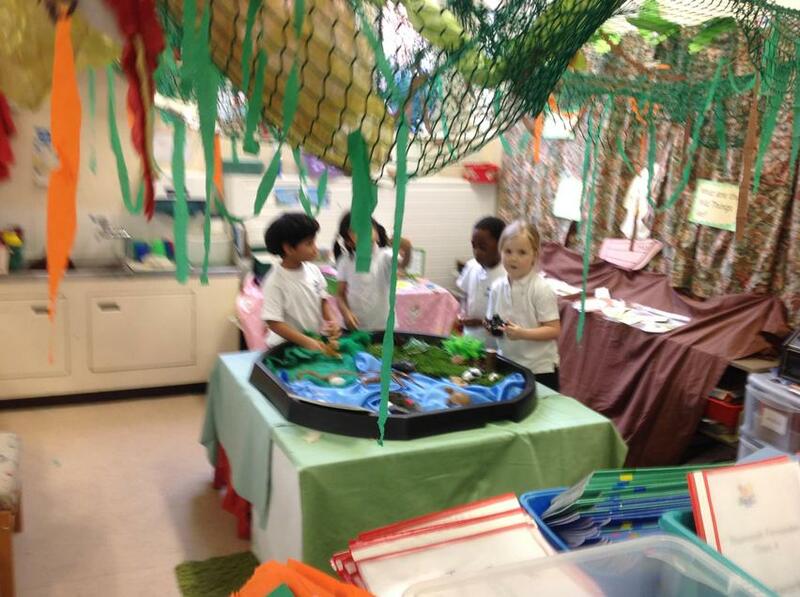 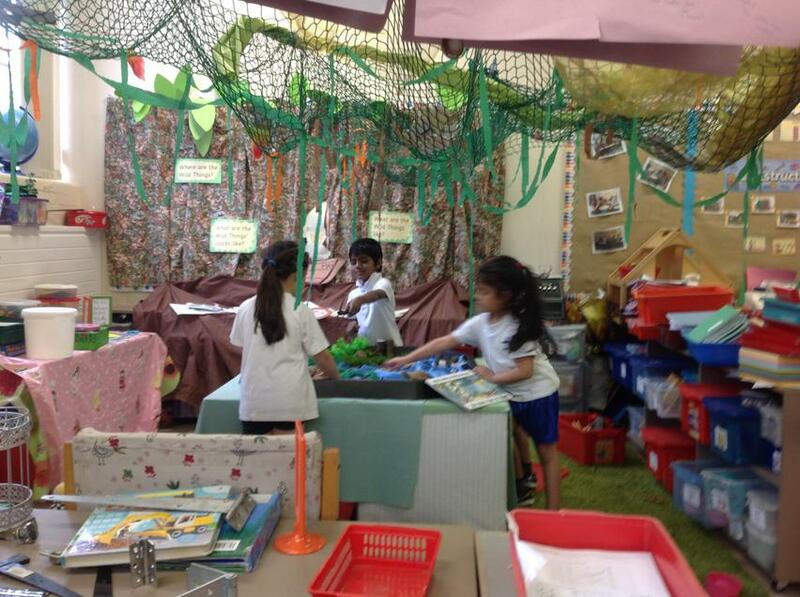 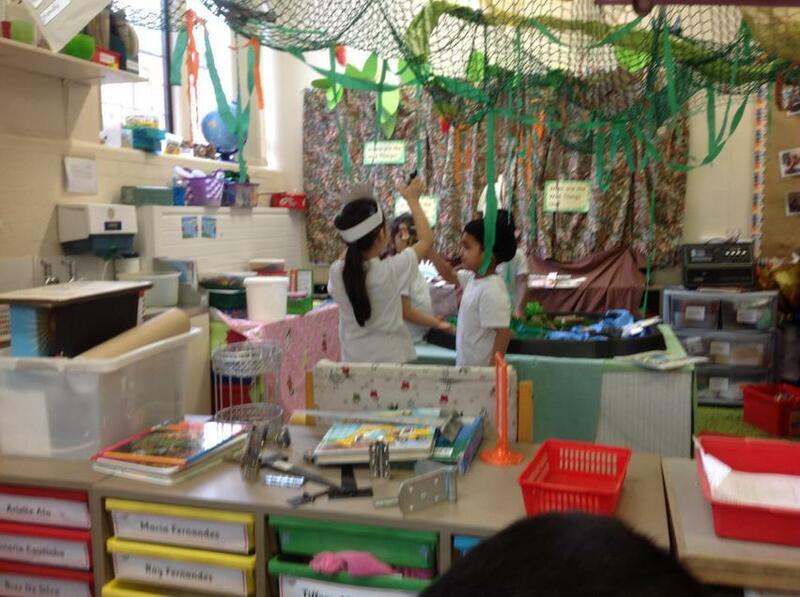 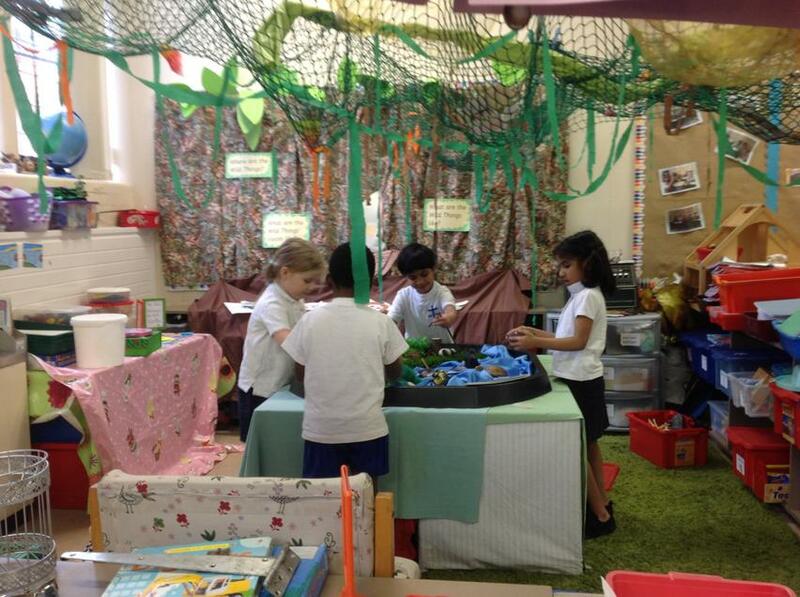 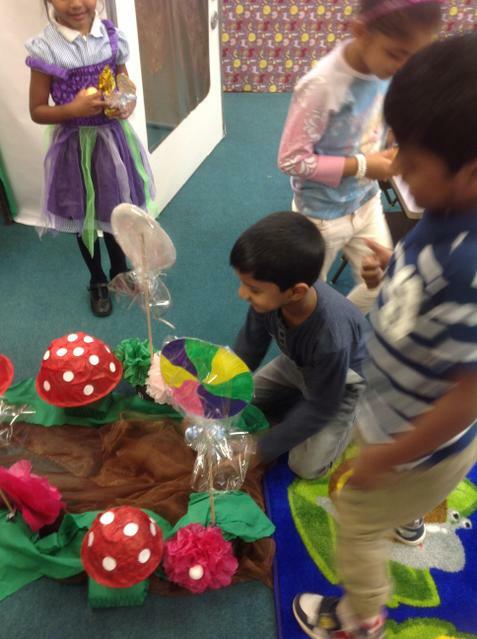 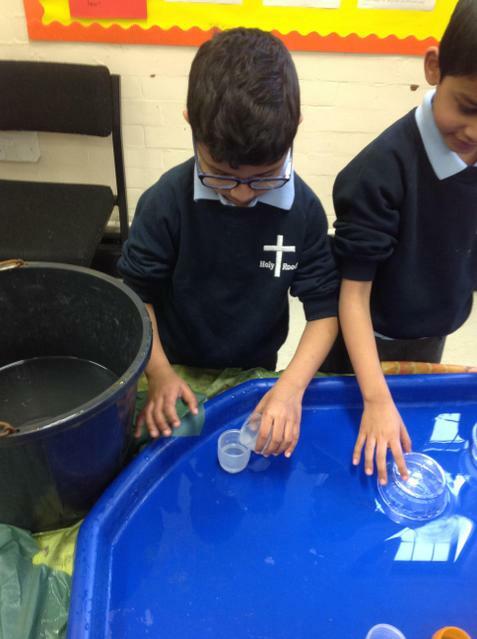 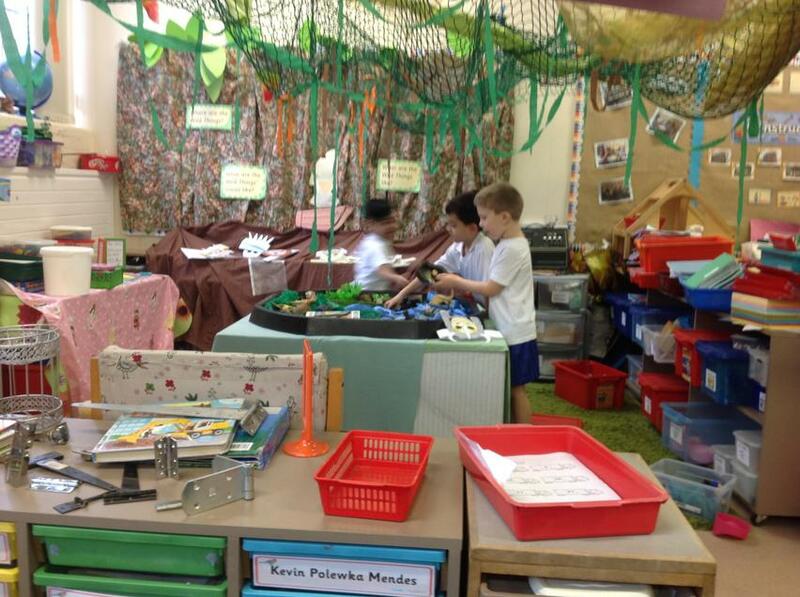 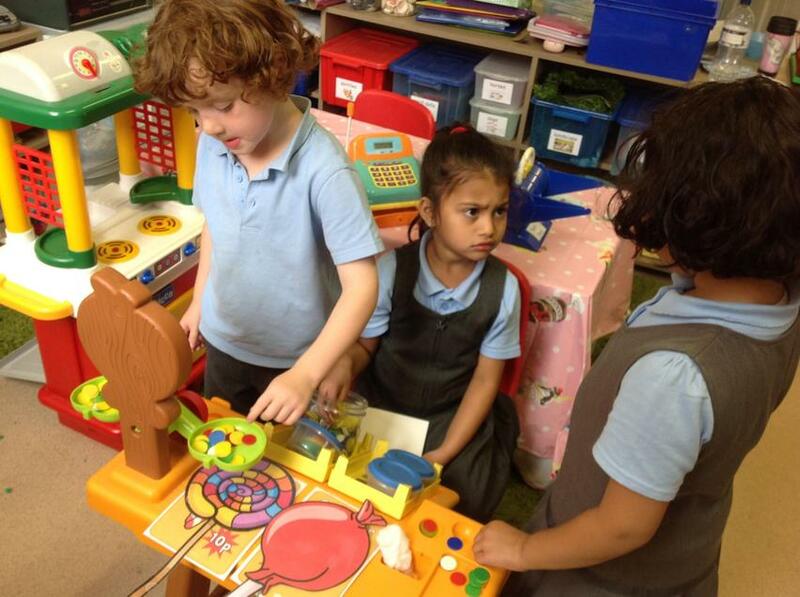 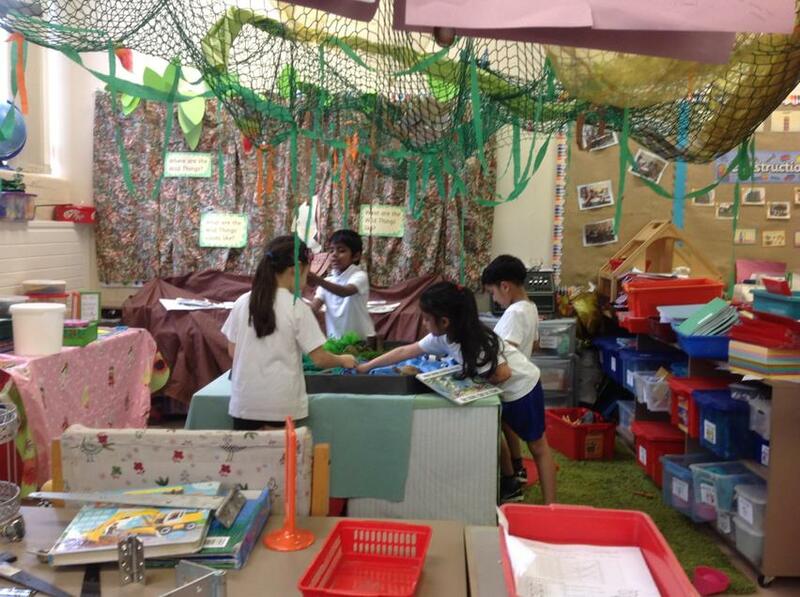 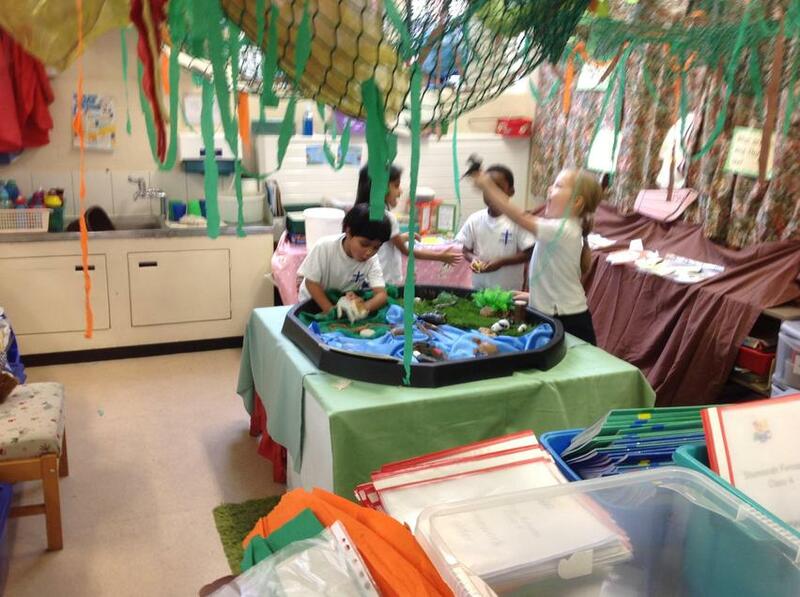 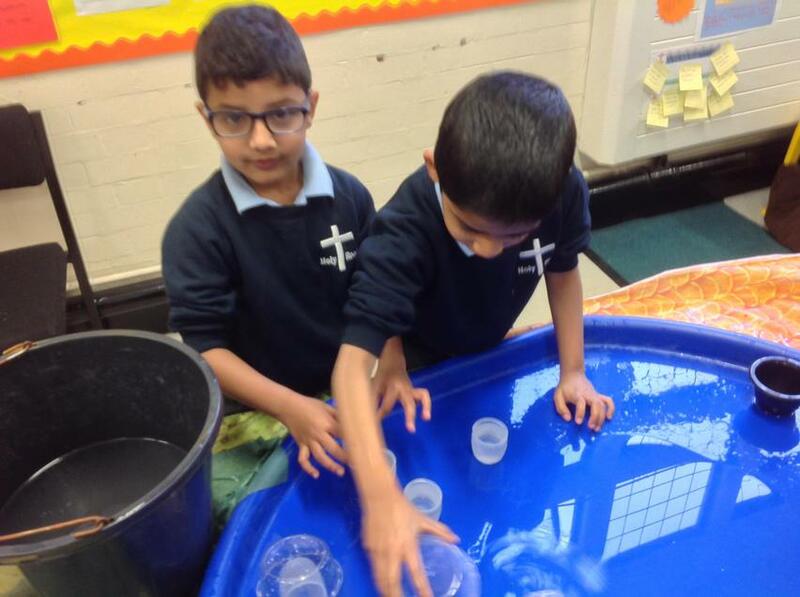 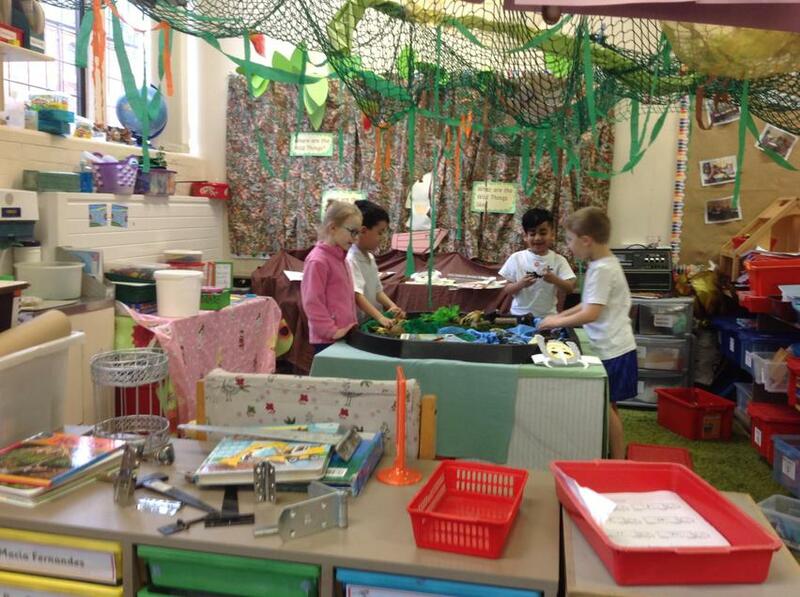 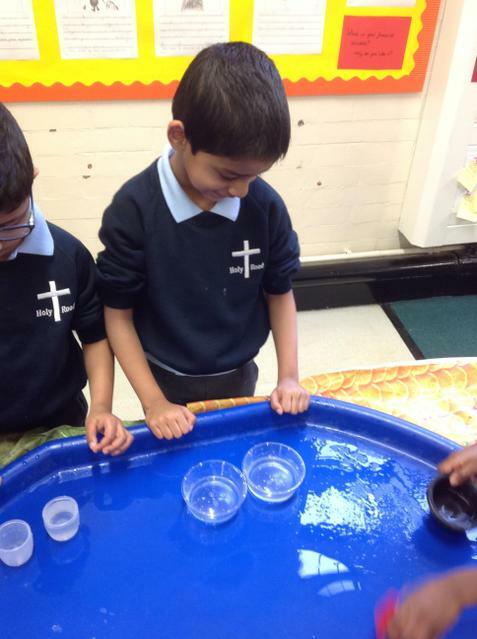 Robins were surprised to find their classroom had been turned into a jungle! 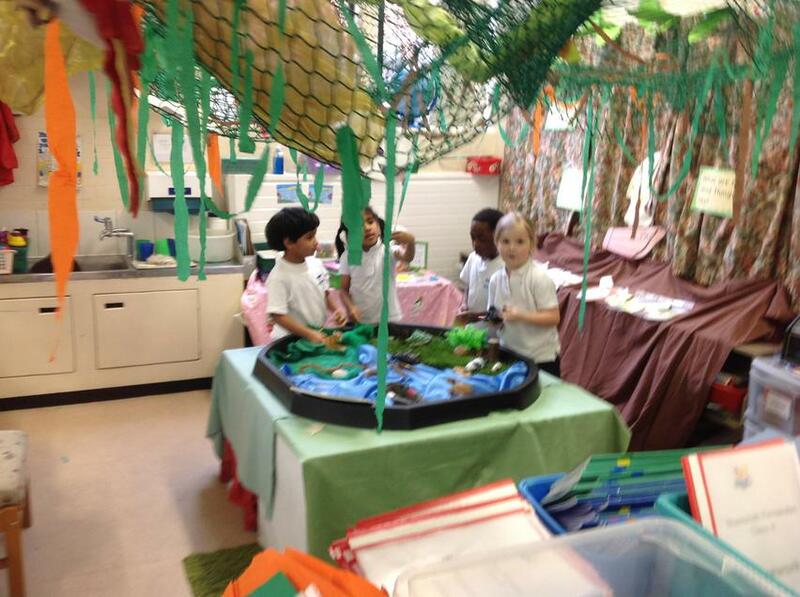 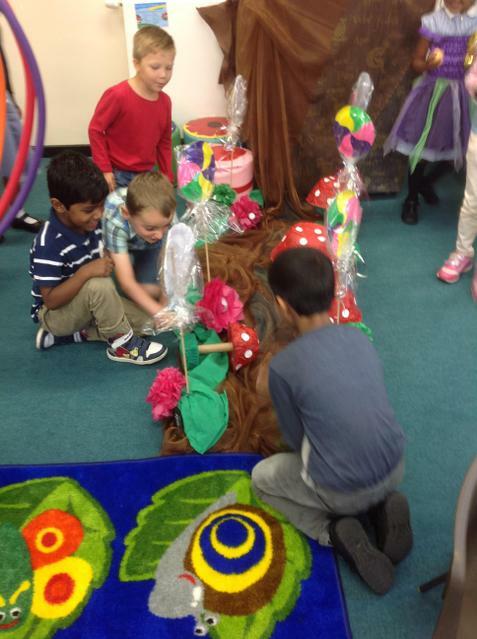 The children have enjoyed exploring the jungle of Where the Wild things live! 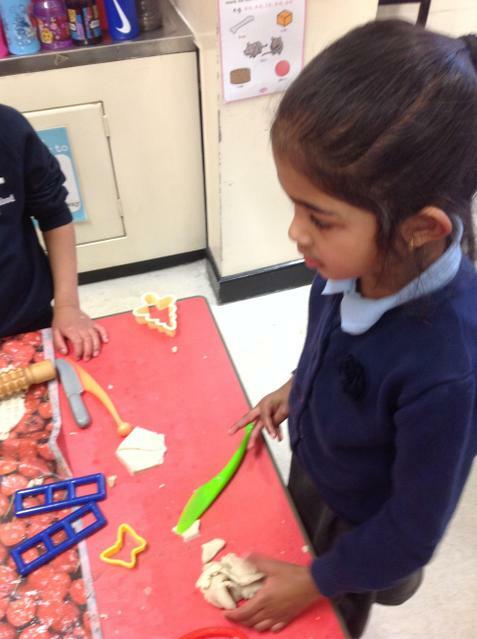 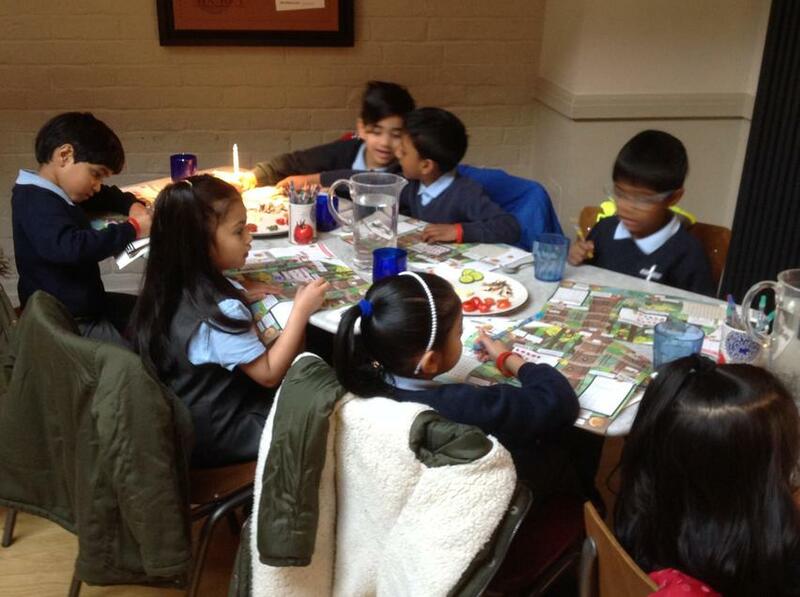 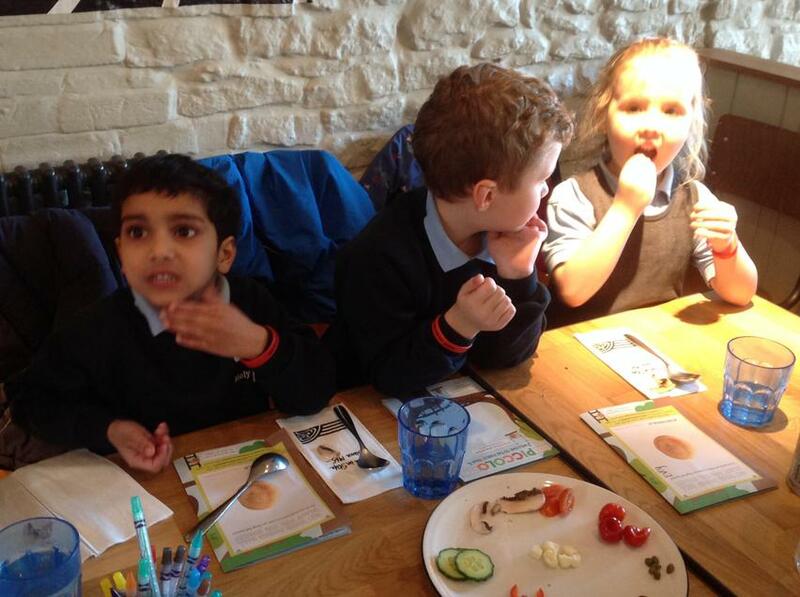 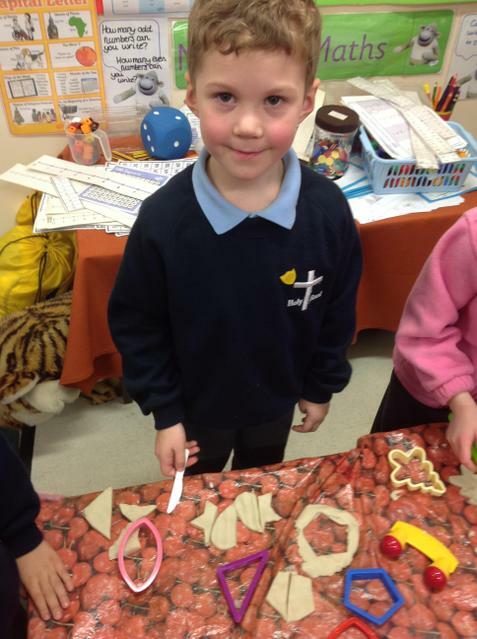 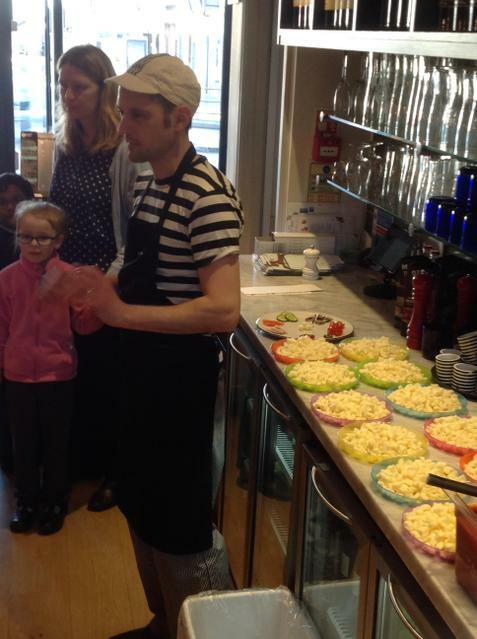 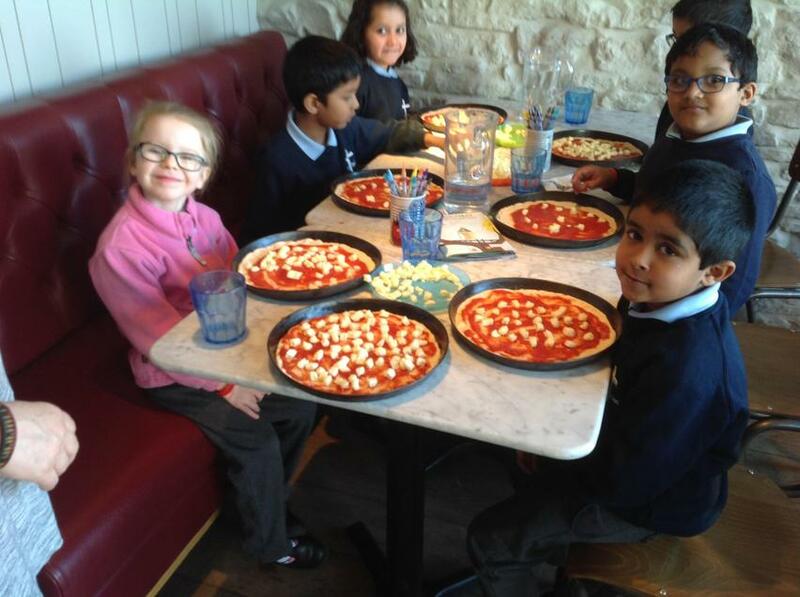 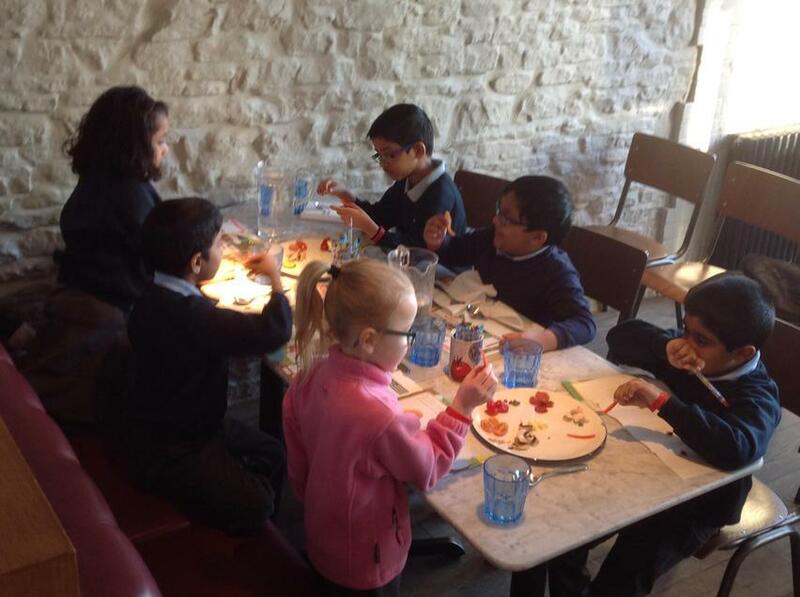 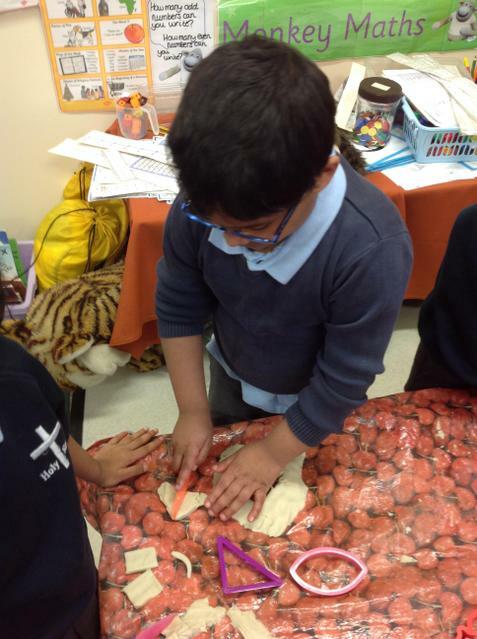 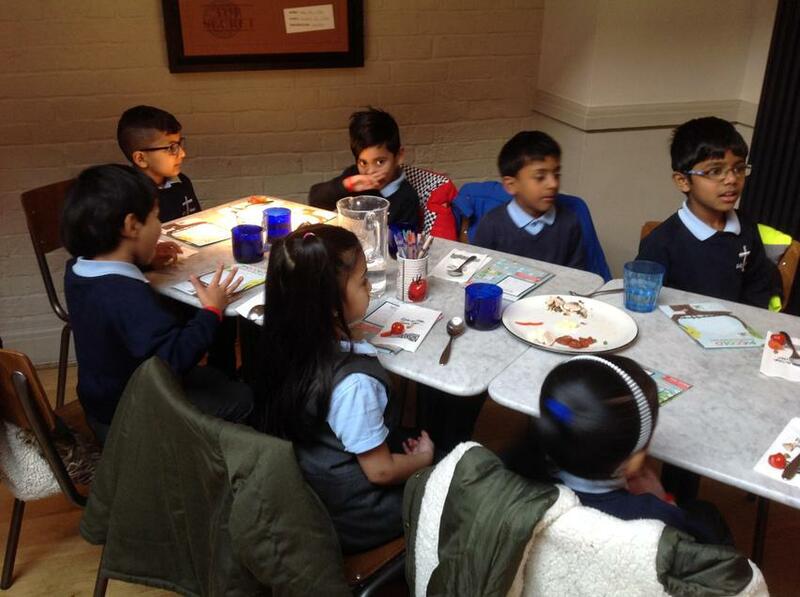 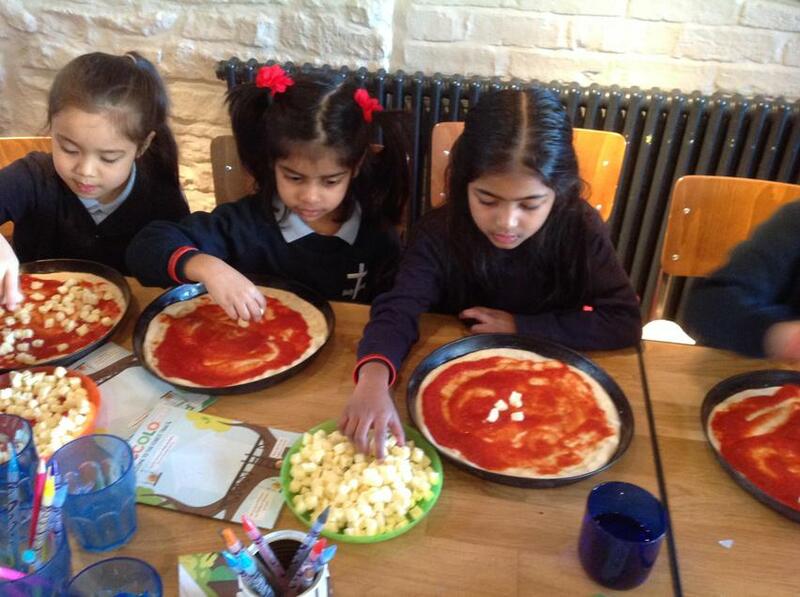 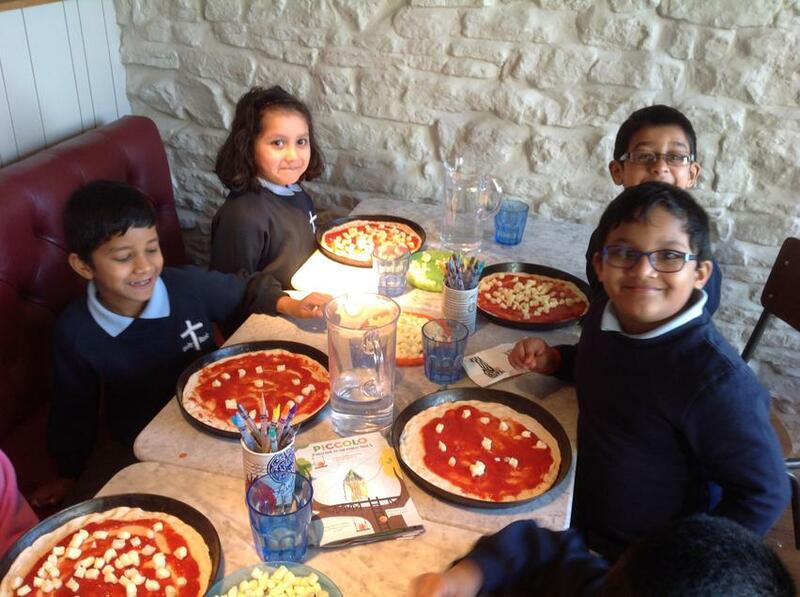 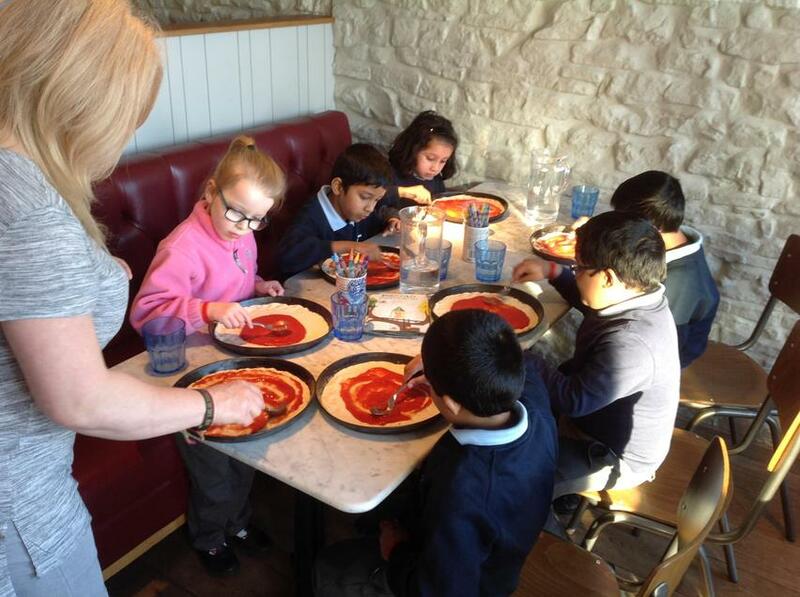 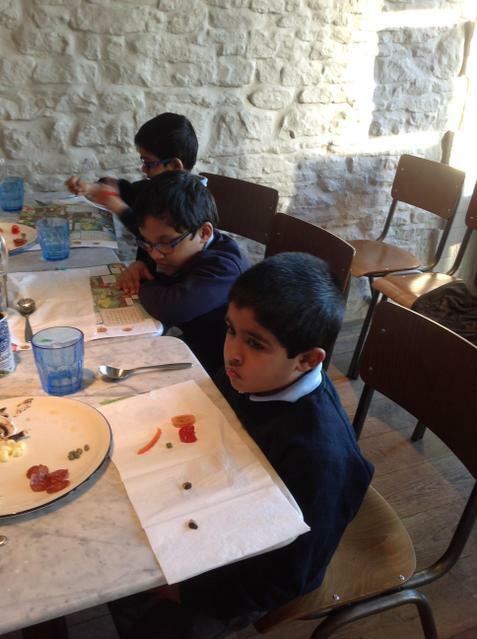 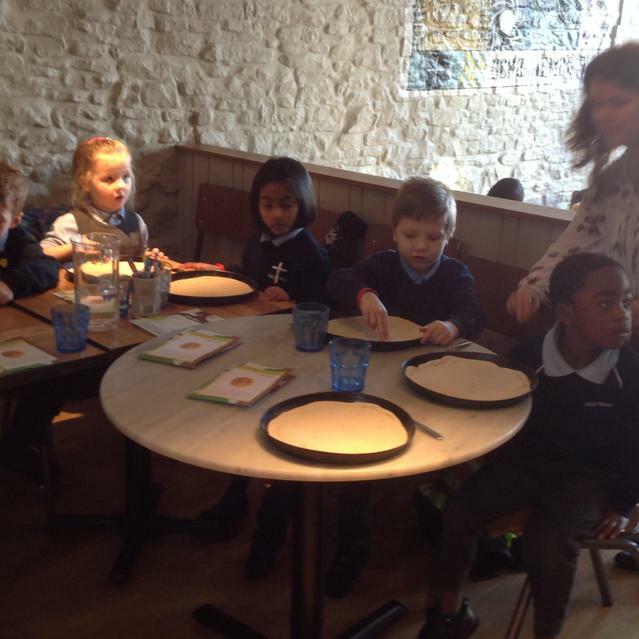 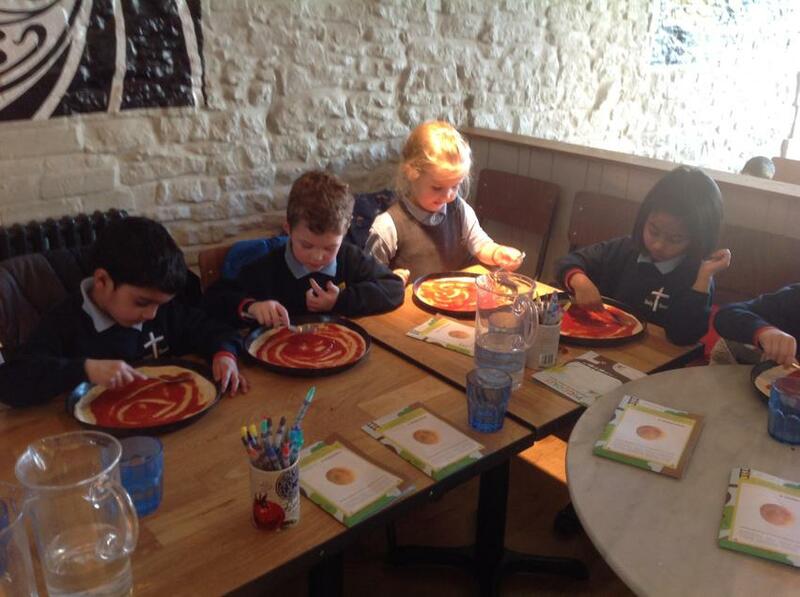 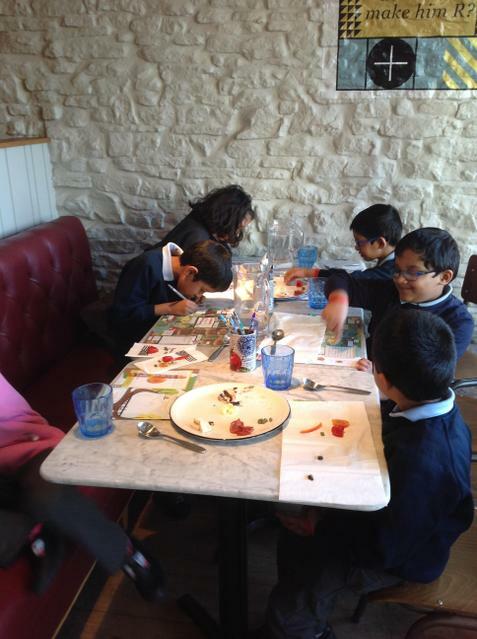 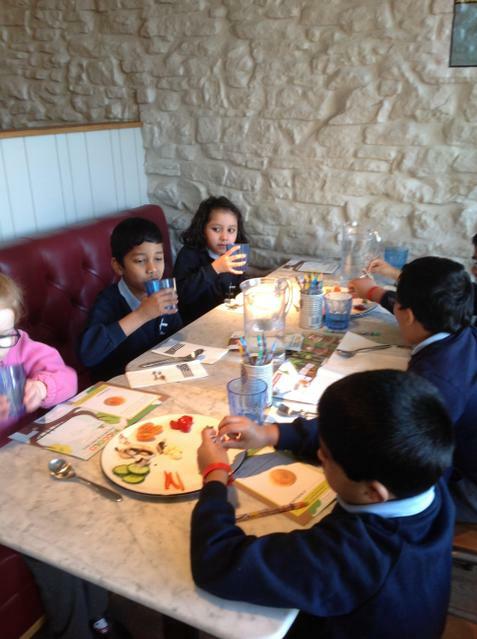 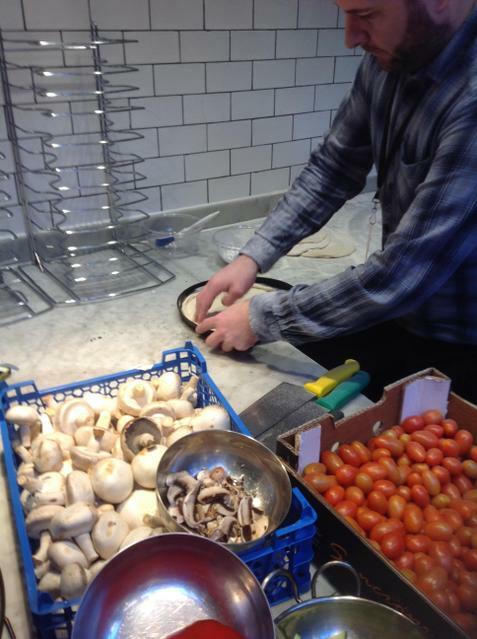 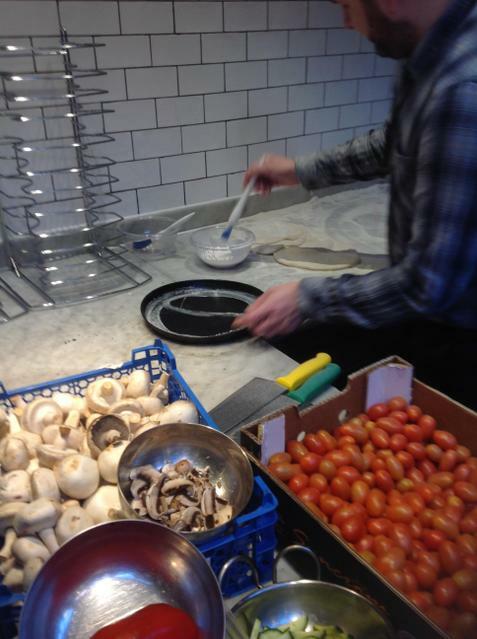 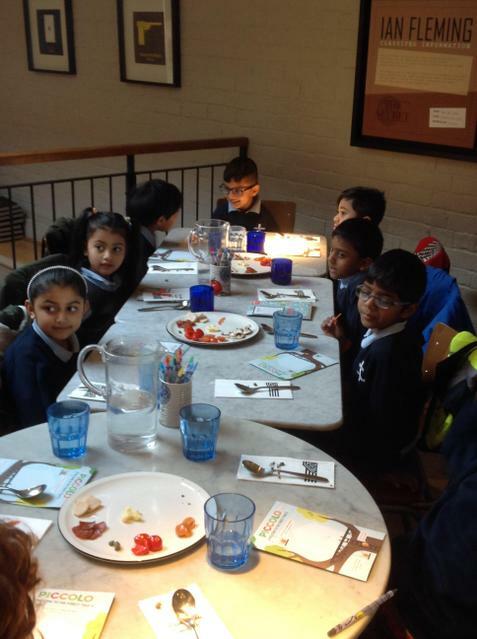 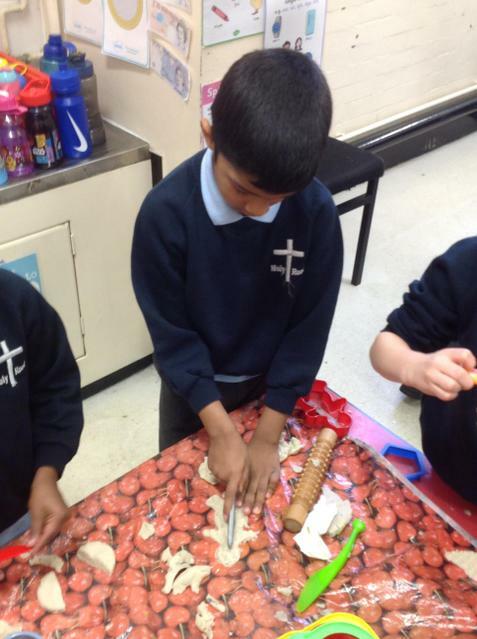 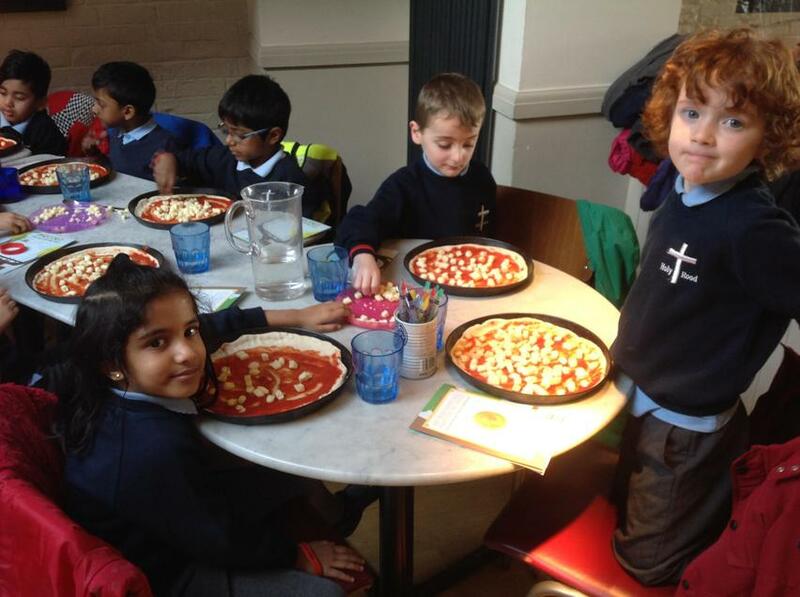 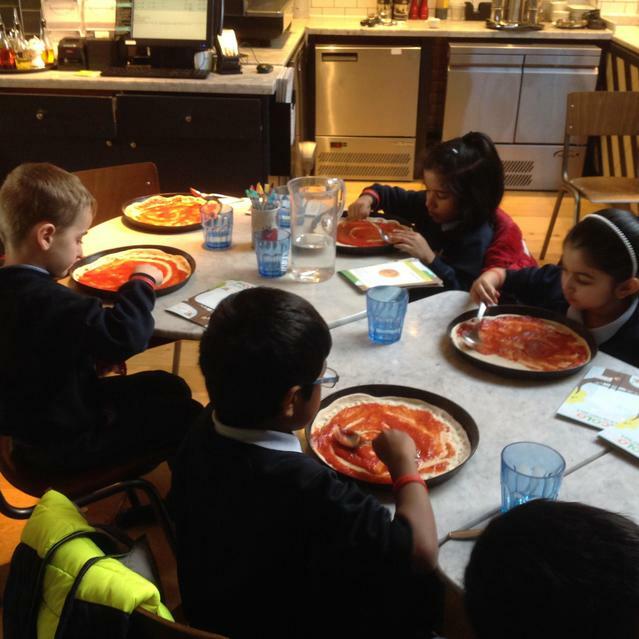 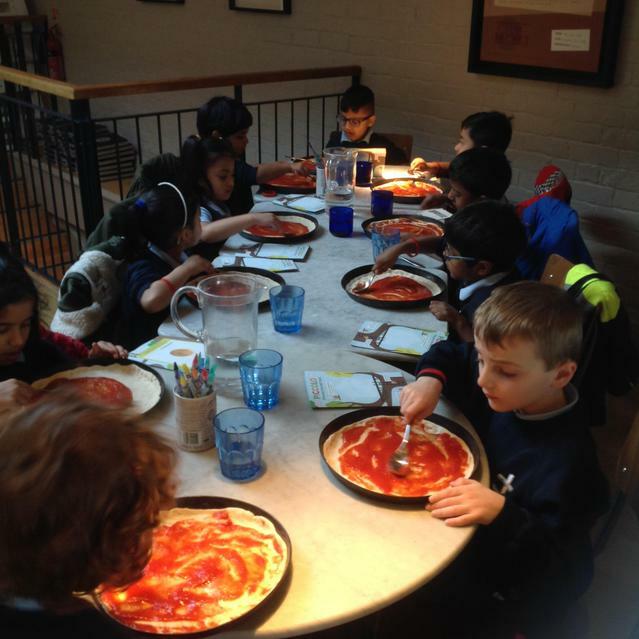 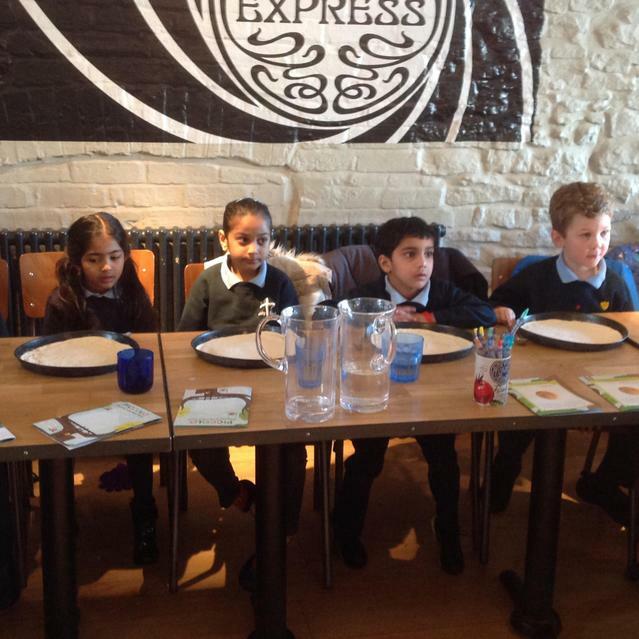 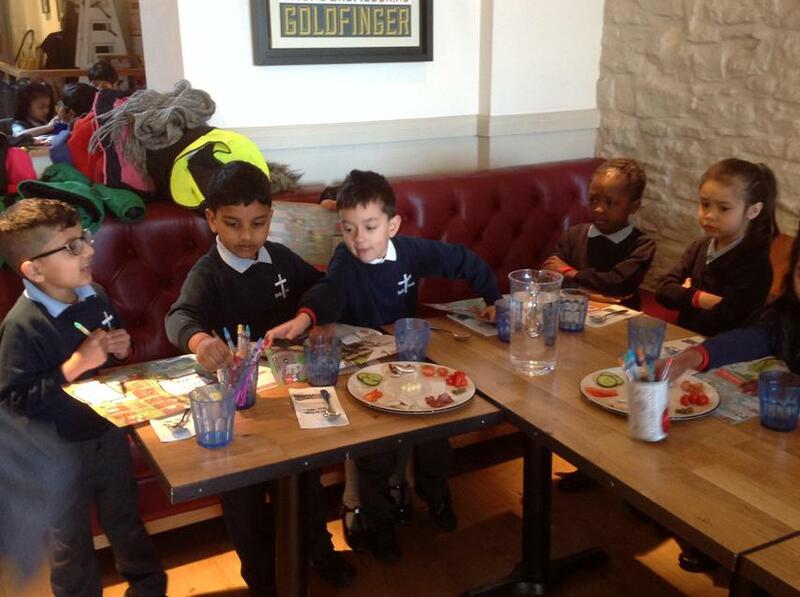 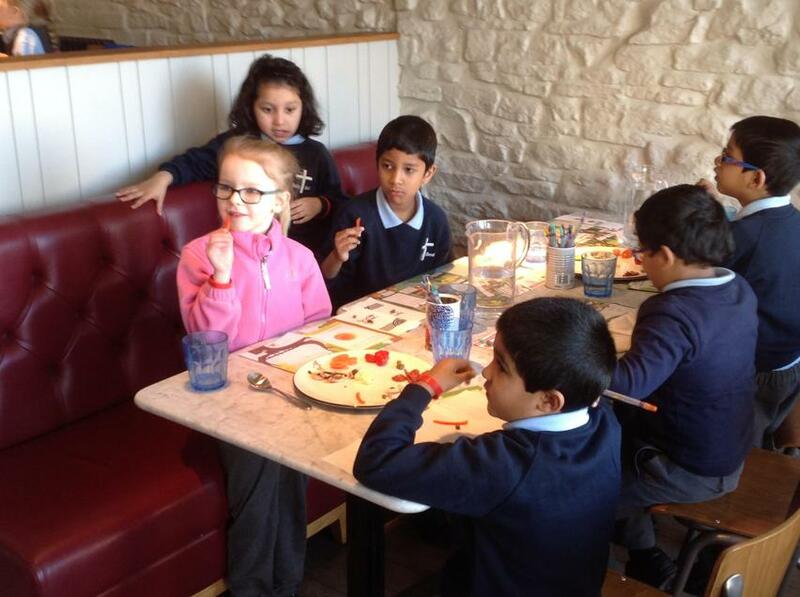 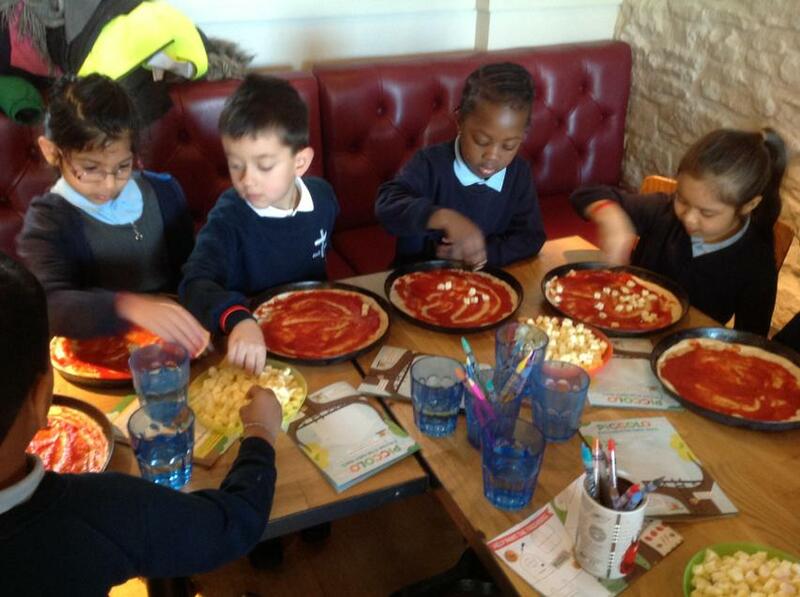 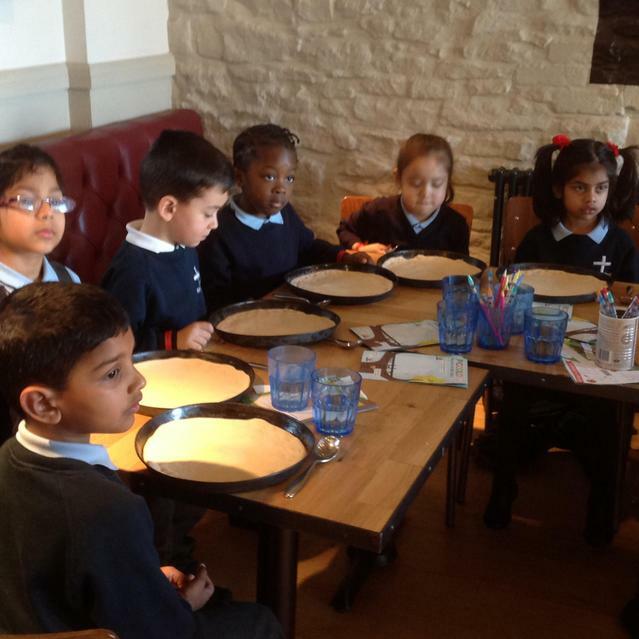 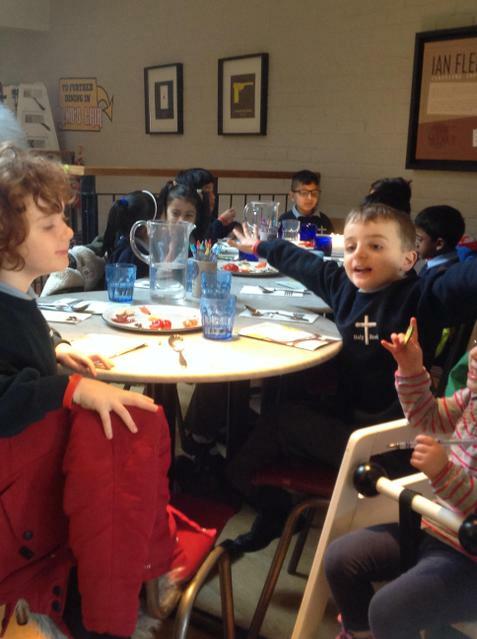 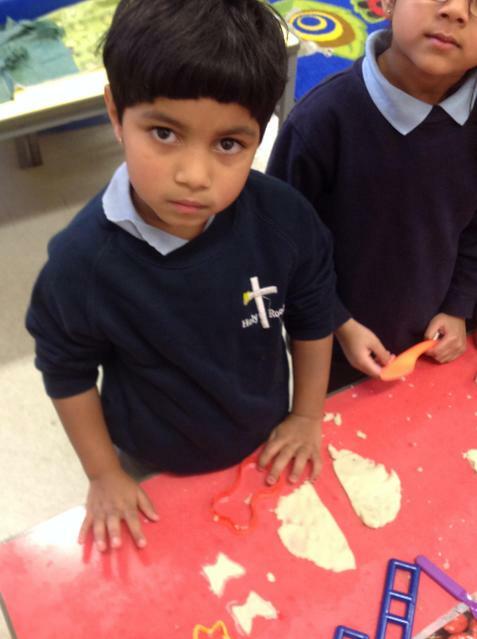 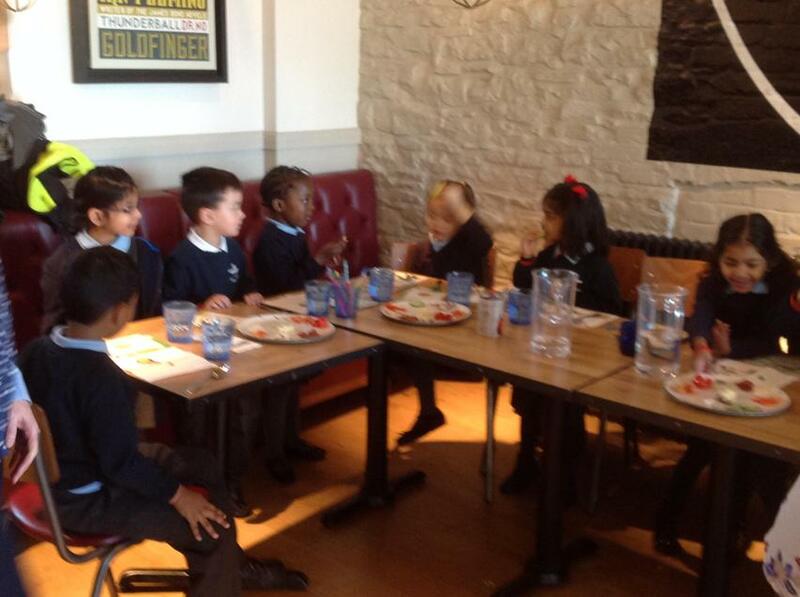 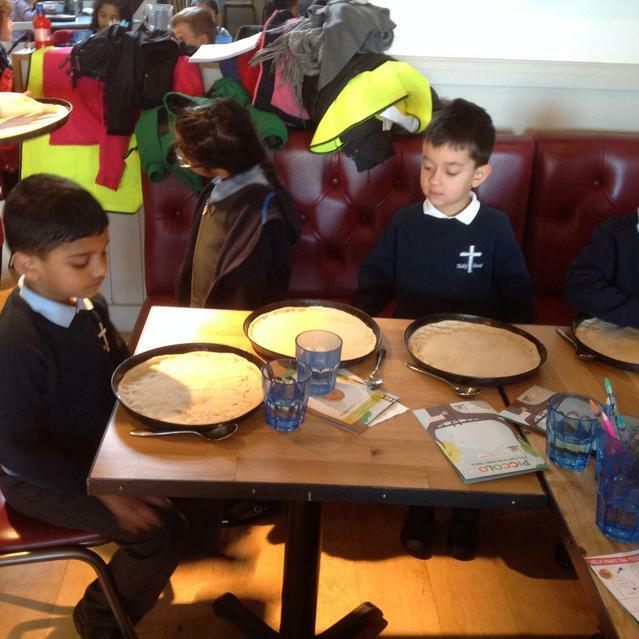 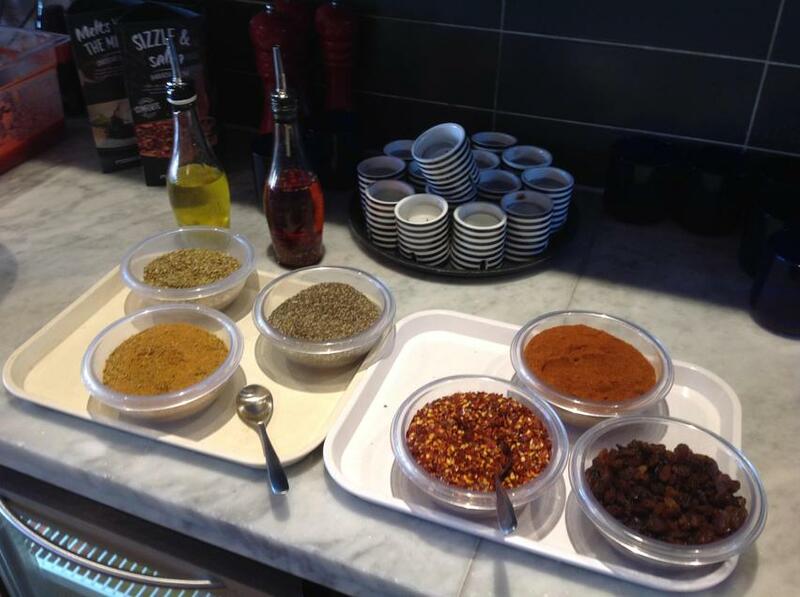 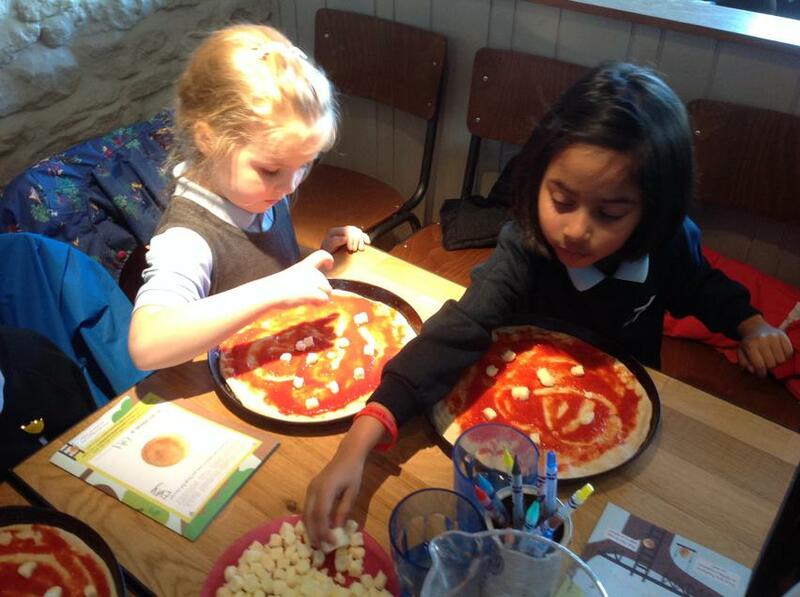 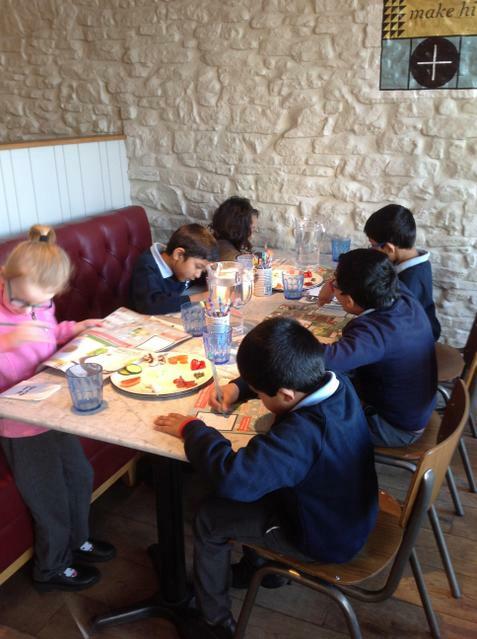 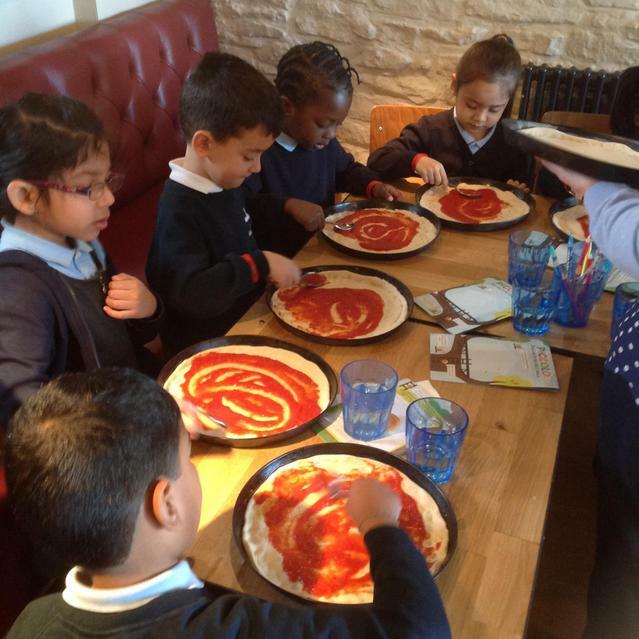 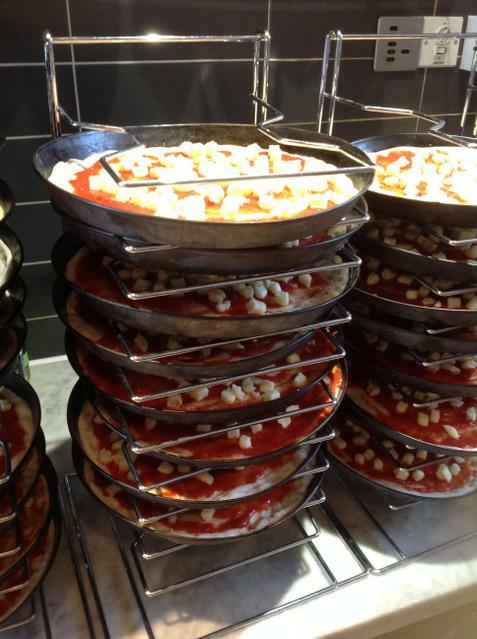 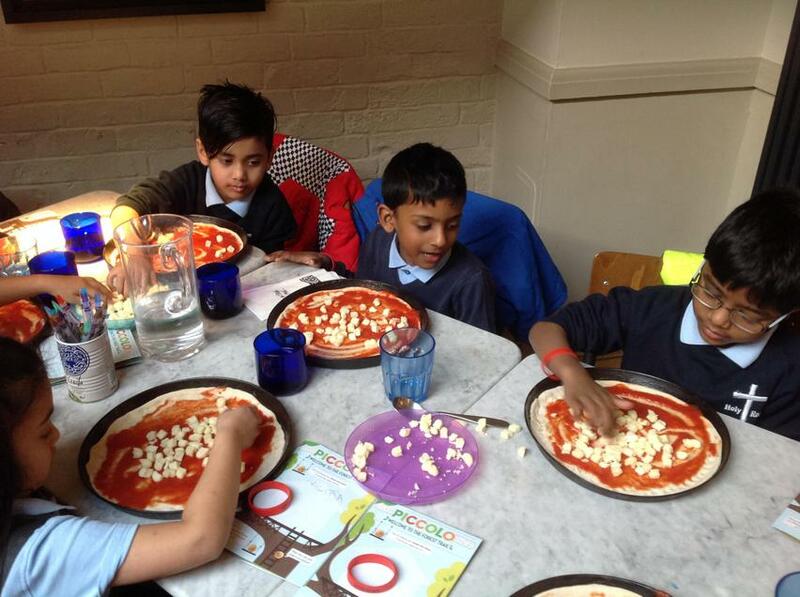 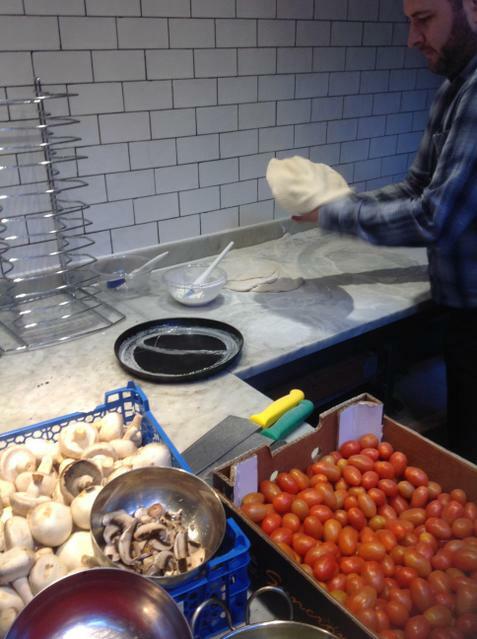 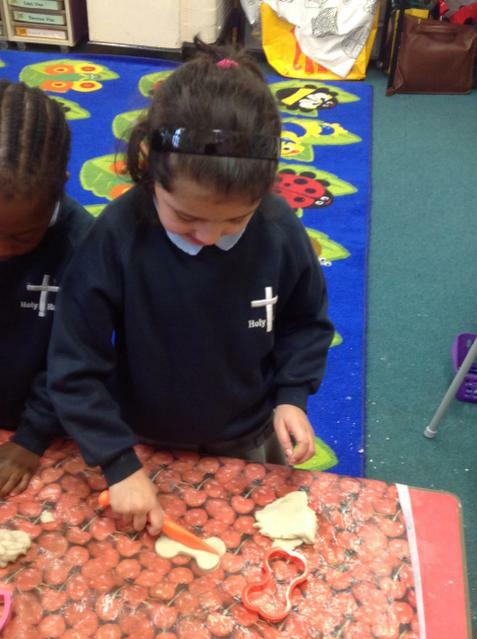 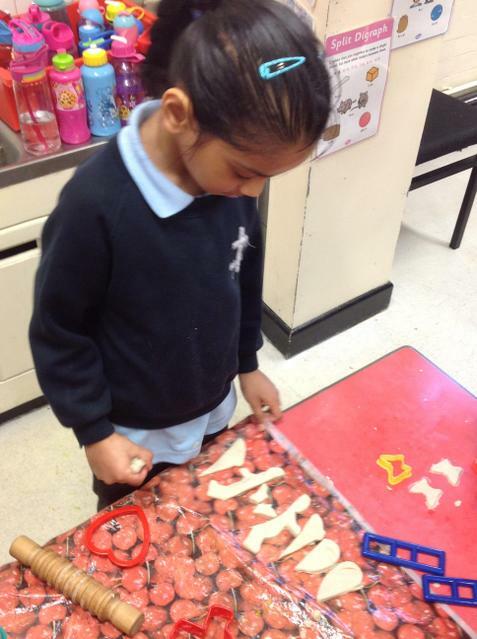 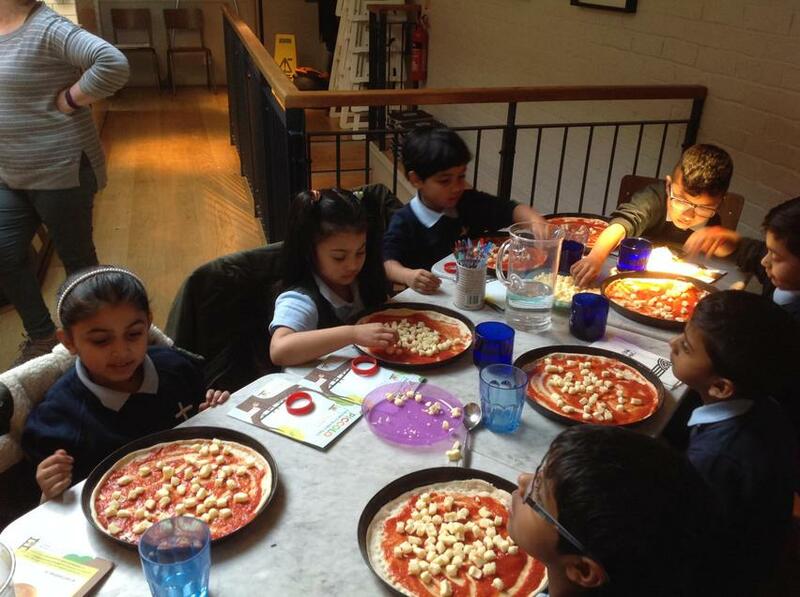 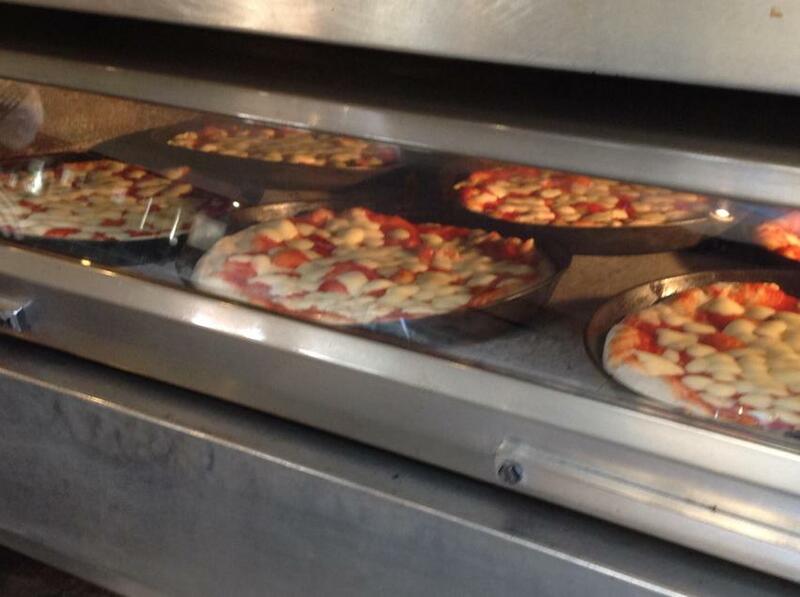 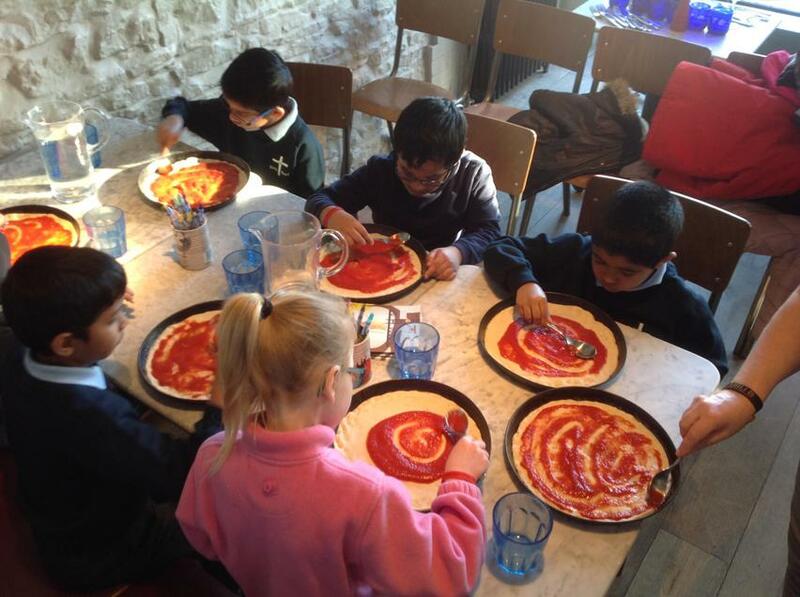 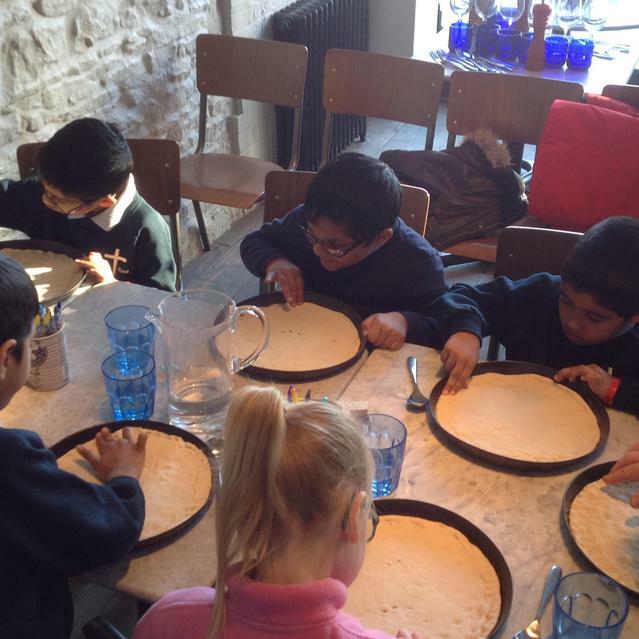 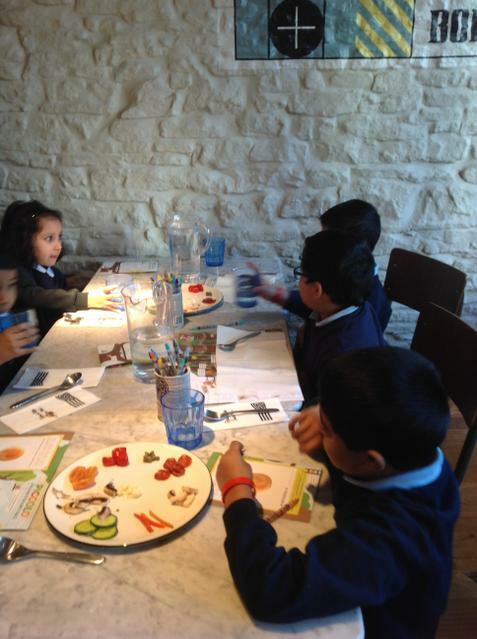 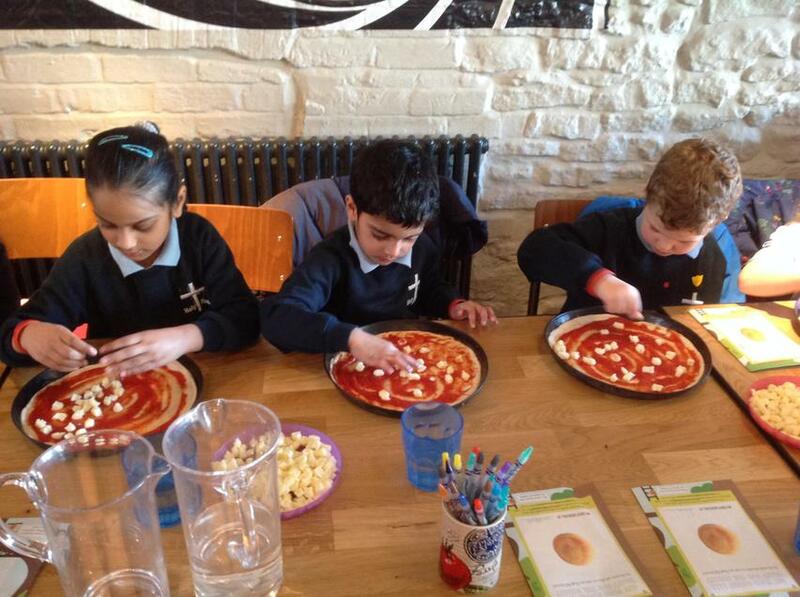 Robins enjoyed tasting different foods and making pizzas on our visit to Pizza Express. 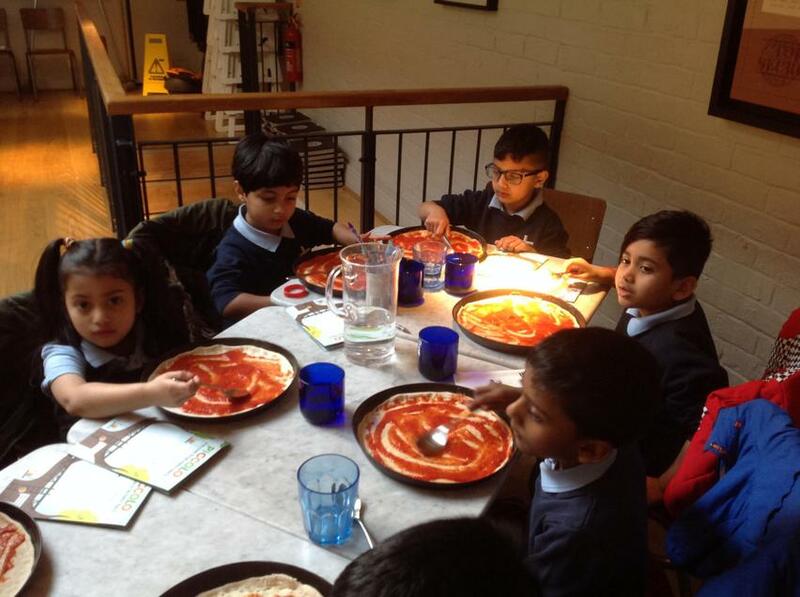 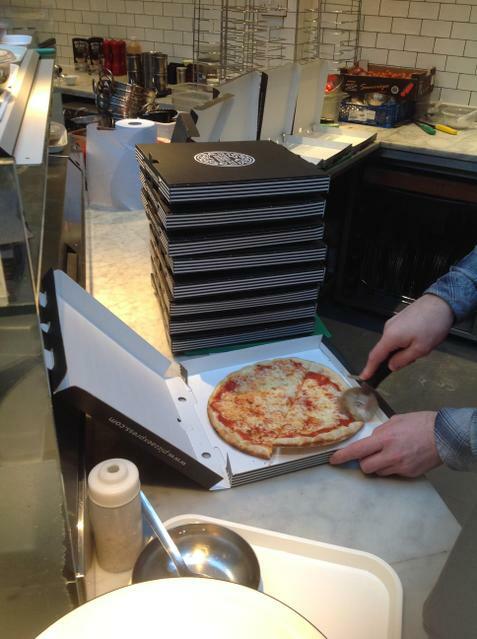 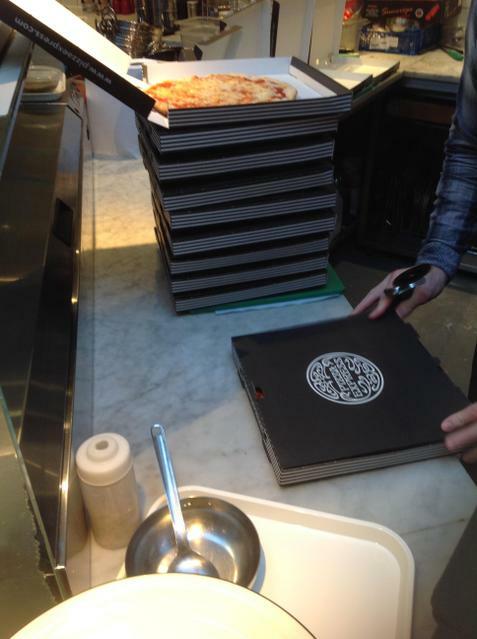 We took our pizzas home and they were delicious! 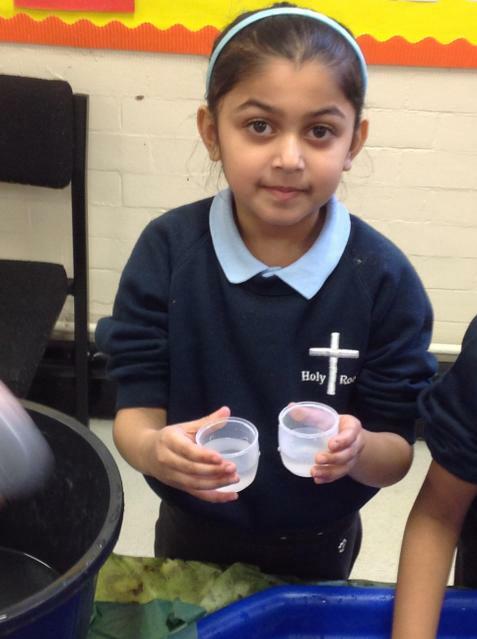 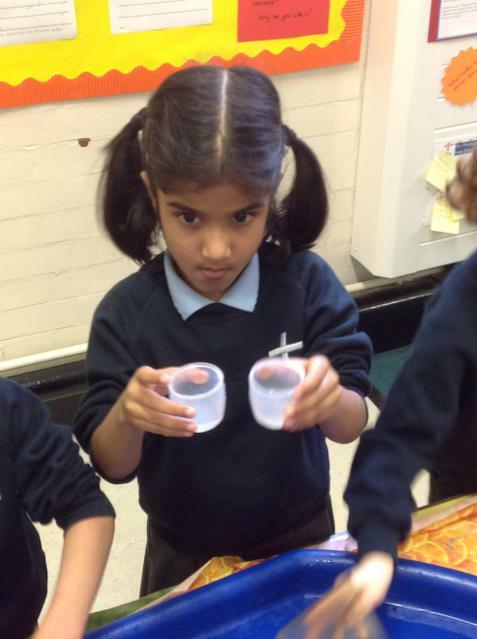 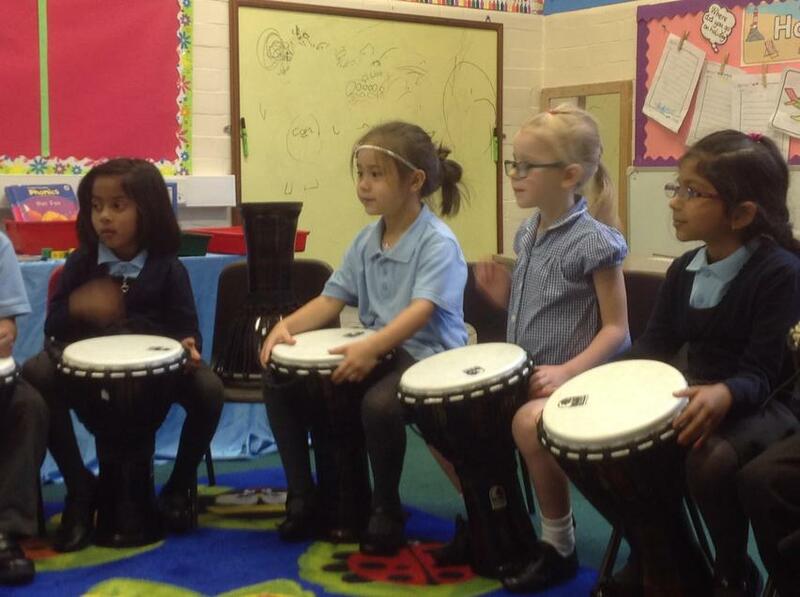 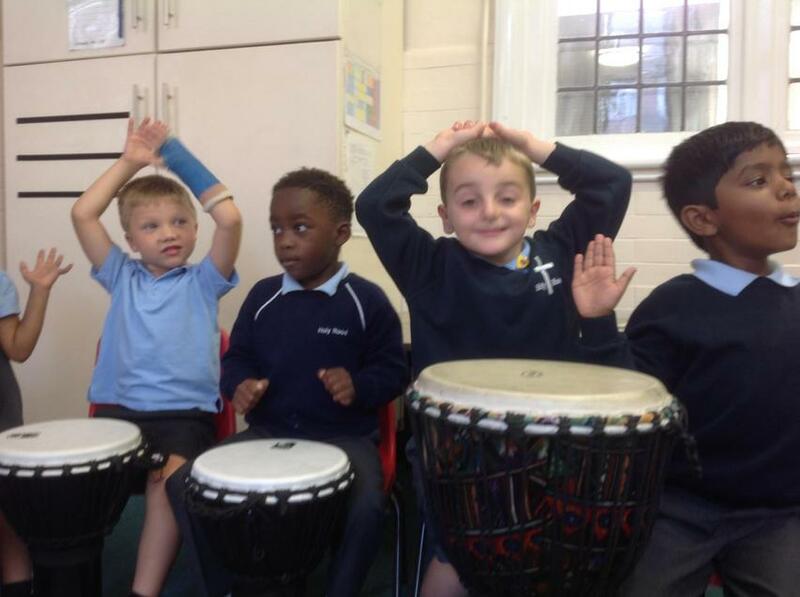 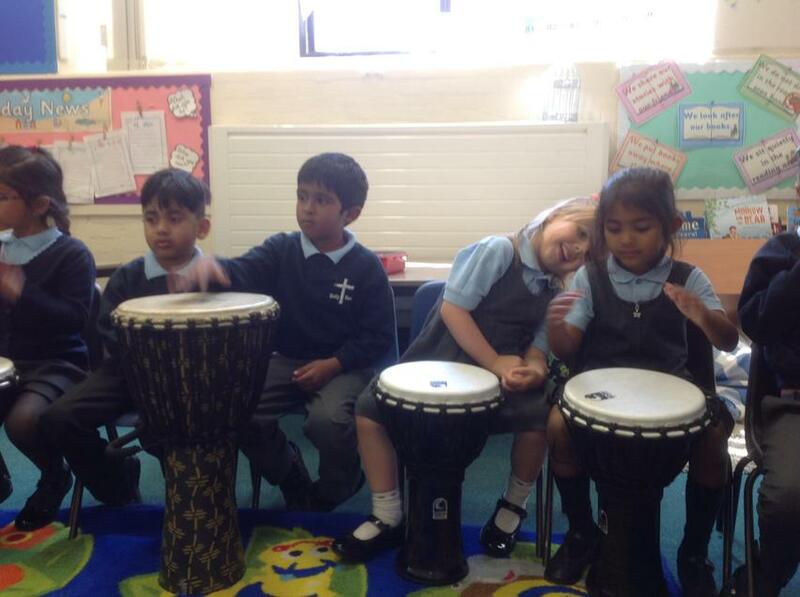 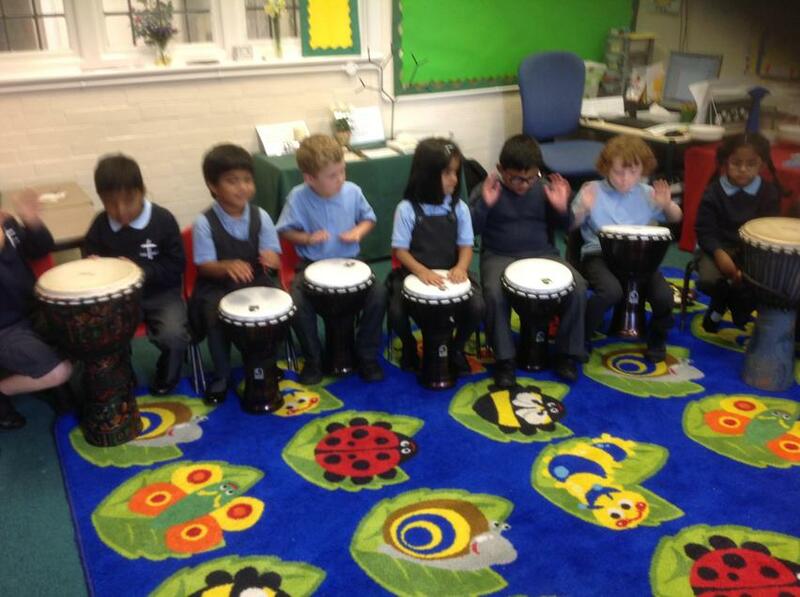 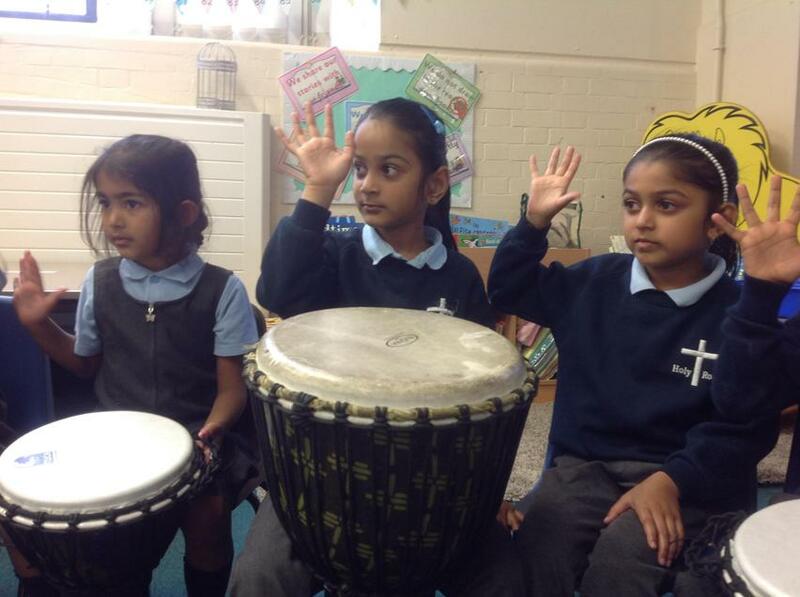 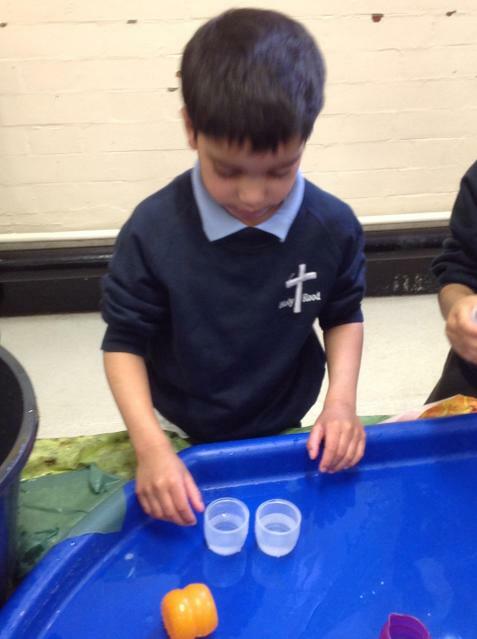 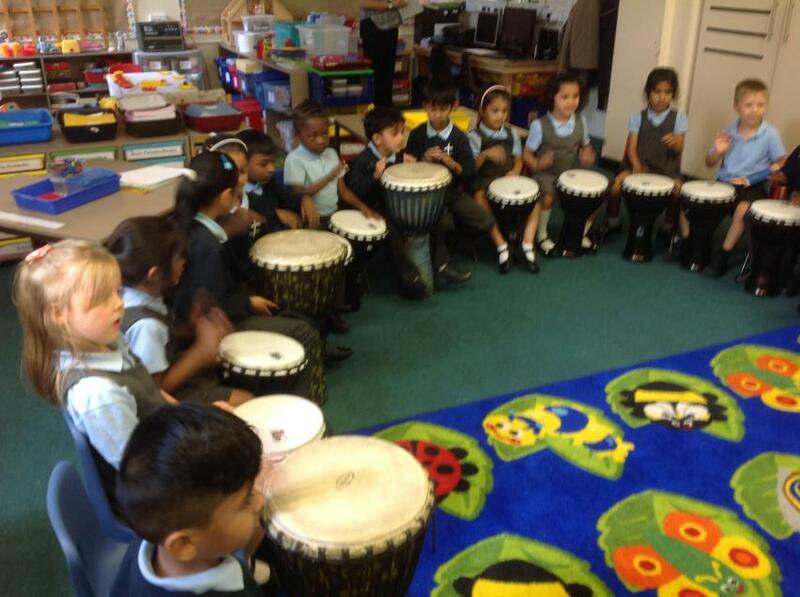 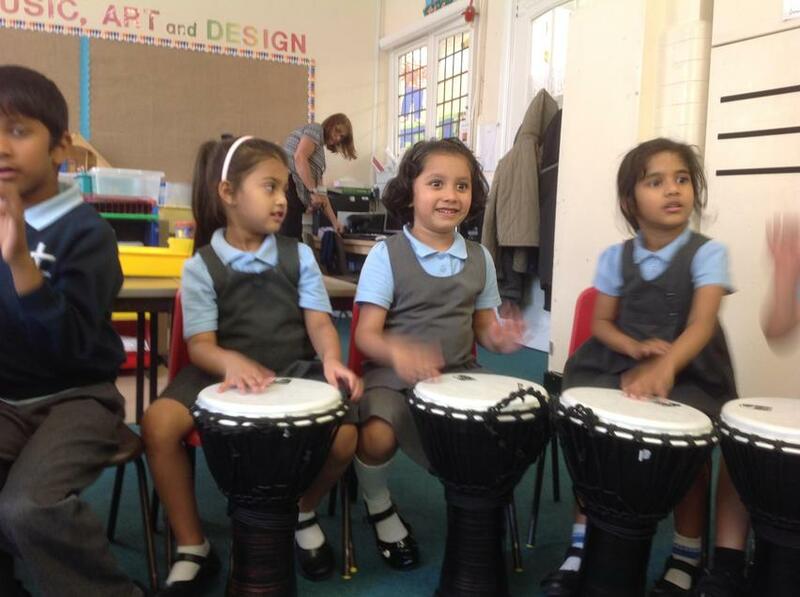 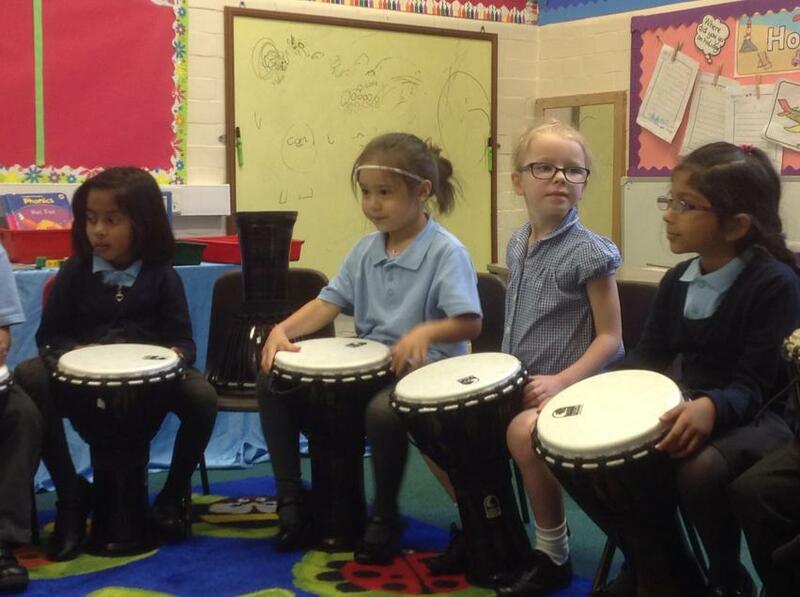 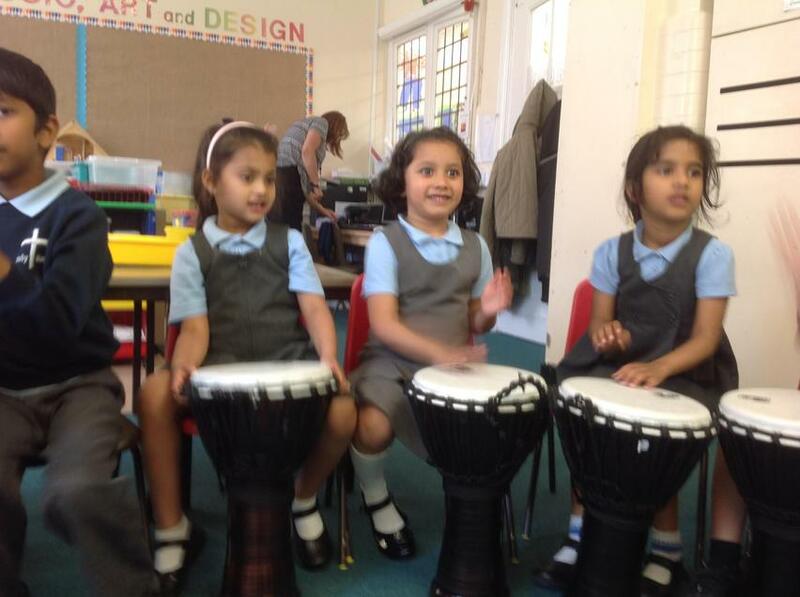 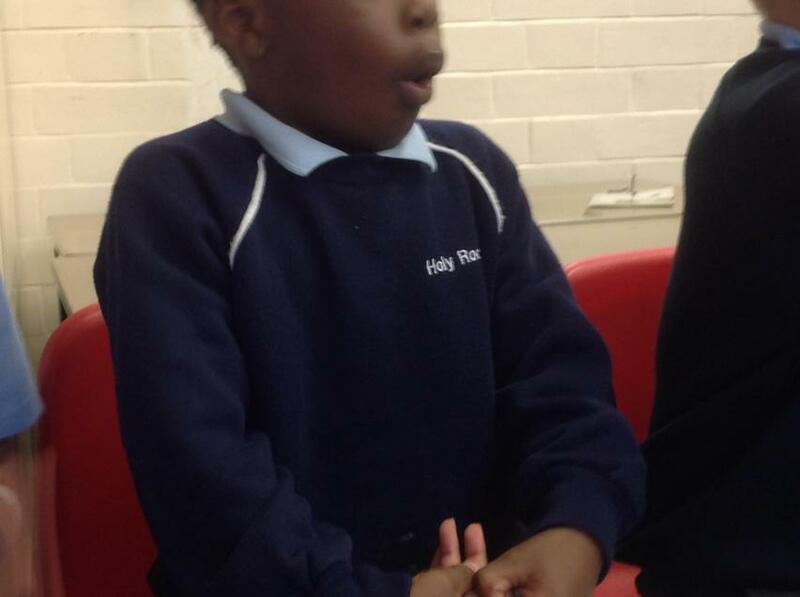 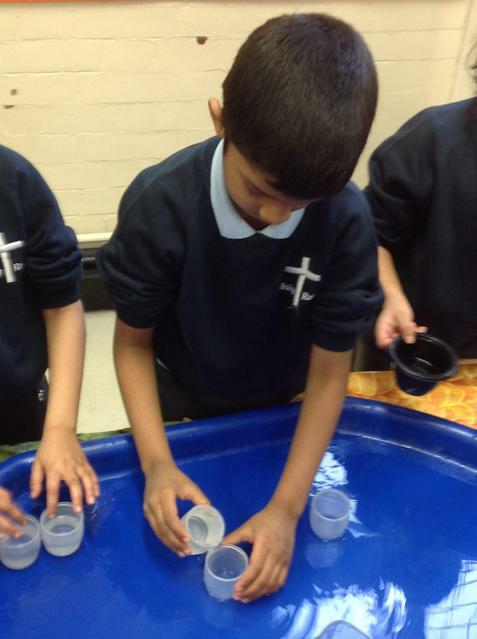 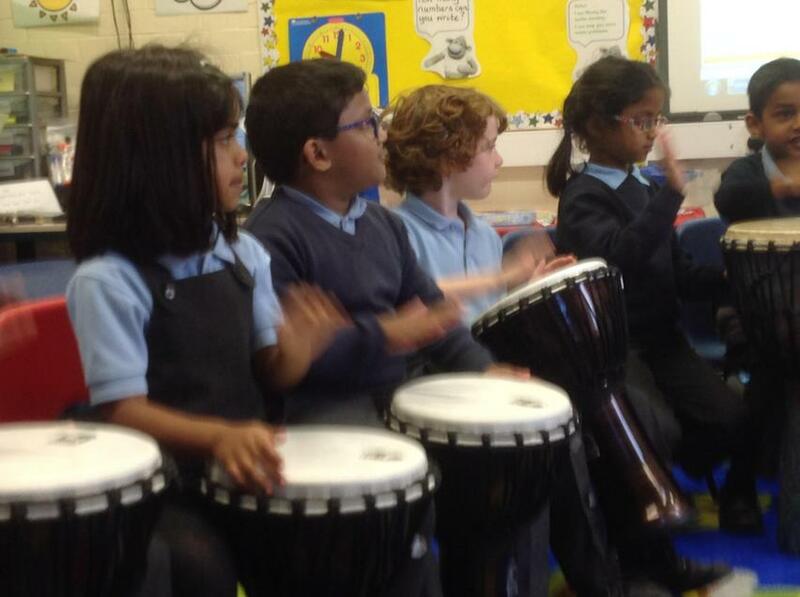 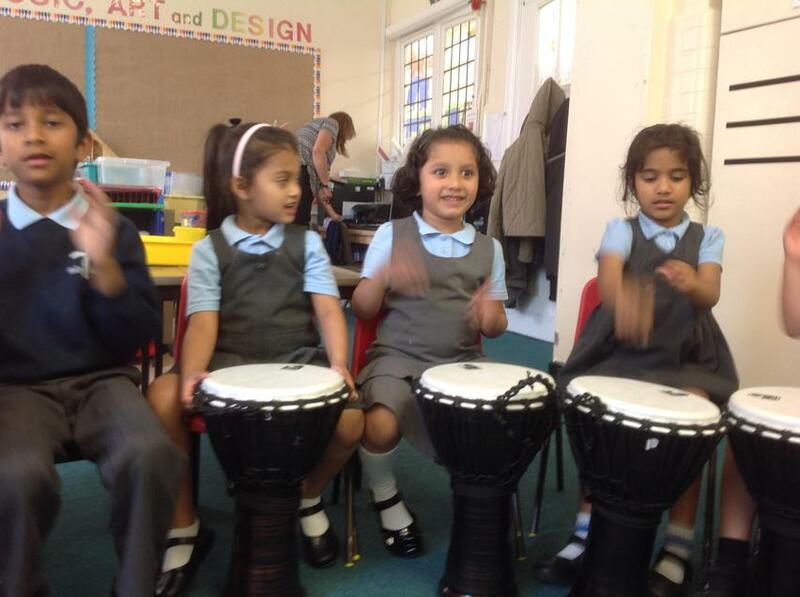 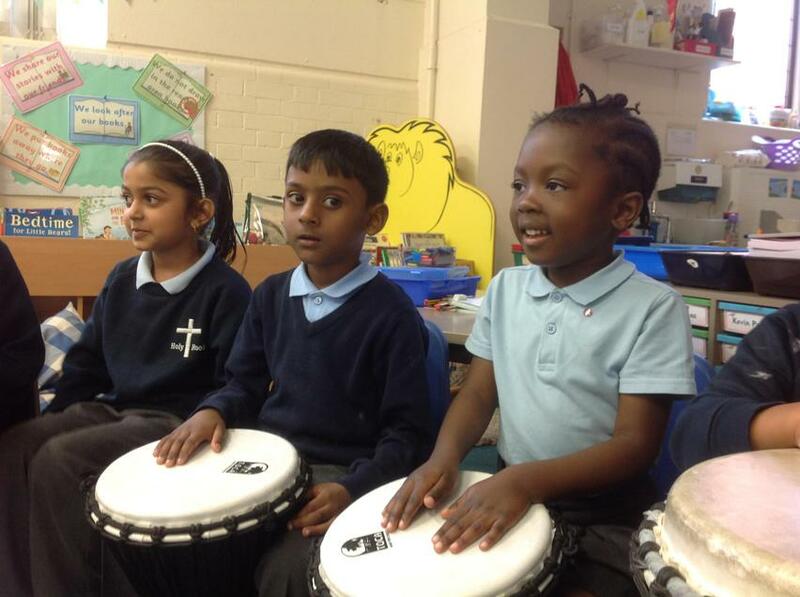 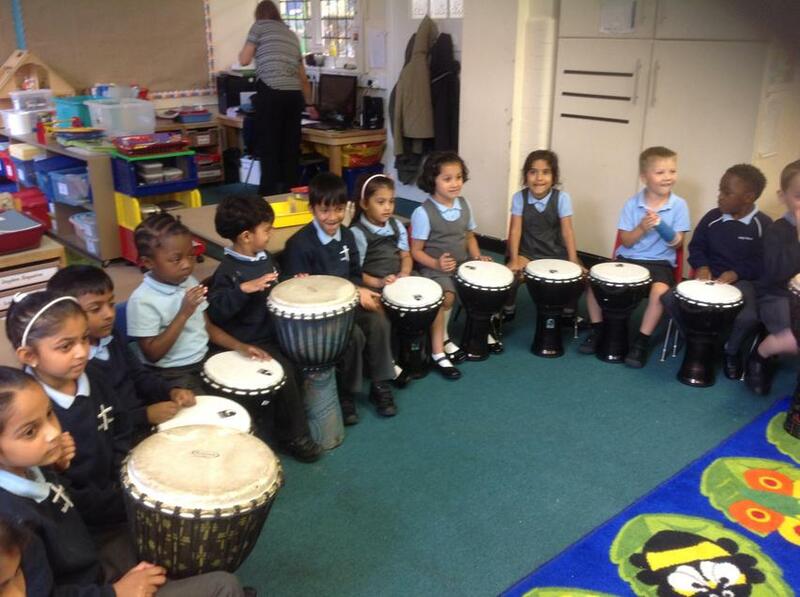 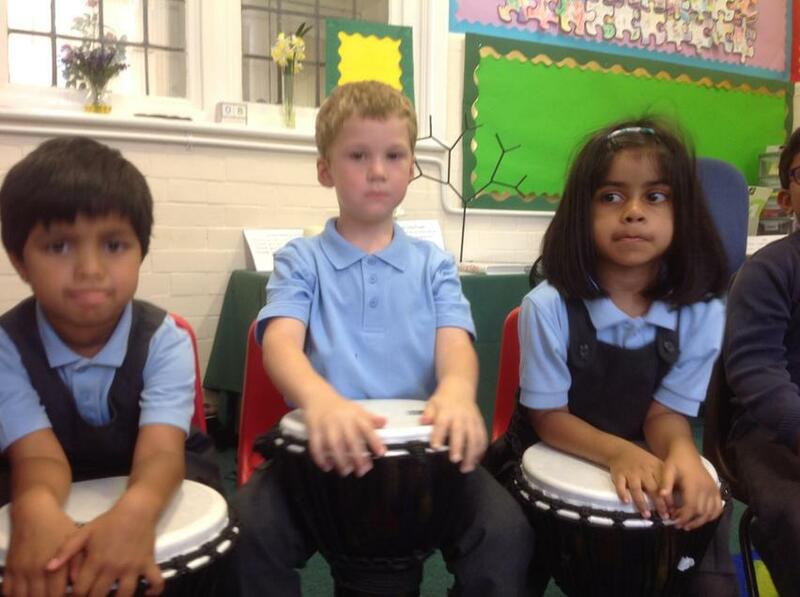 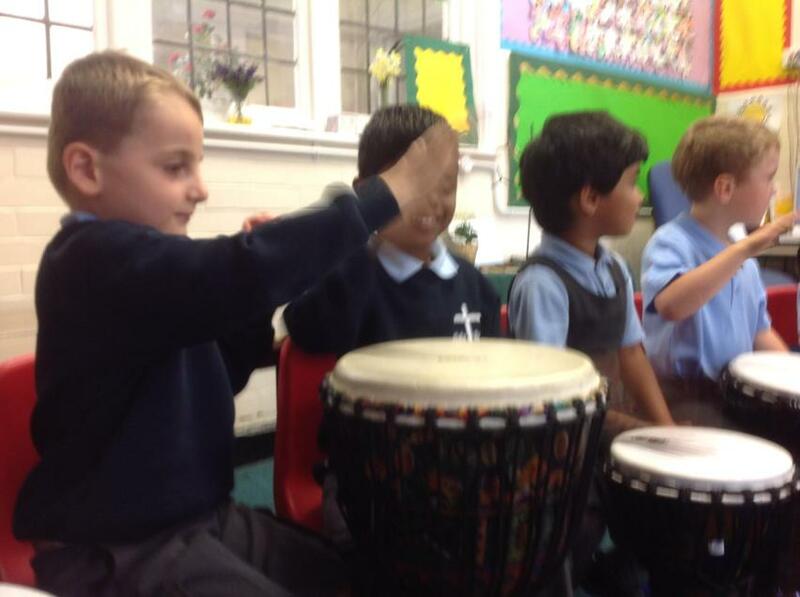 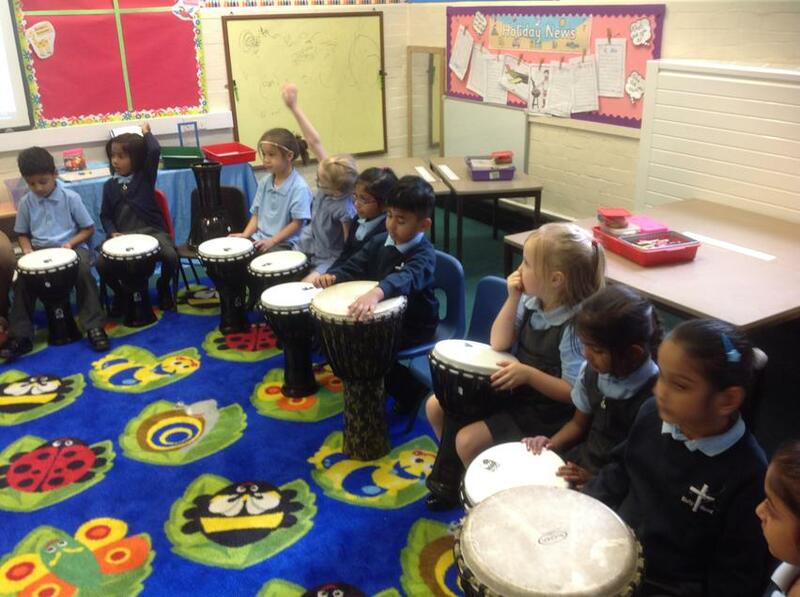 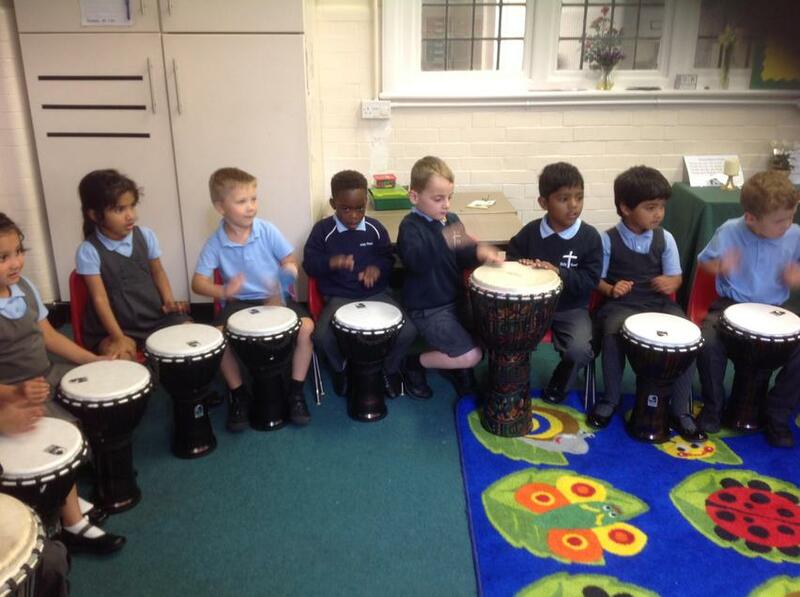 The Robins class have been learning to play the drums! 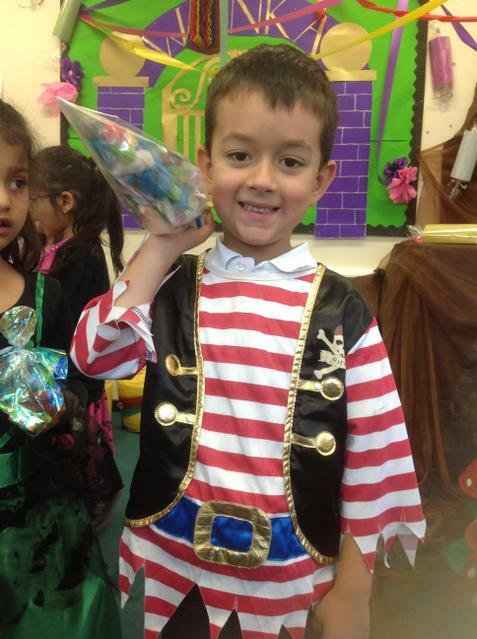 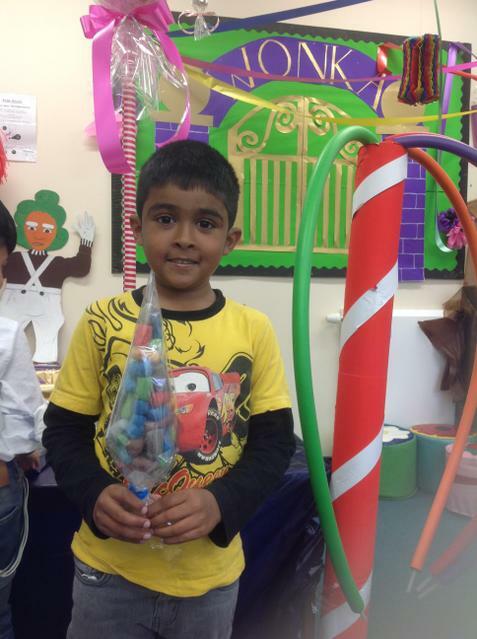 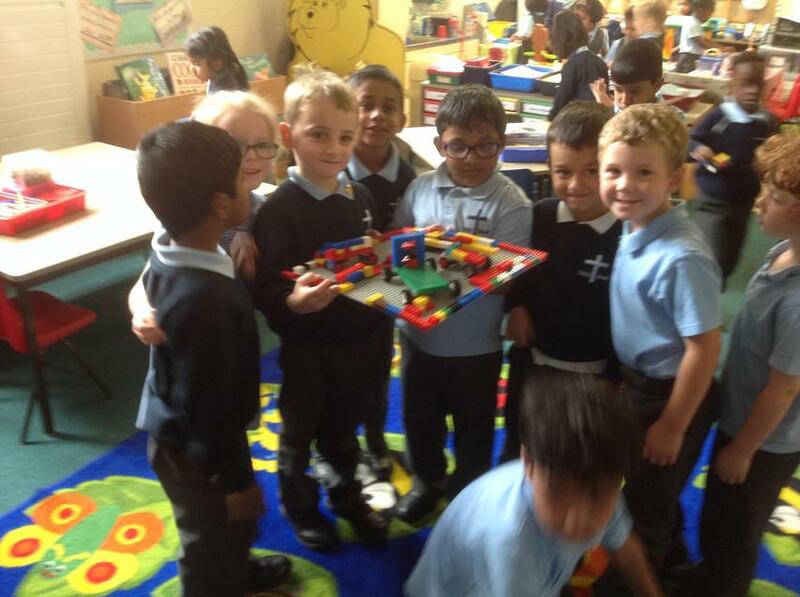 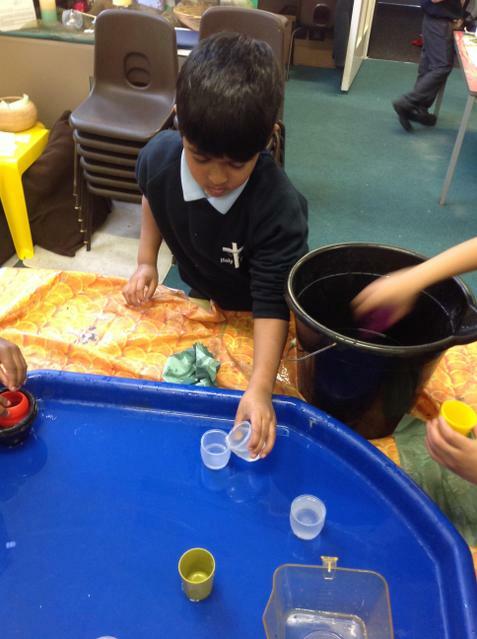 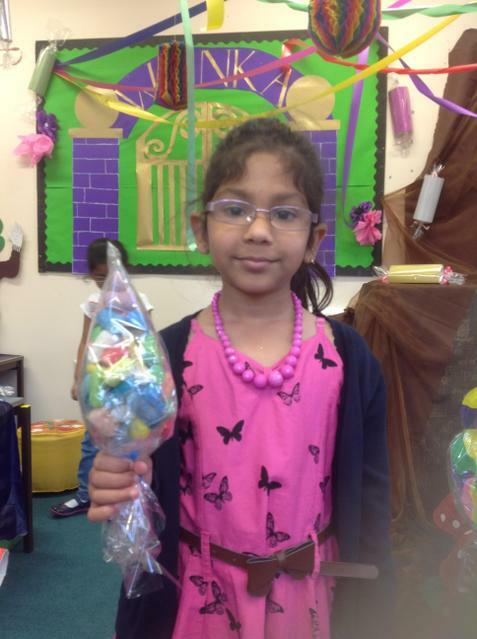 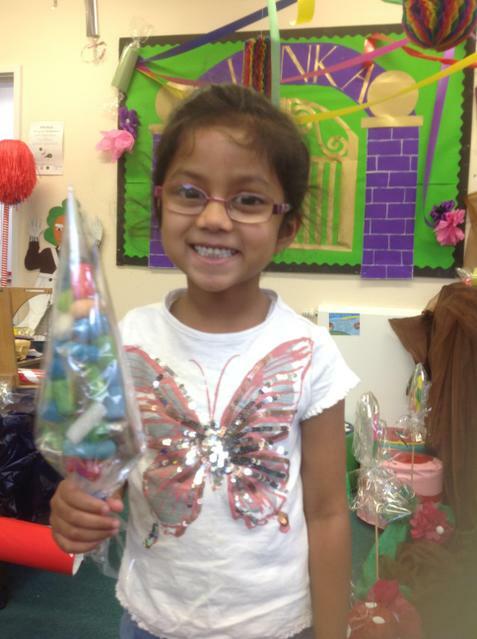 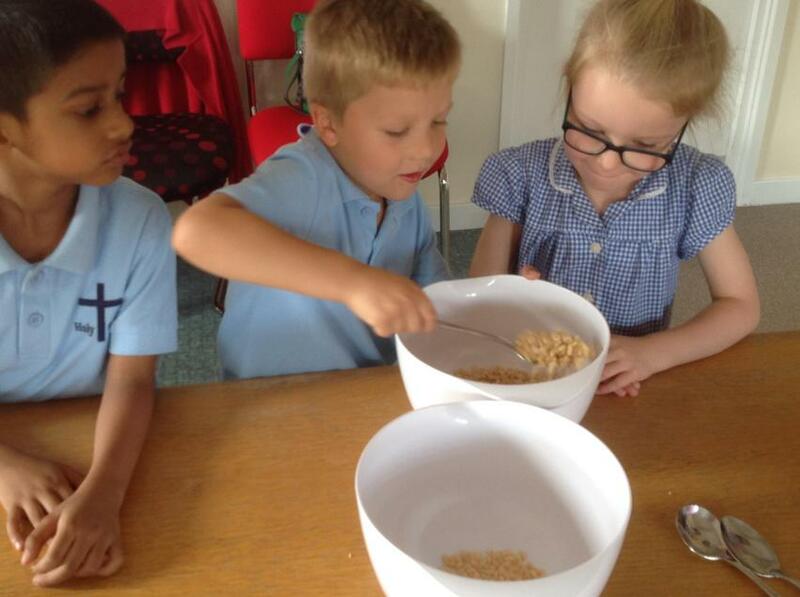 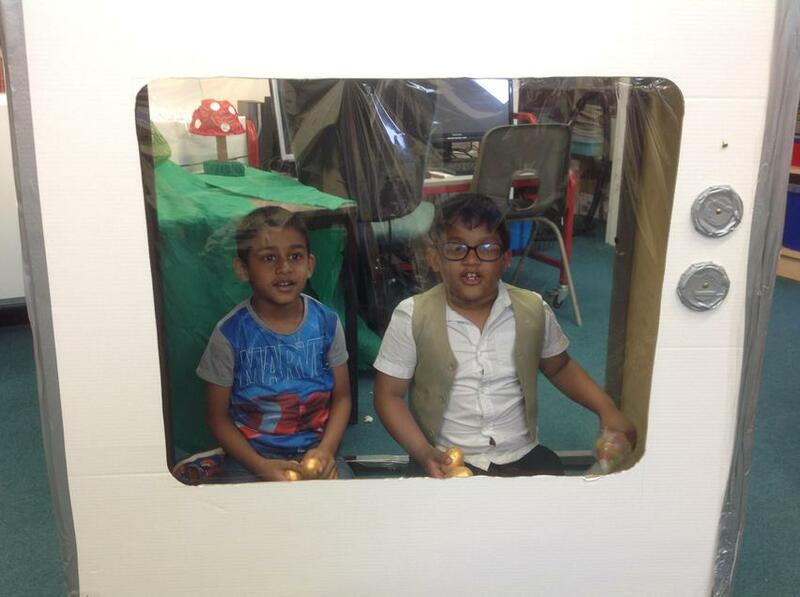 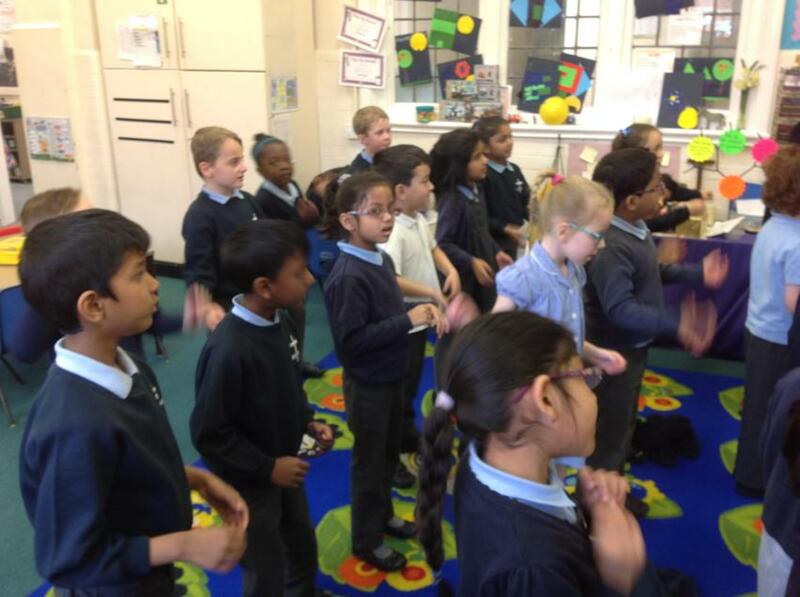 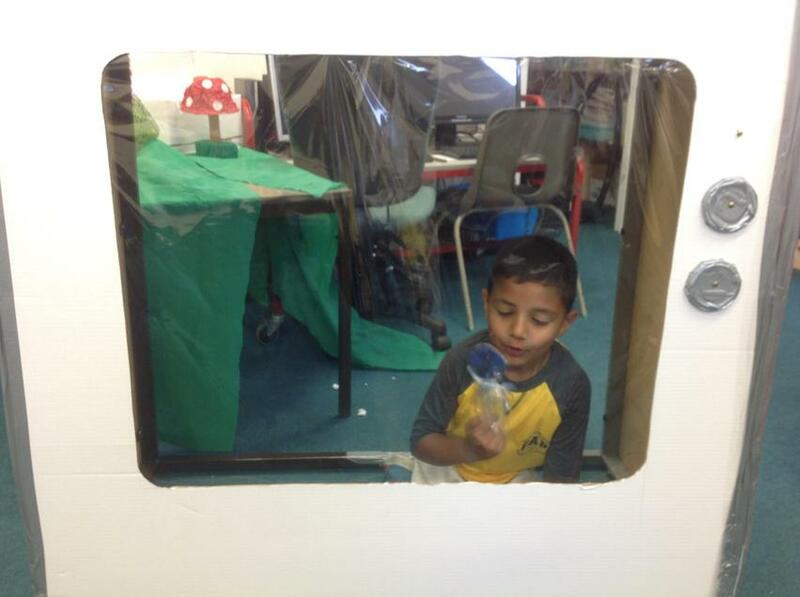 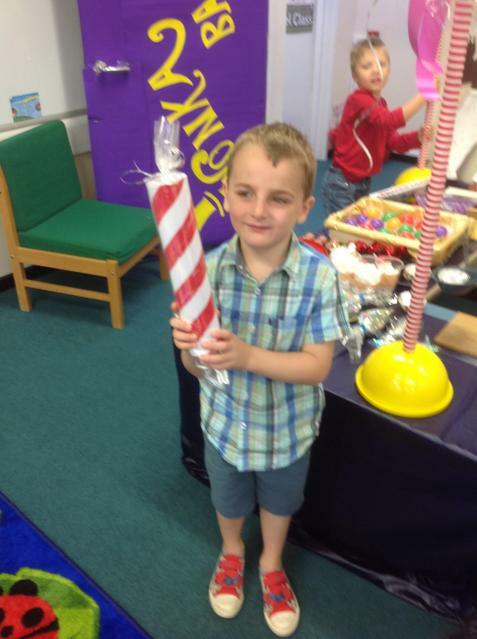 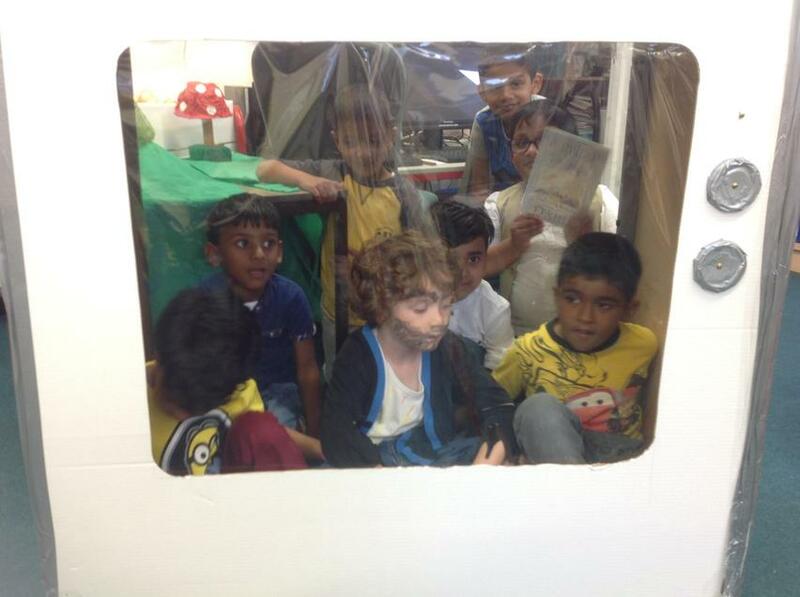 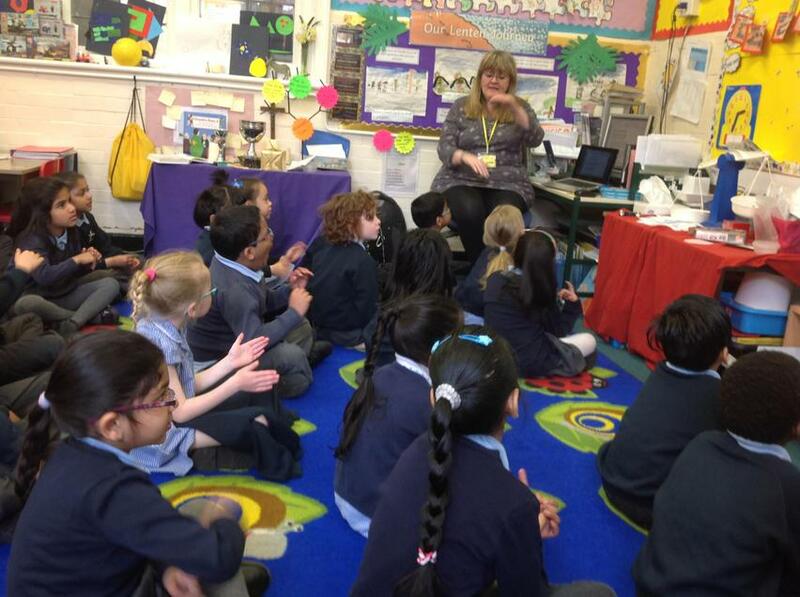 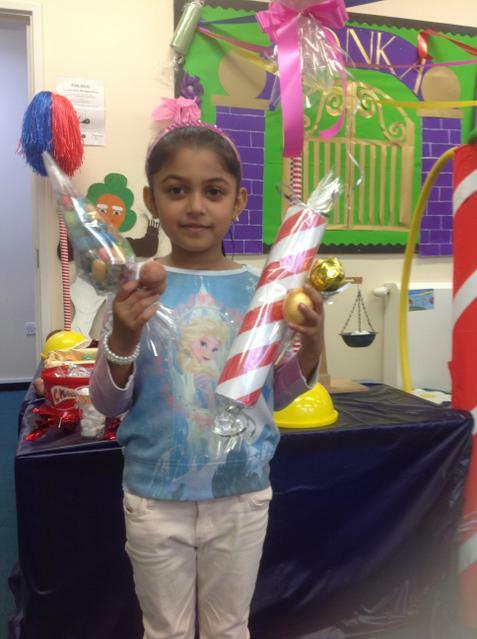 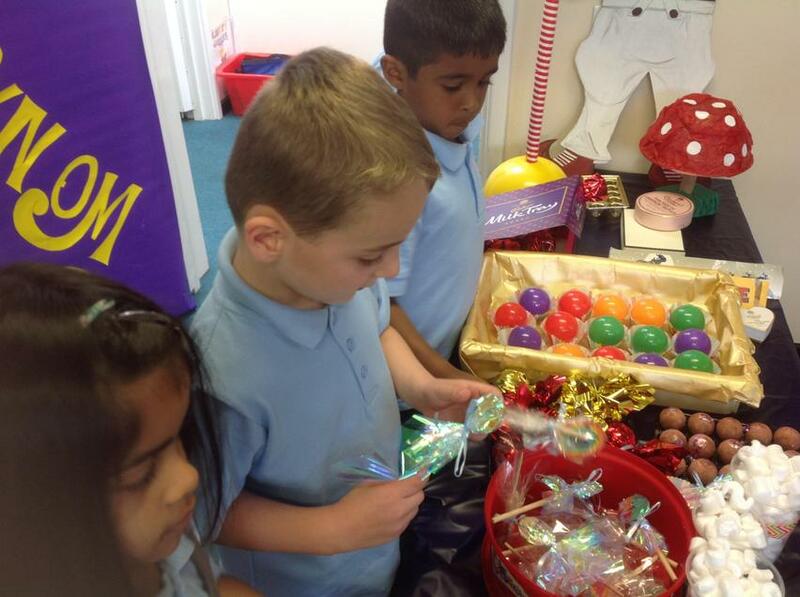 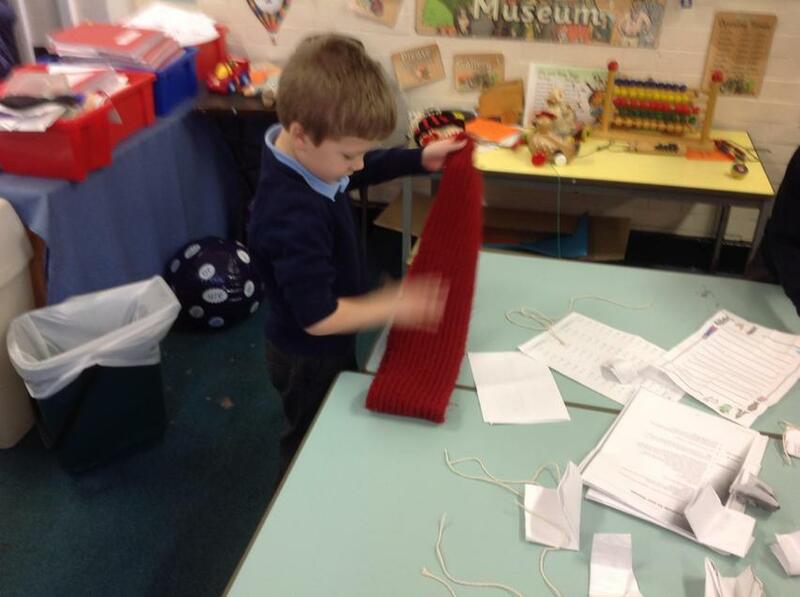 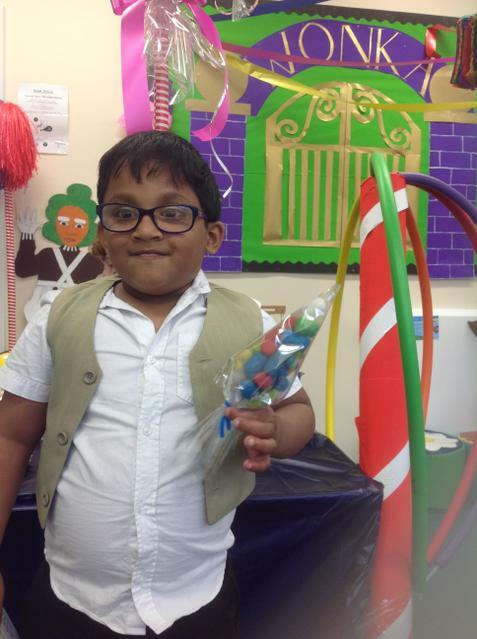 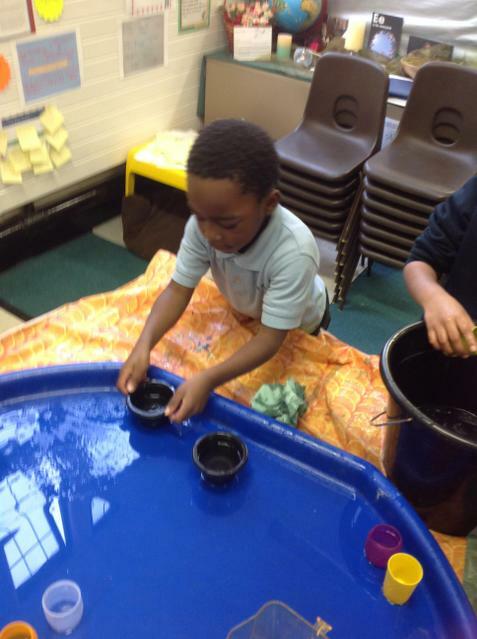 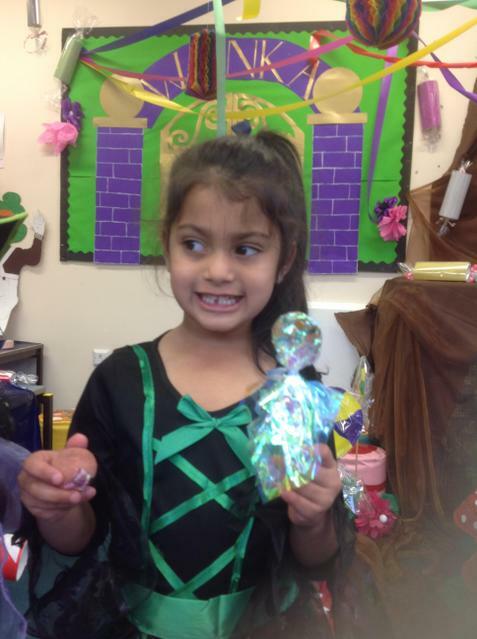 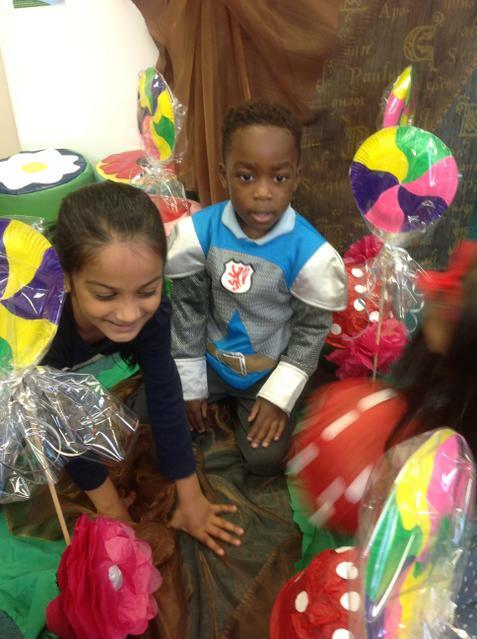 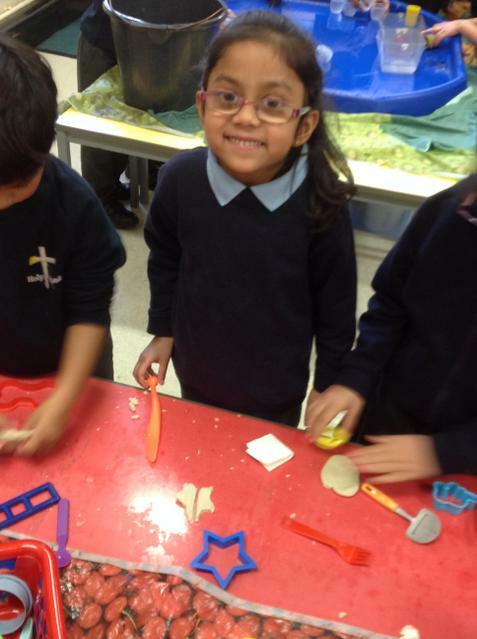 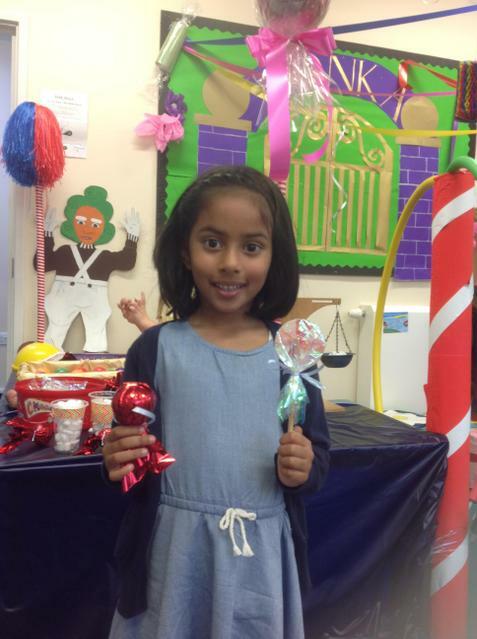 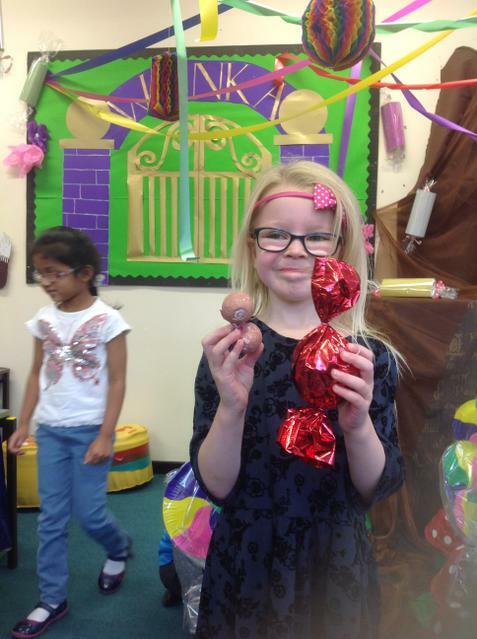 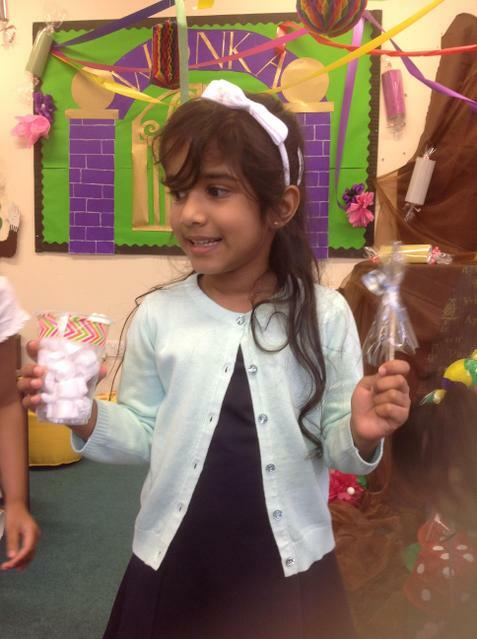 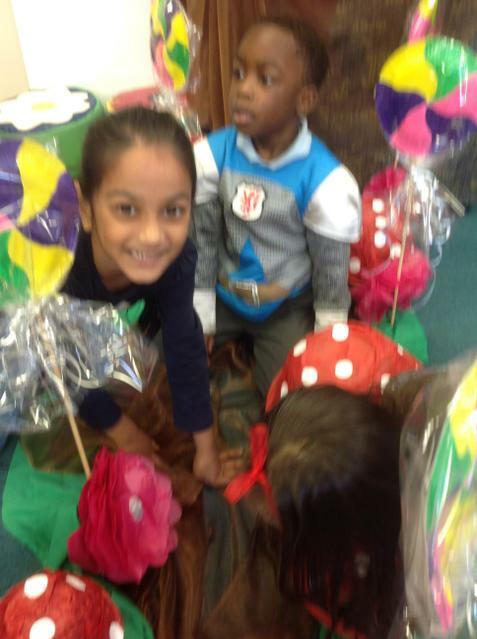 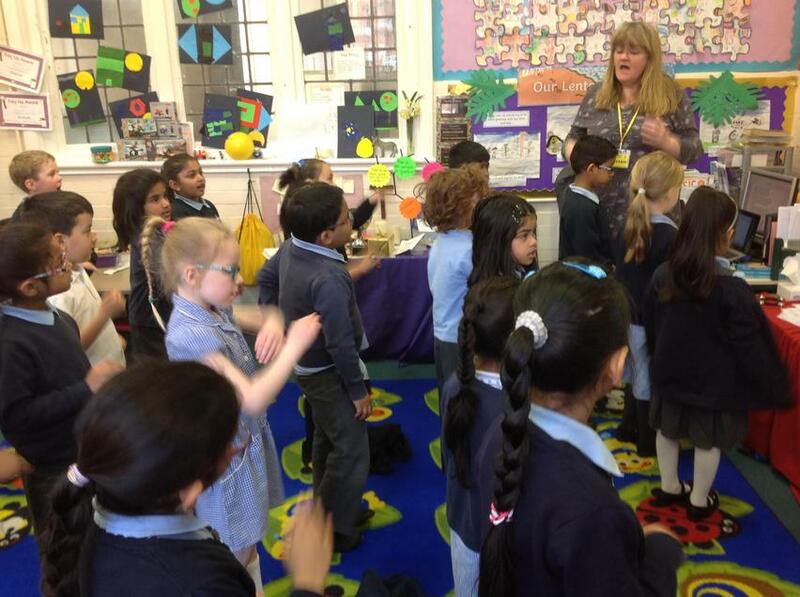 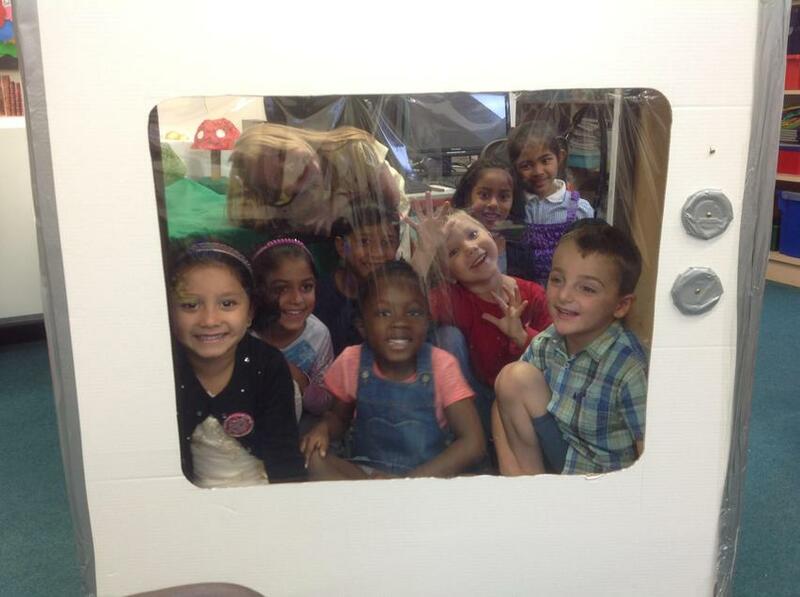 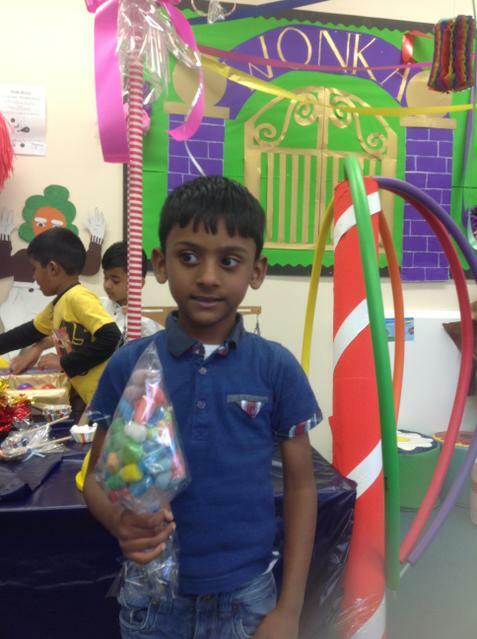 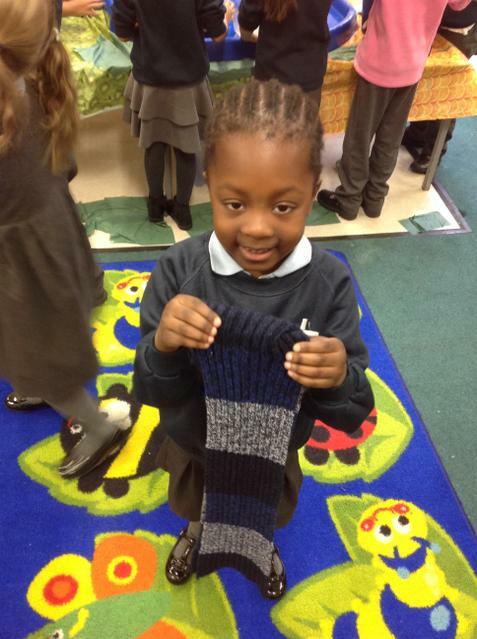 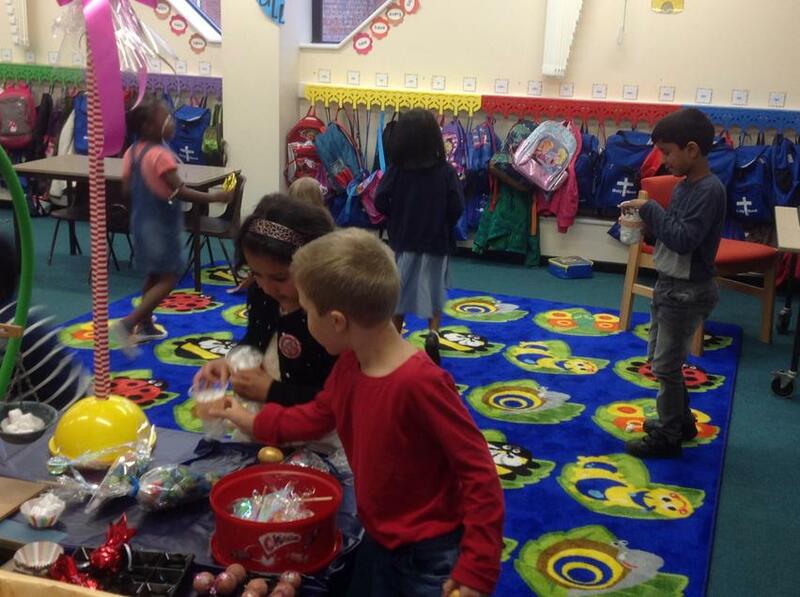 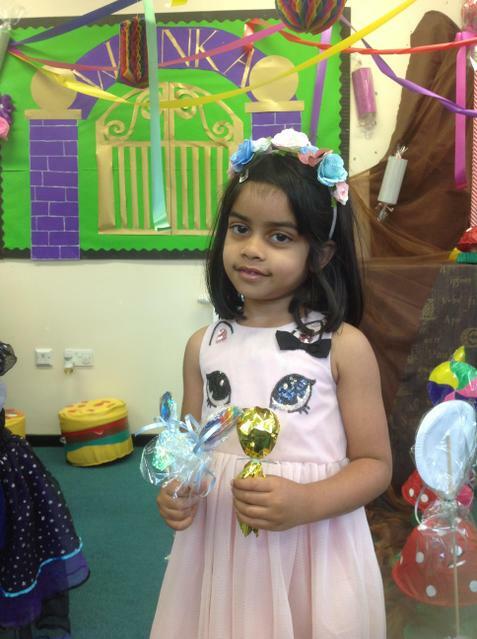 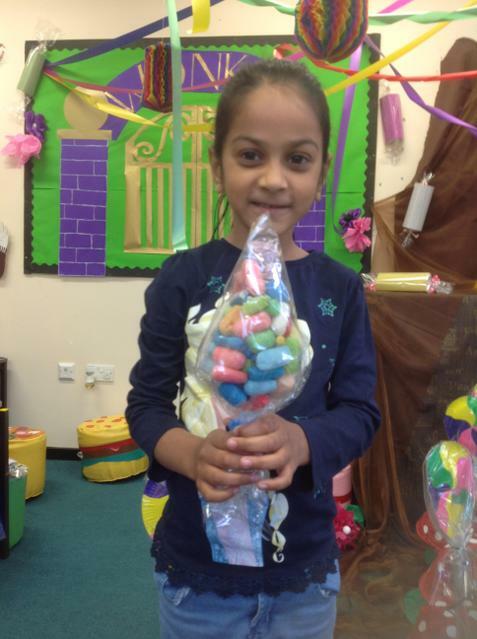 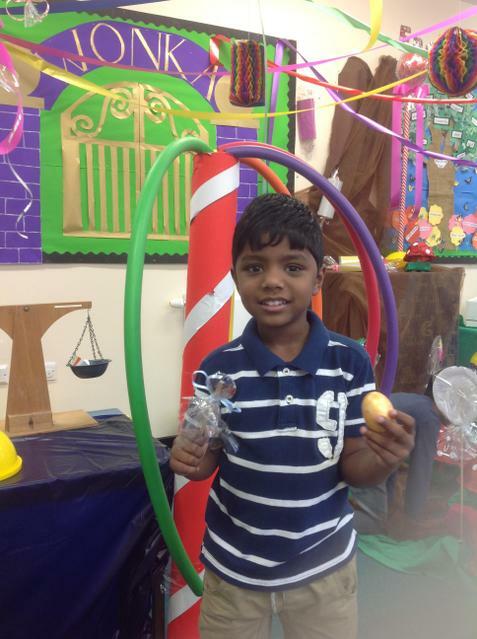 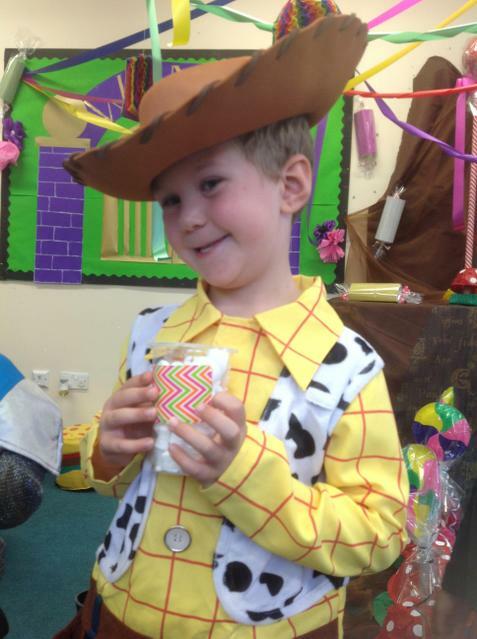 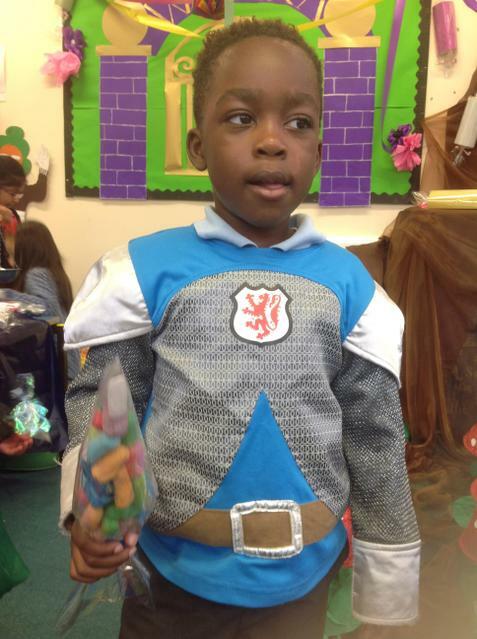 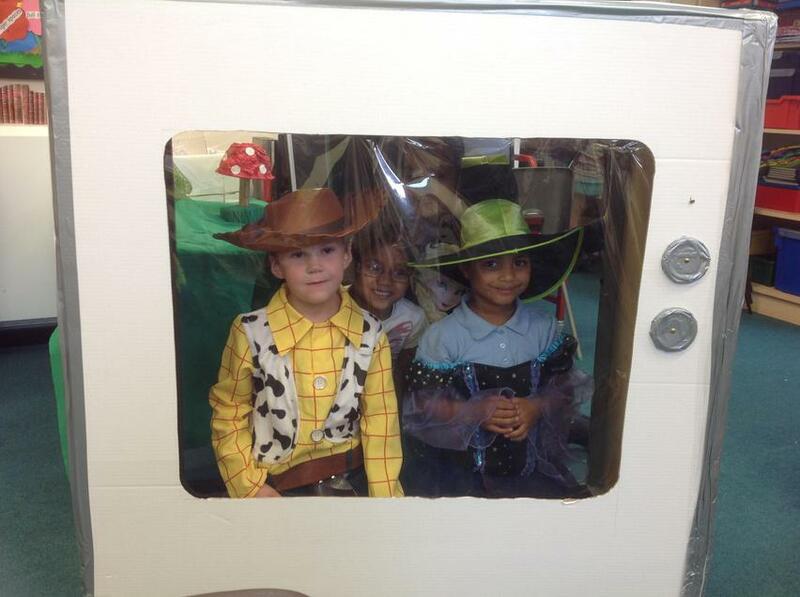 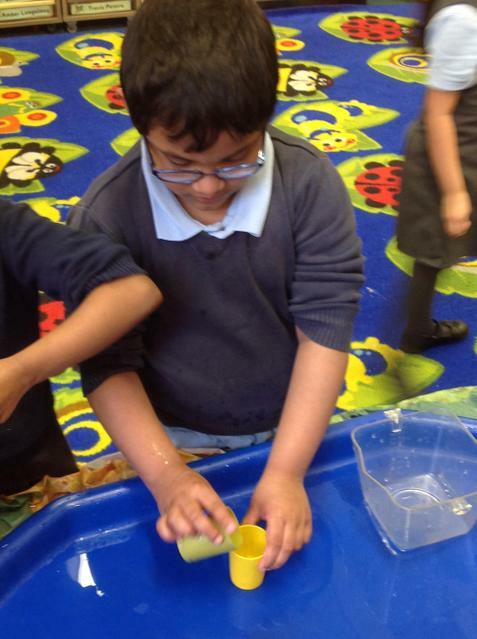 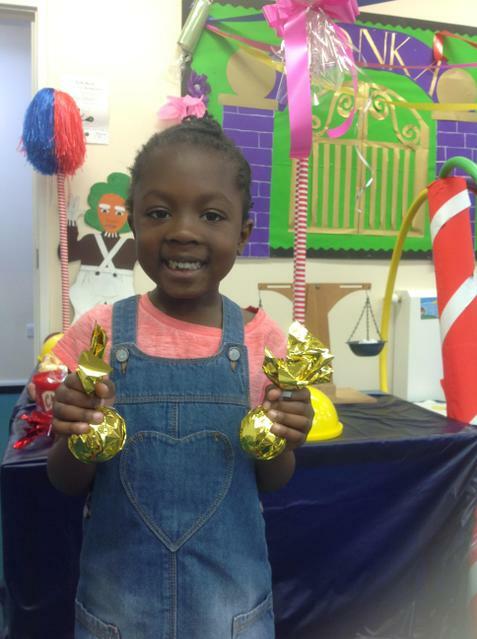 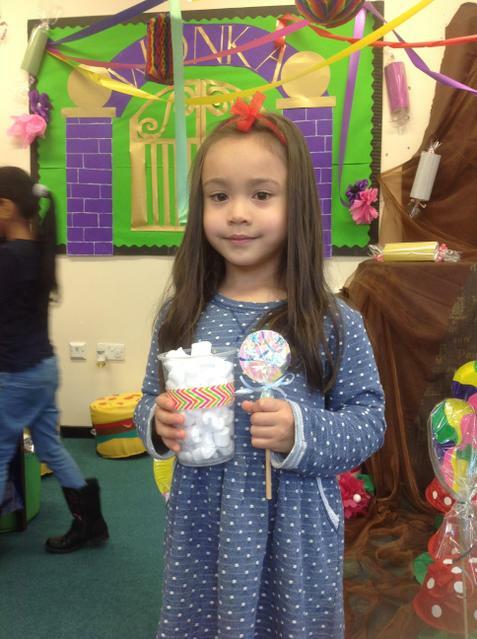 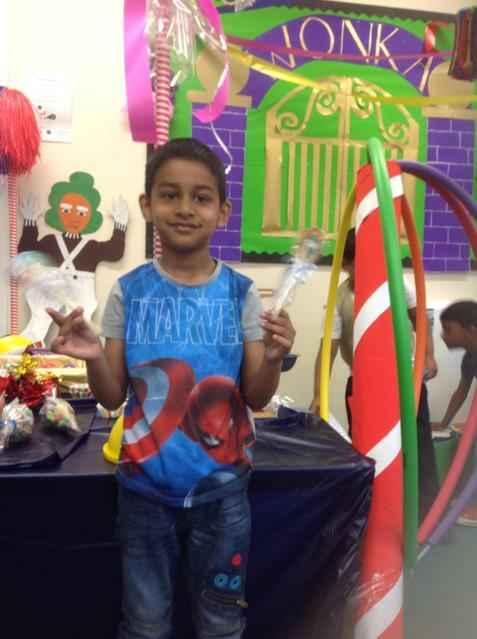 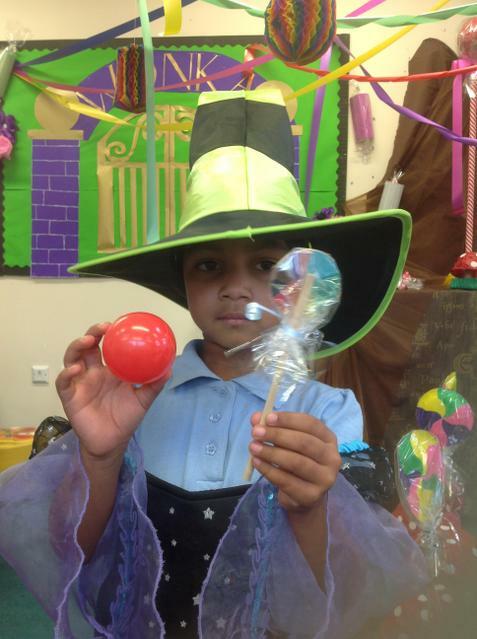 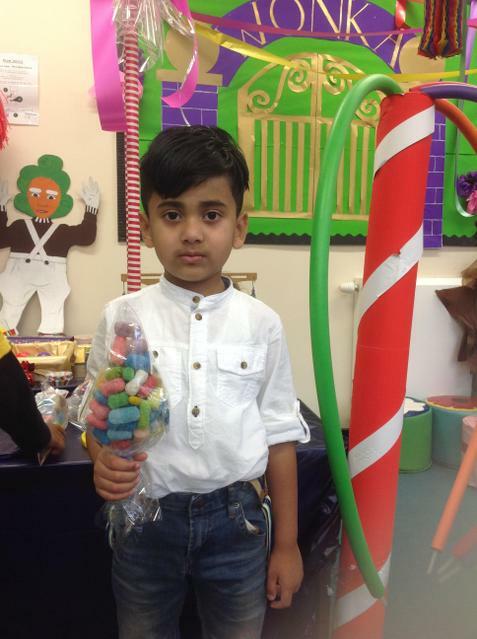 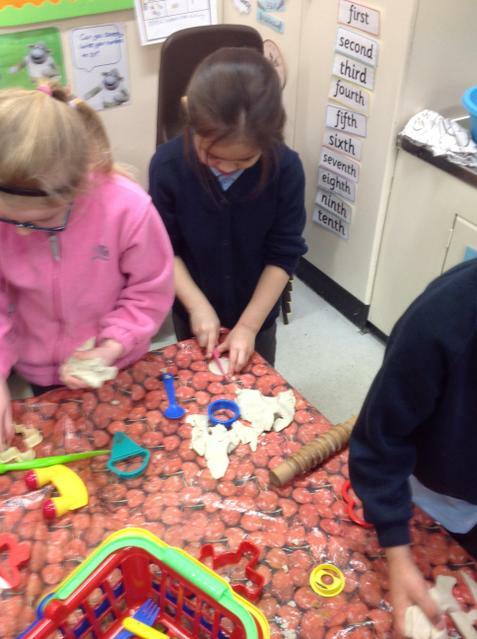 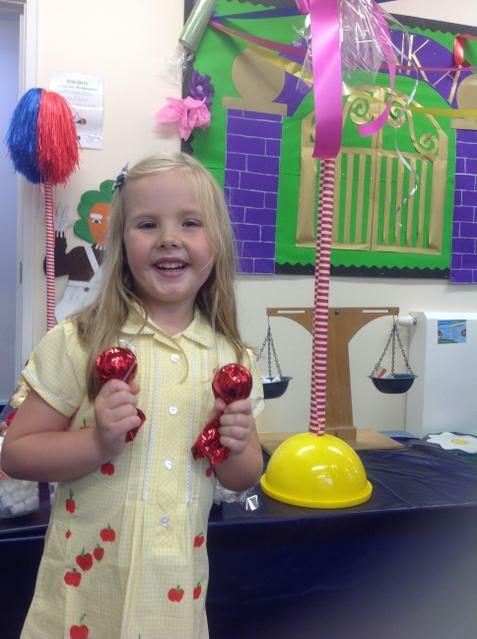 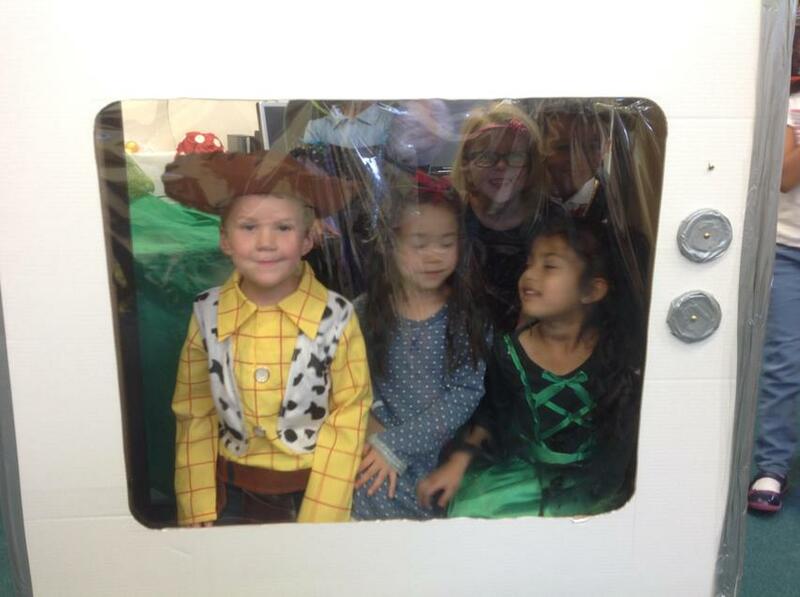 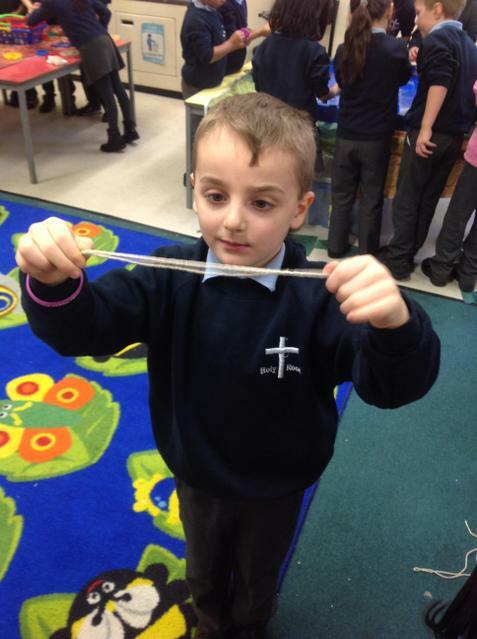 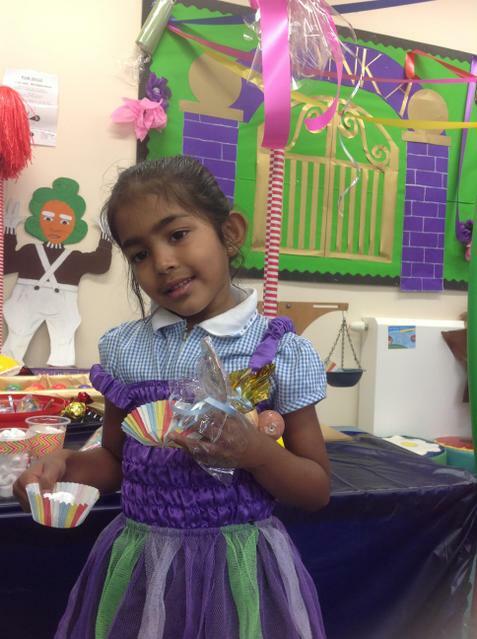 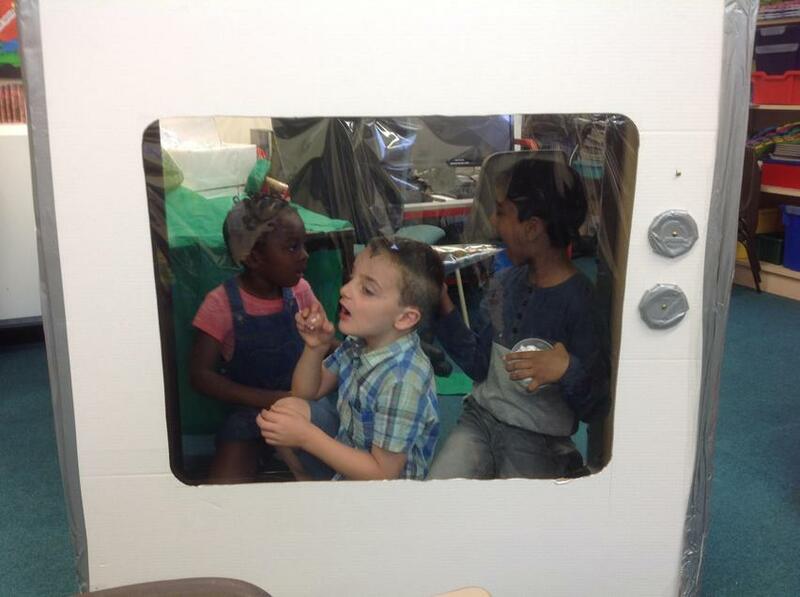 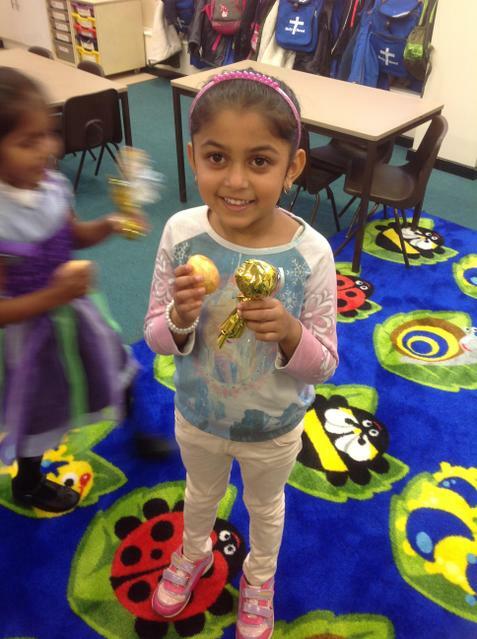 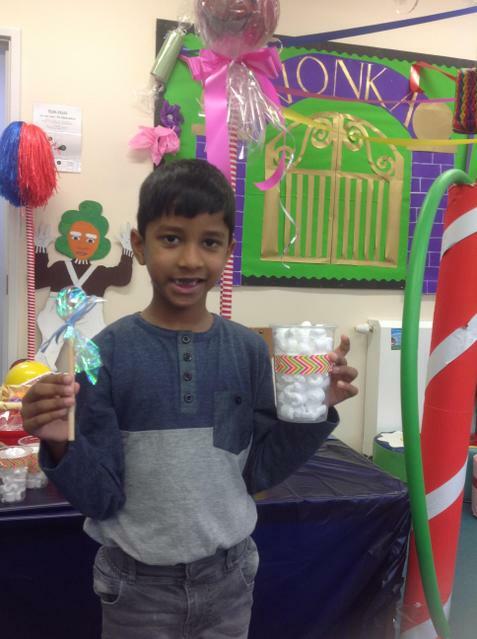 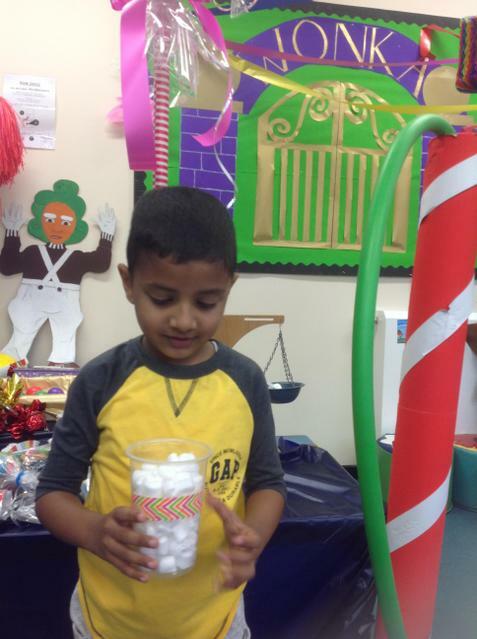 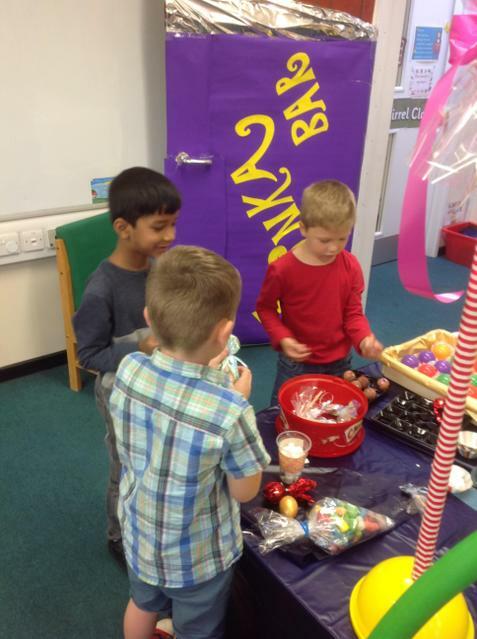 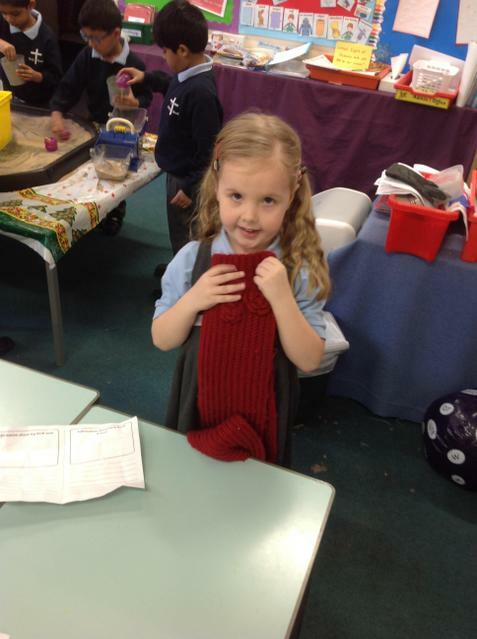 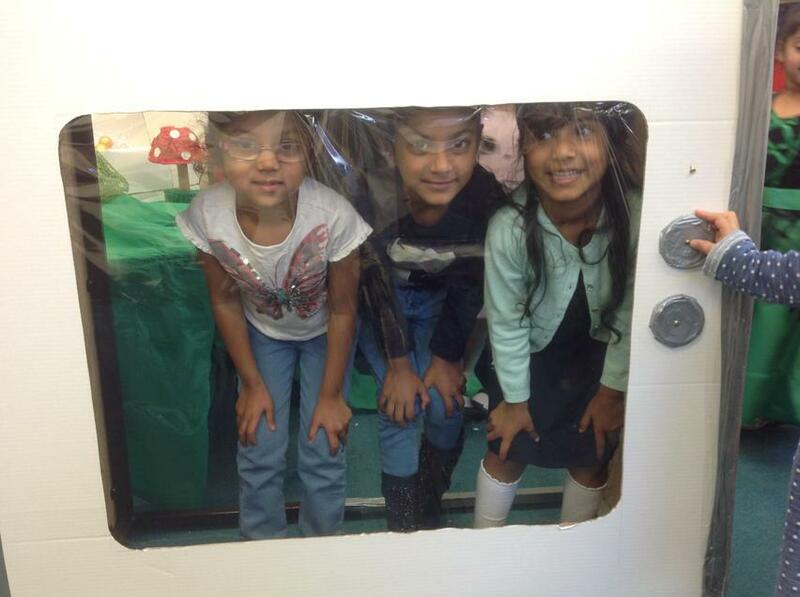 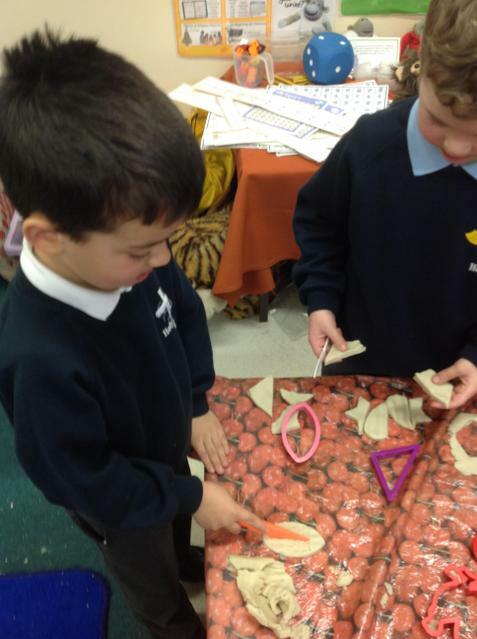 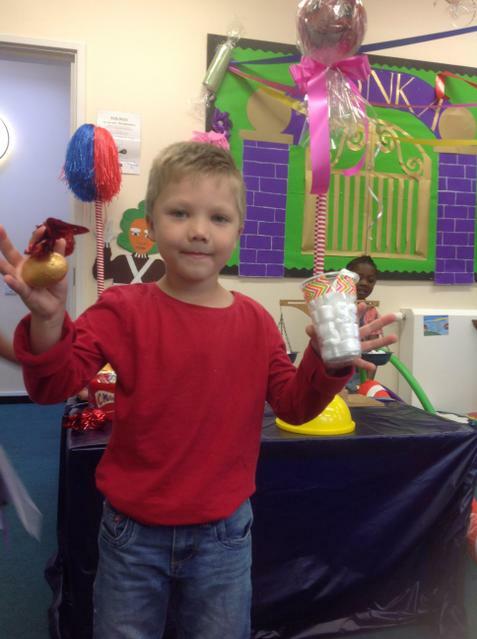 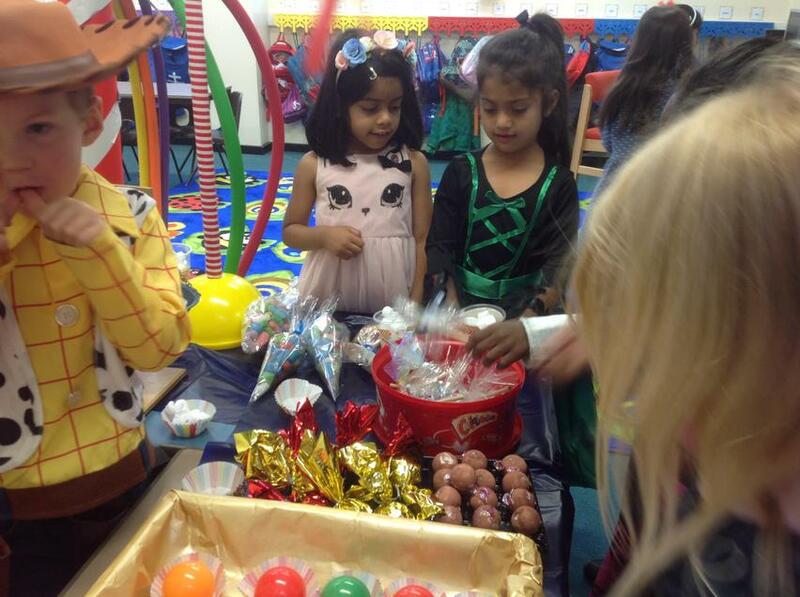 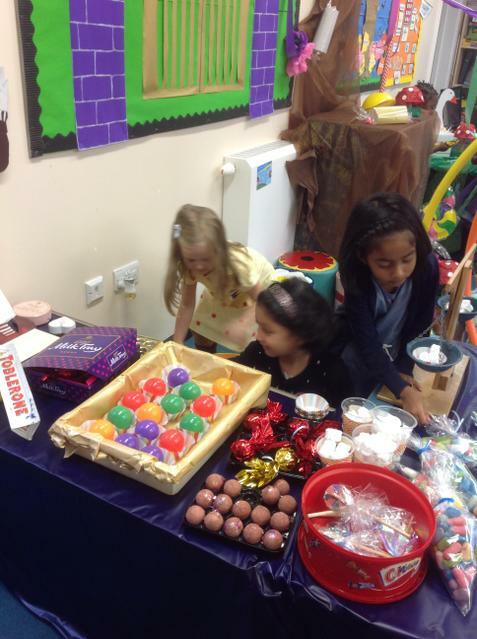 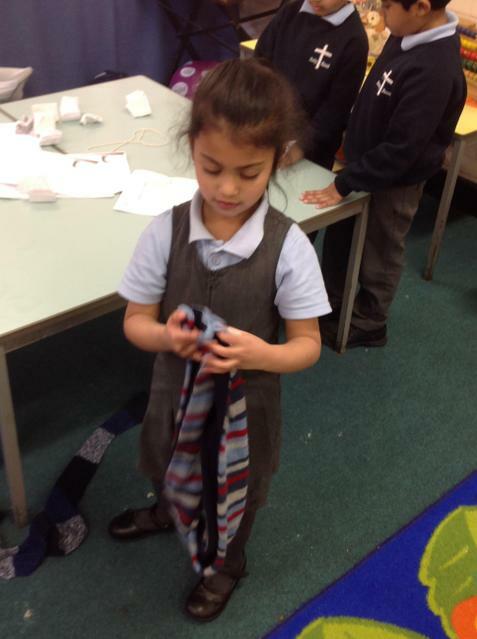 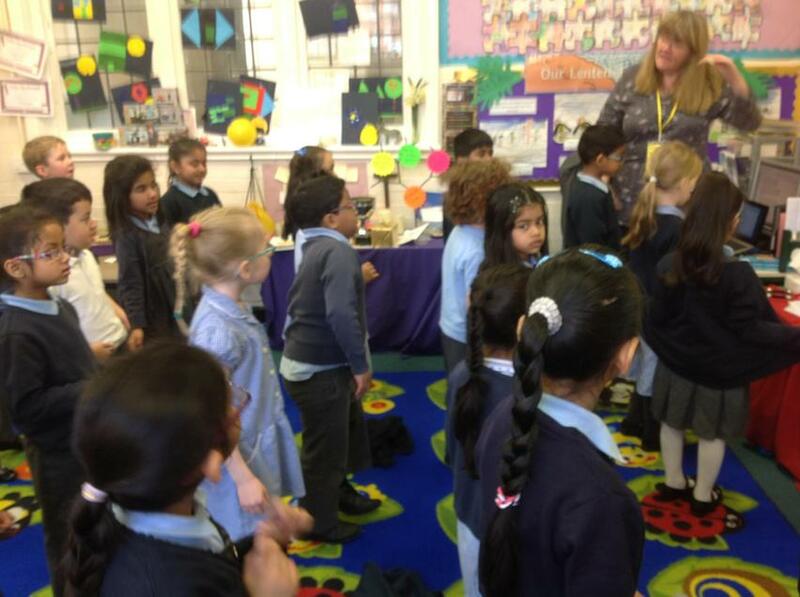 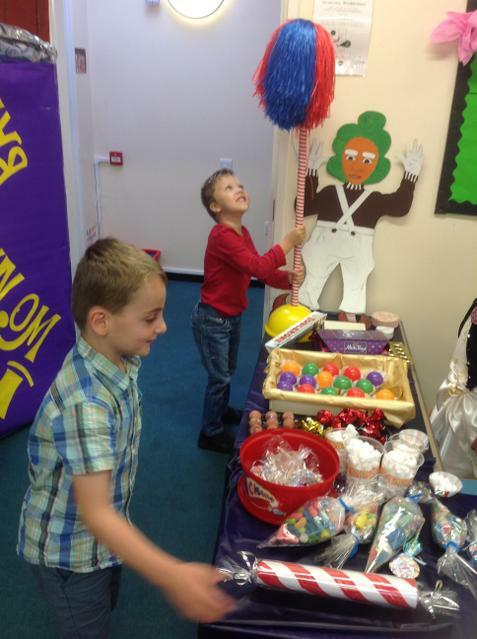 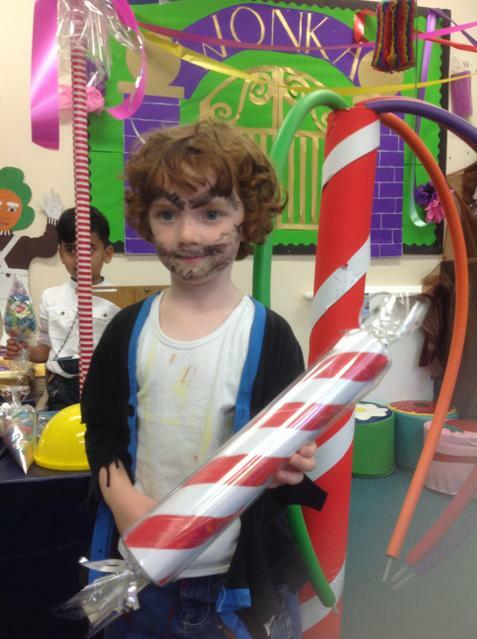 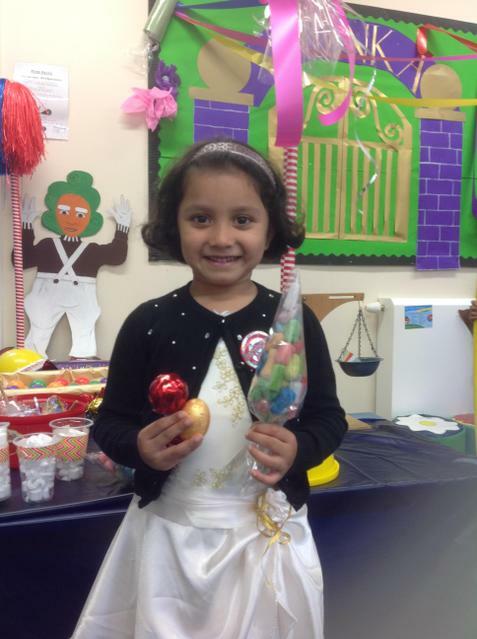 The Robins class had fun in the Willy Wonka room during the Roald Dahl week. 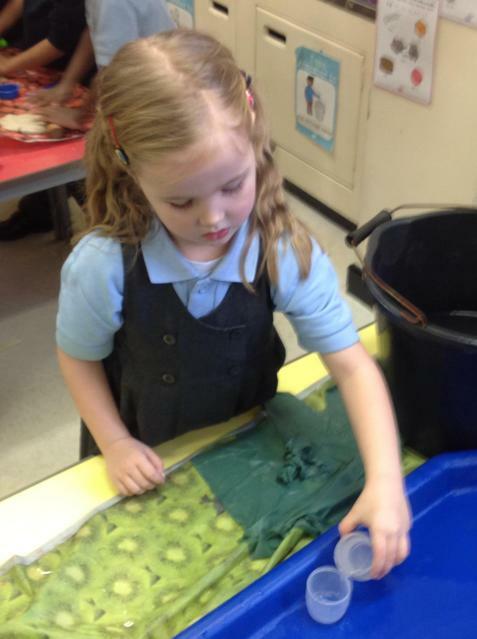 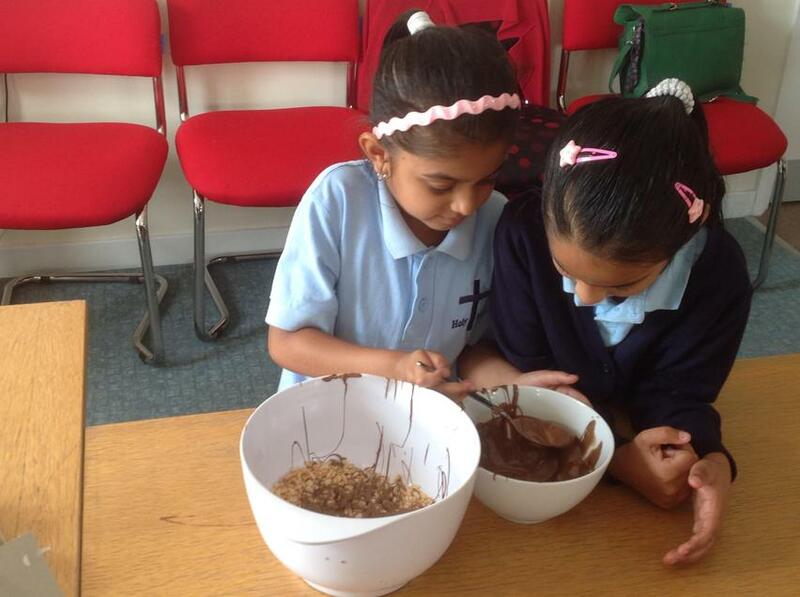 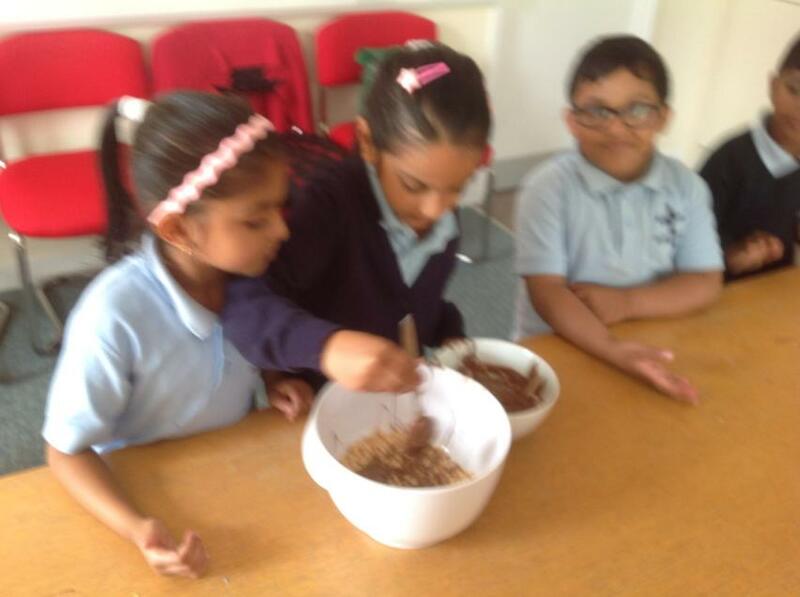 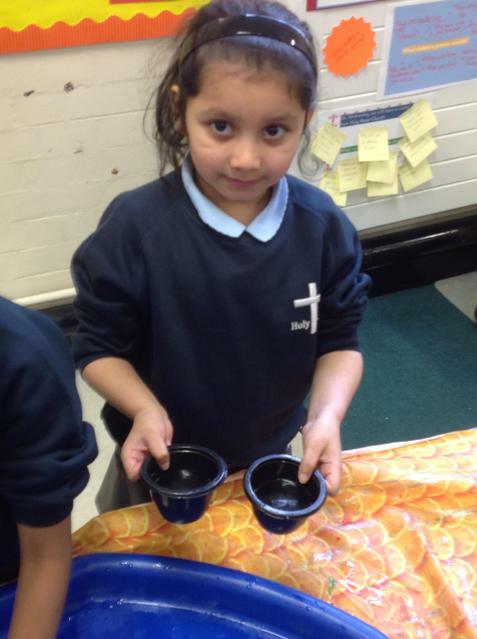 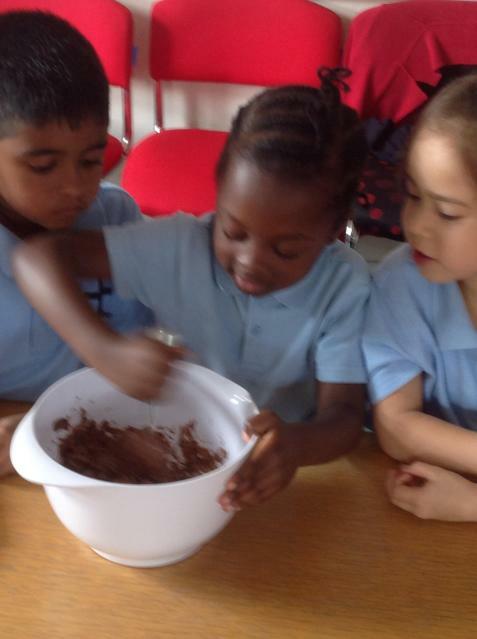 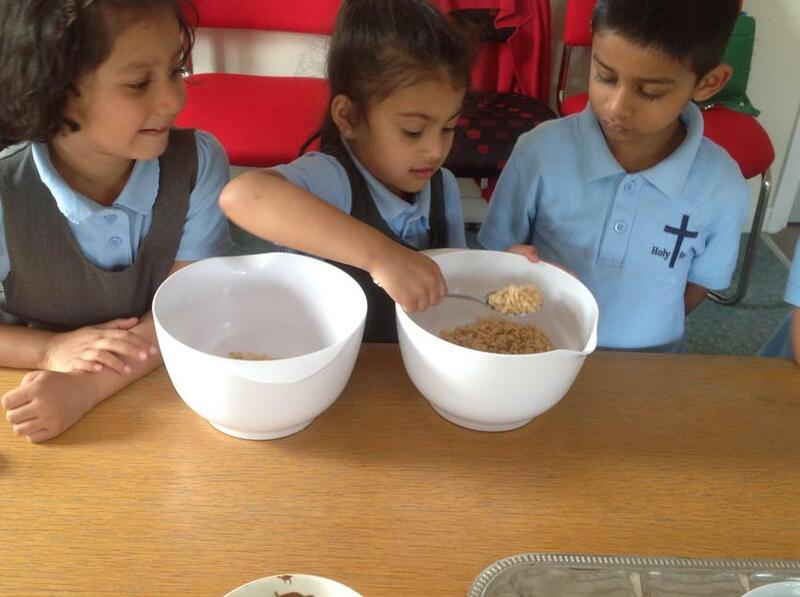 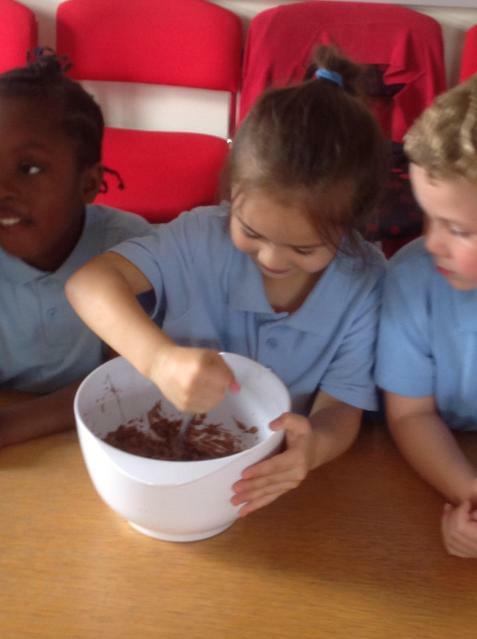 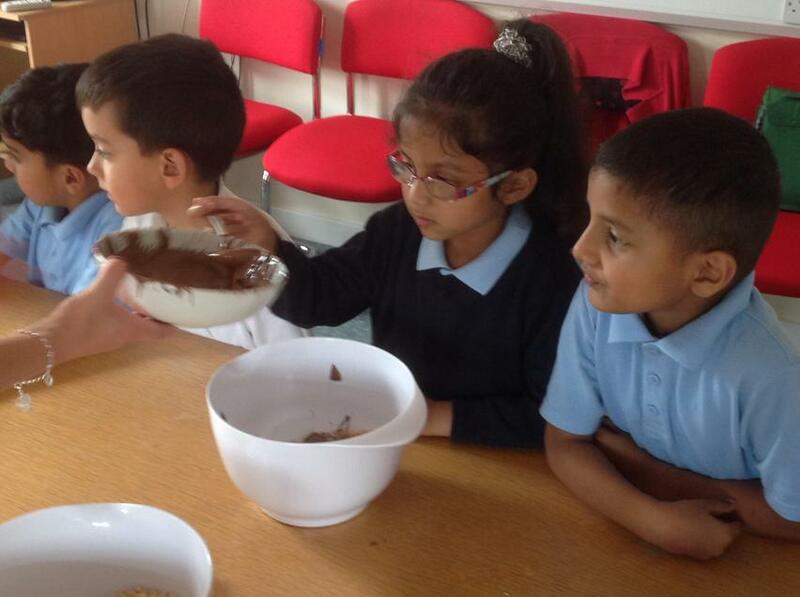 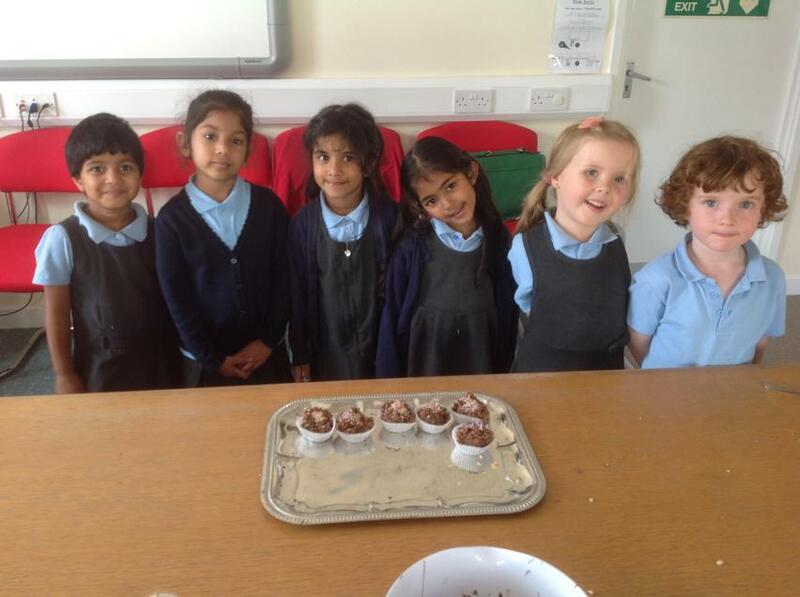 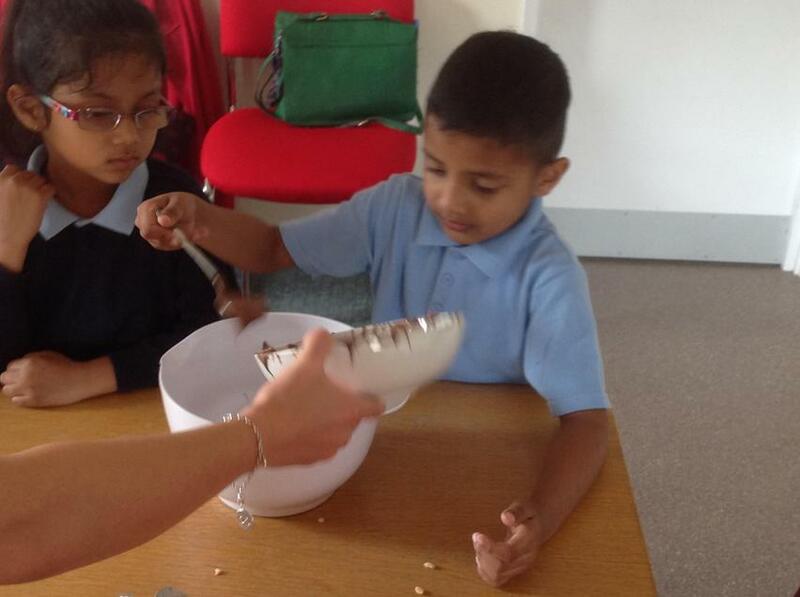 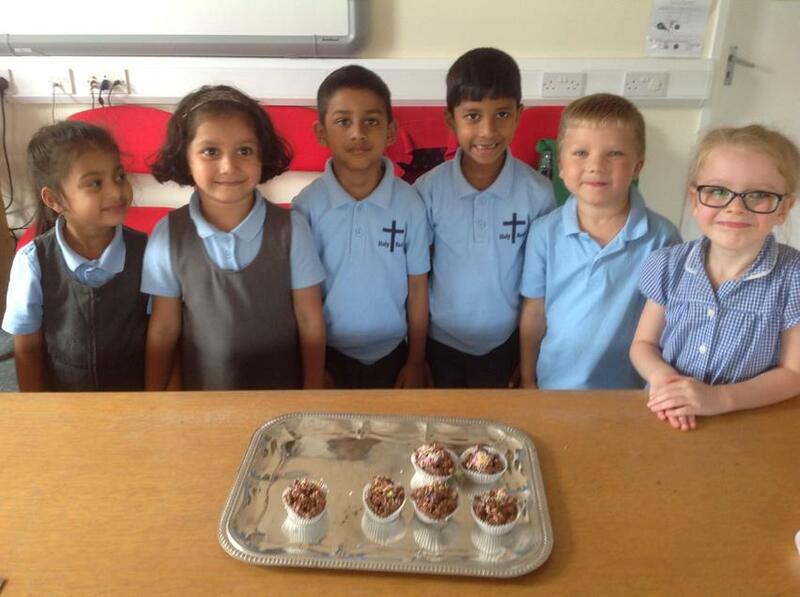 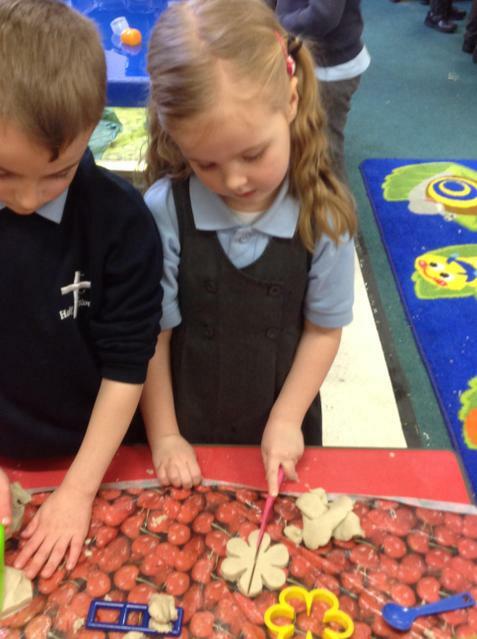 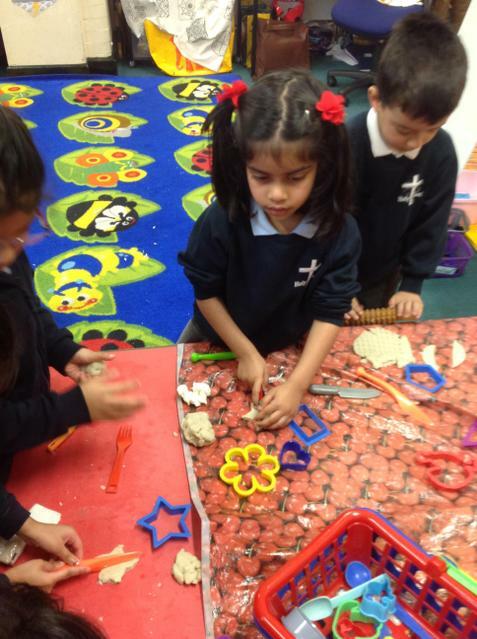 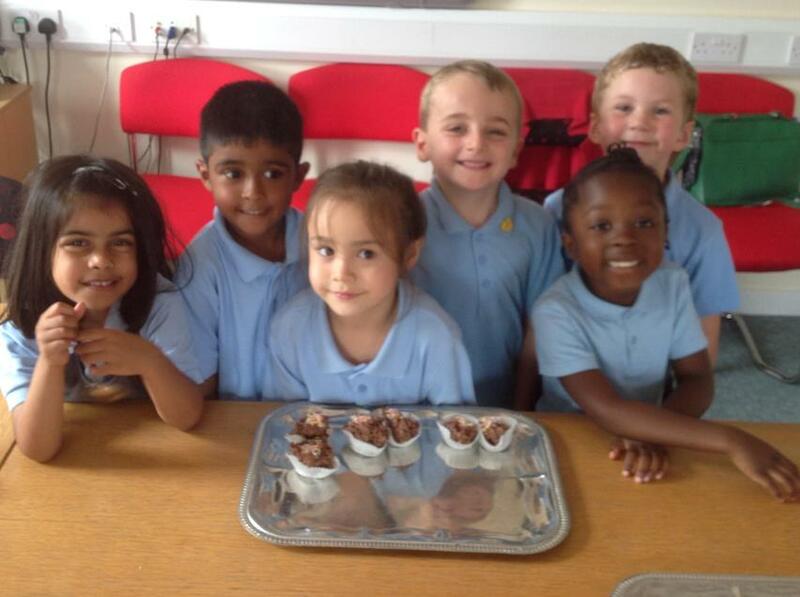 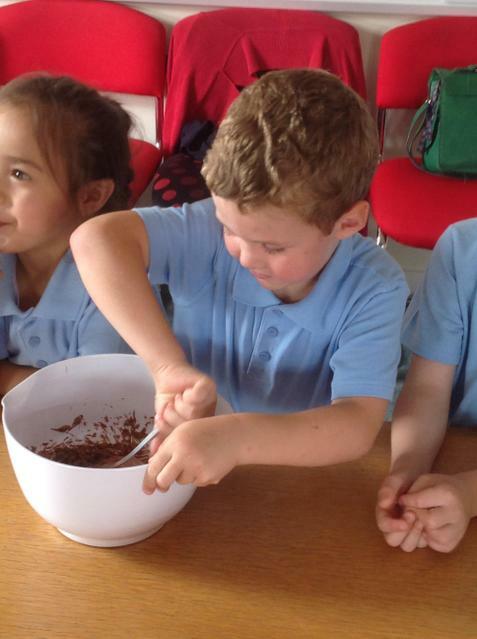 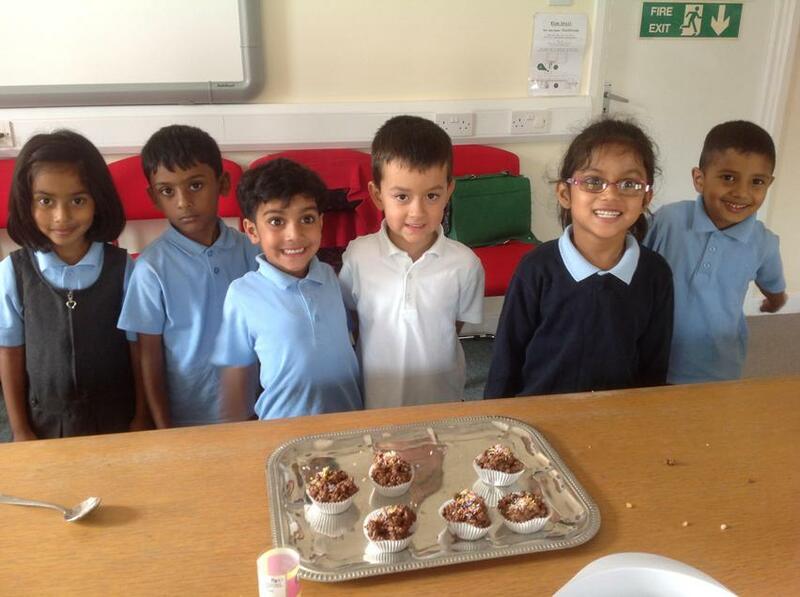 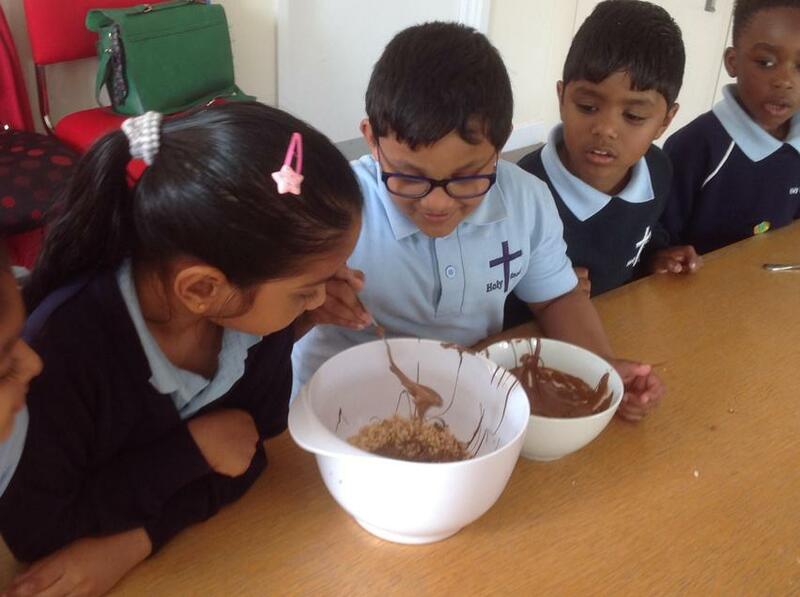 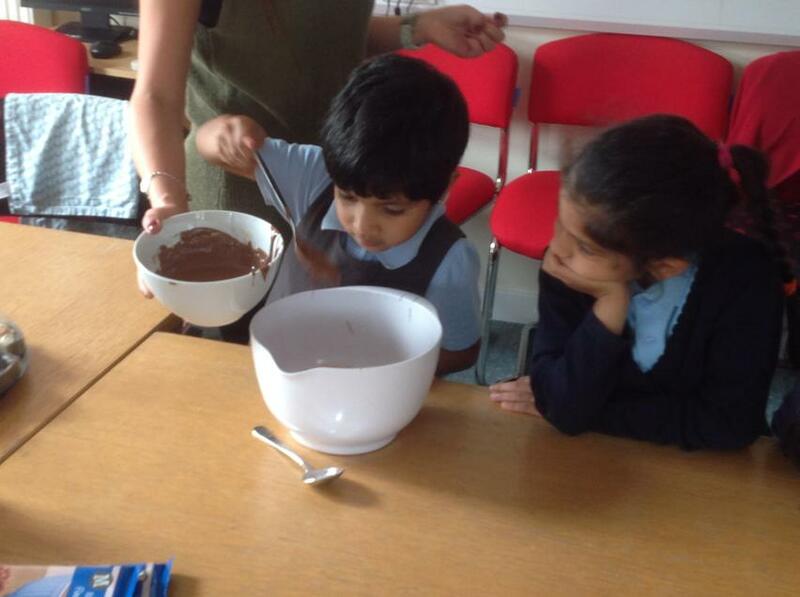 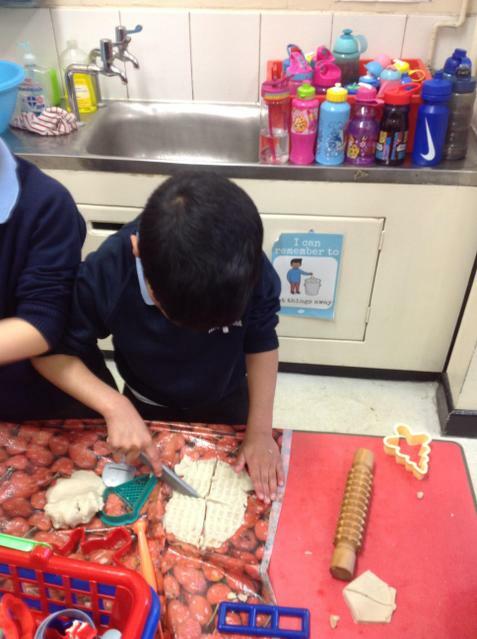 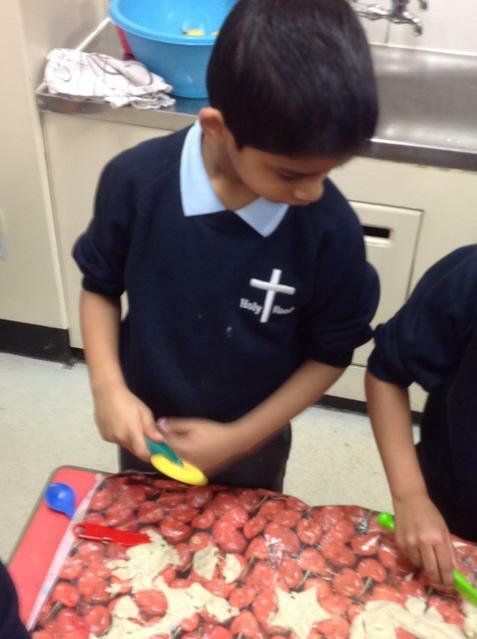 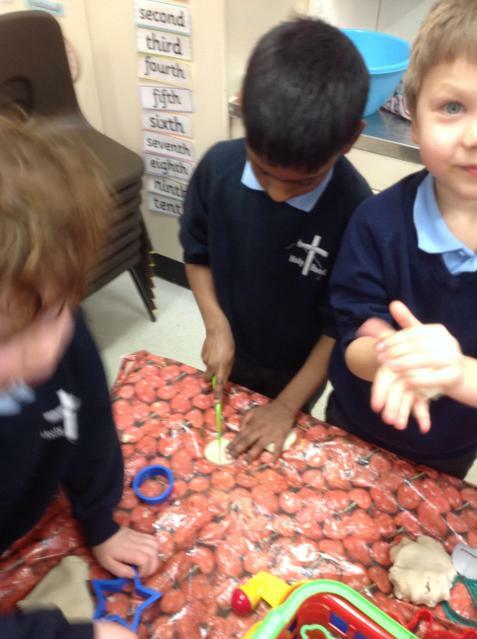 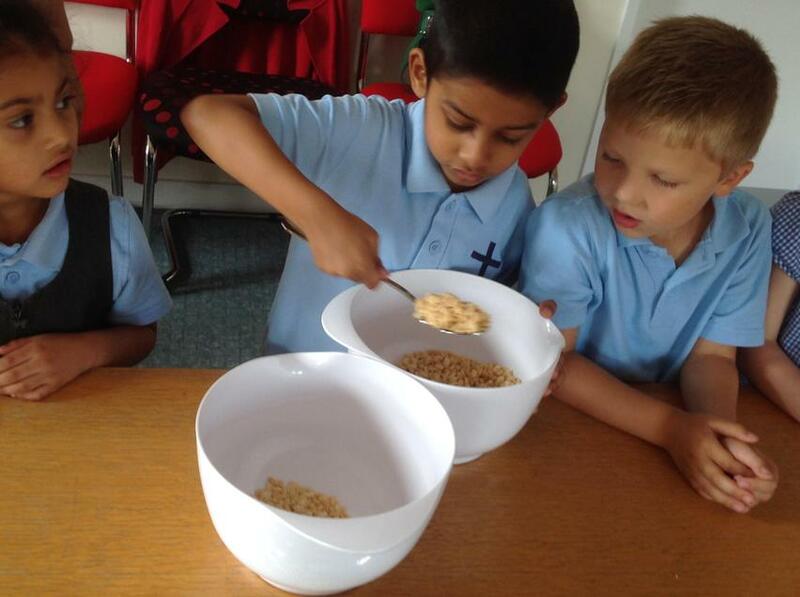 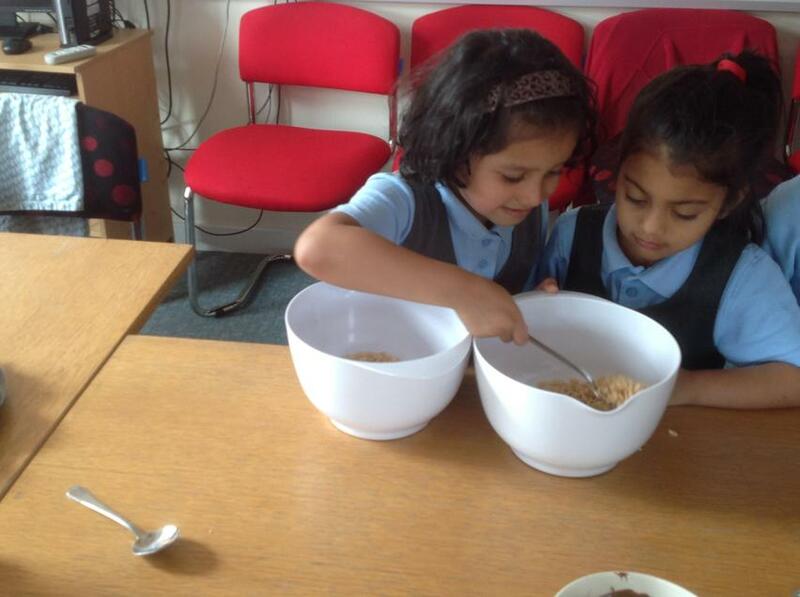 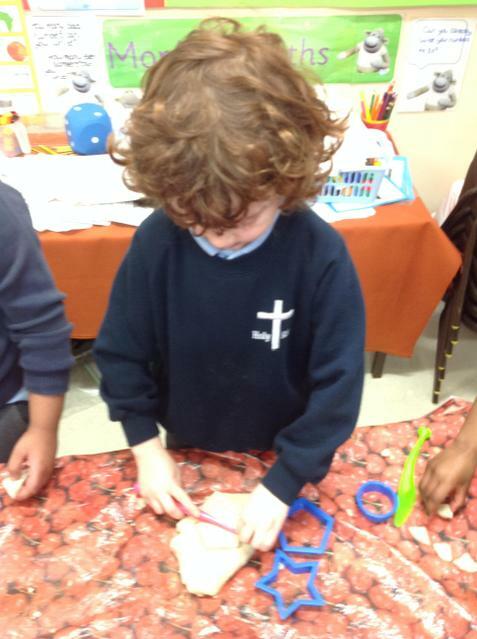 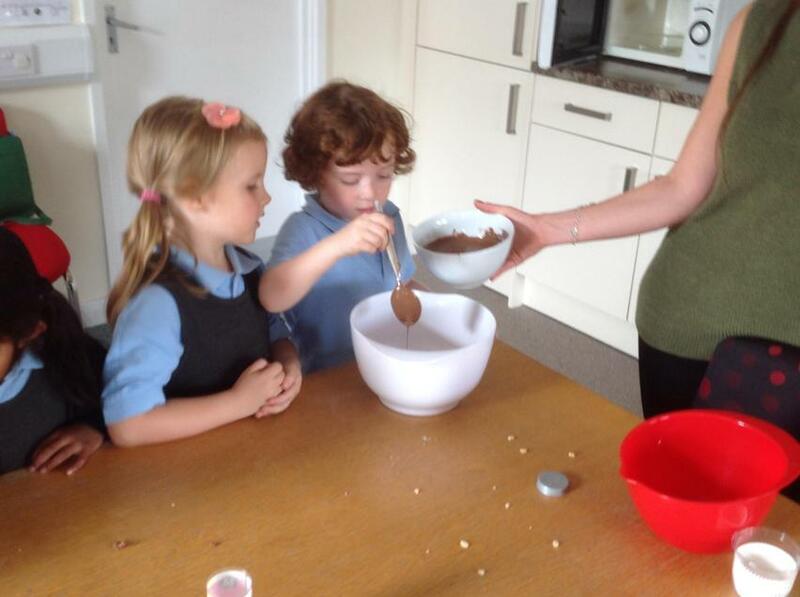 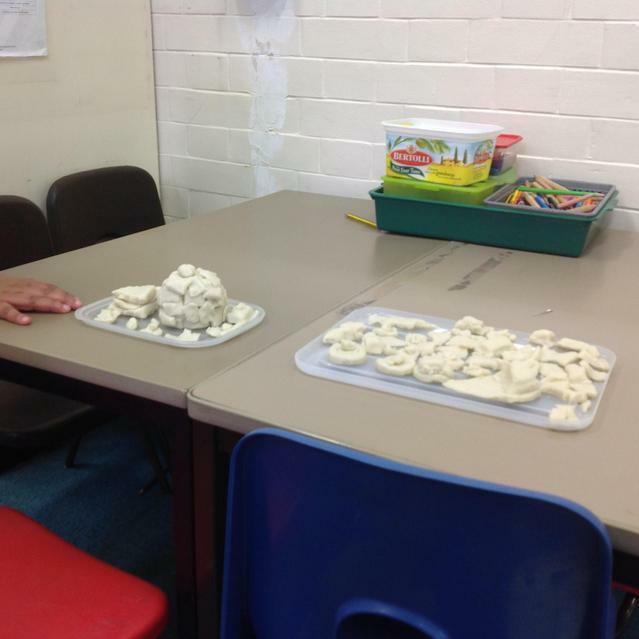 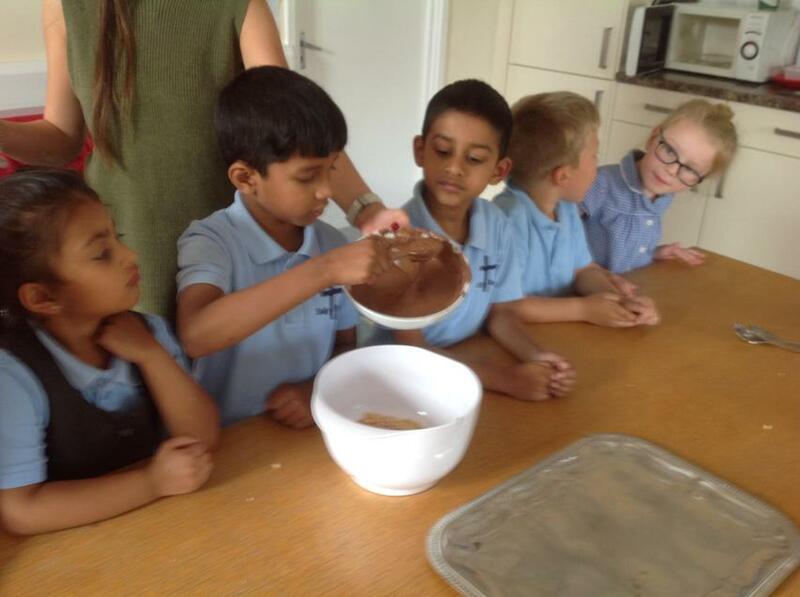 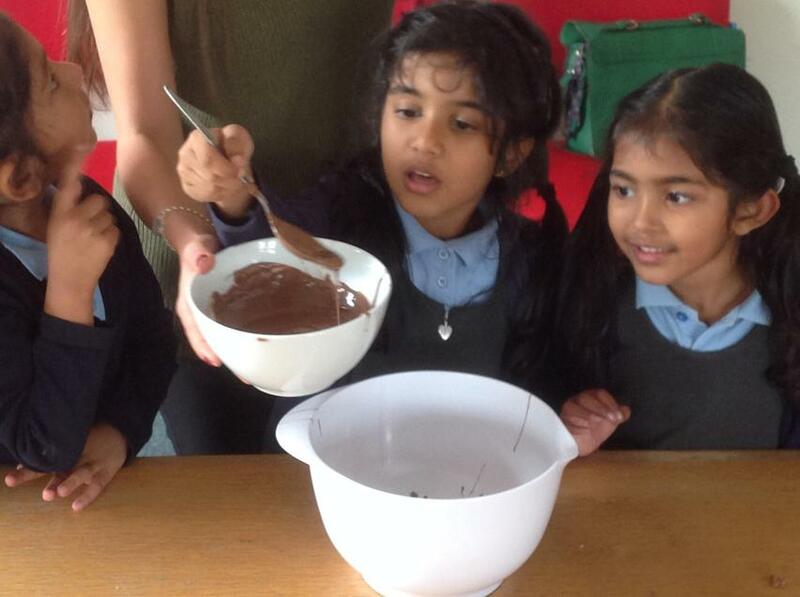 We enjoyed making chocolate cakes! 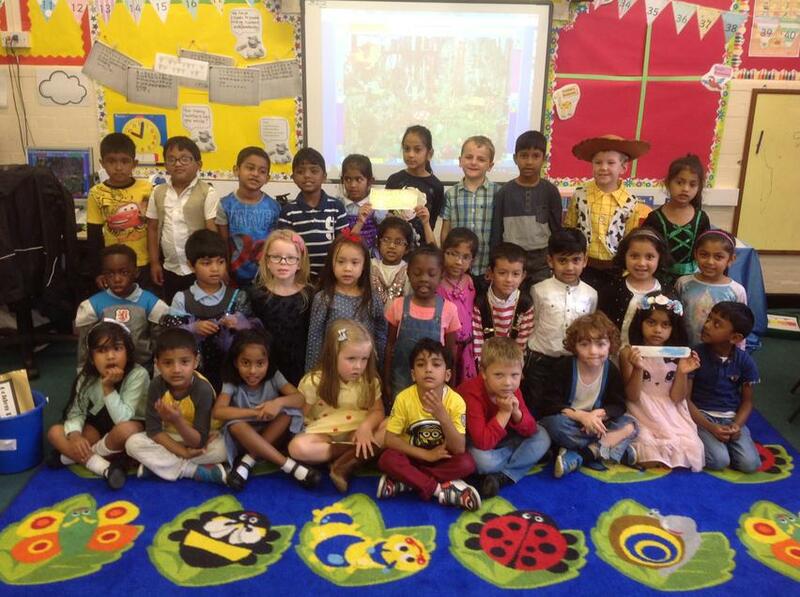 We loved dressing up as our favourite characters.